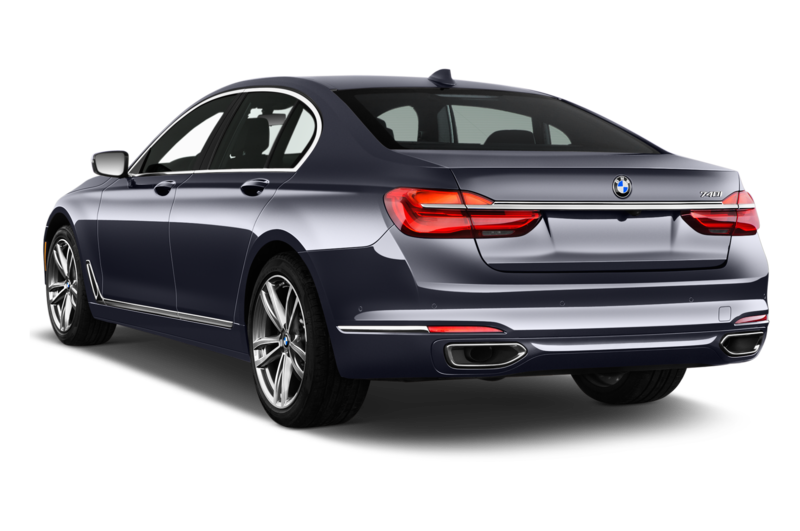 The new 2017 Alpina B7 is one way to get serious performance out of your BMW 7 Series luxury sedan, but BMW has another prescription for ultra-fast sedans. 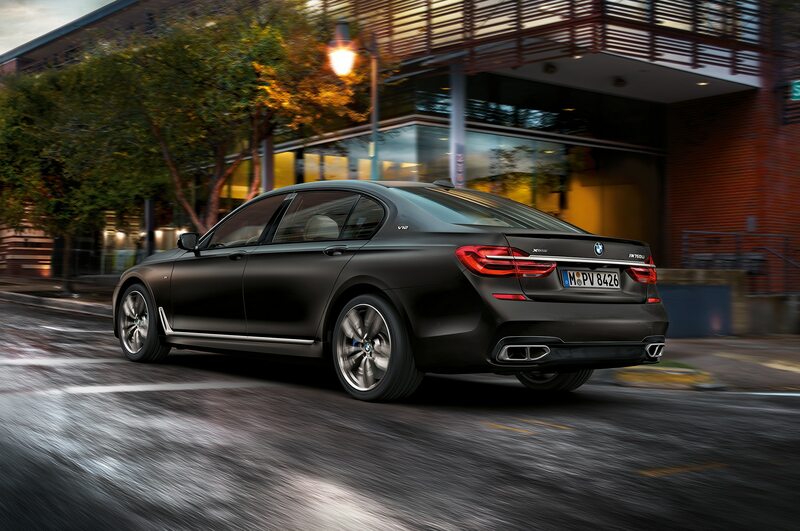 Where Alpina sticks with just eight cylinders, the 2017 BMW M760i xDrive packs a 12-cylinder punch that can rocket the 7 Series to 62 mph in just 3.9 seconds. 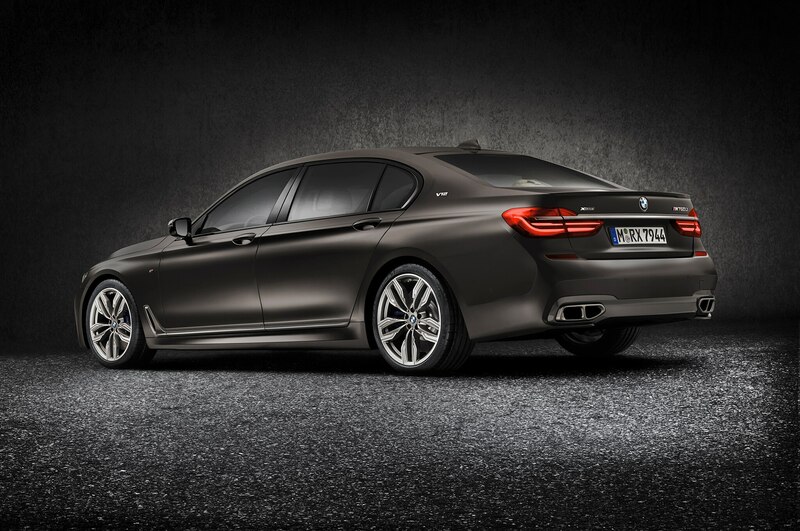 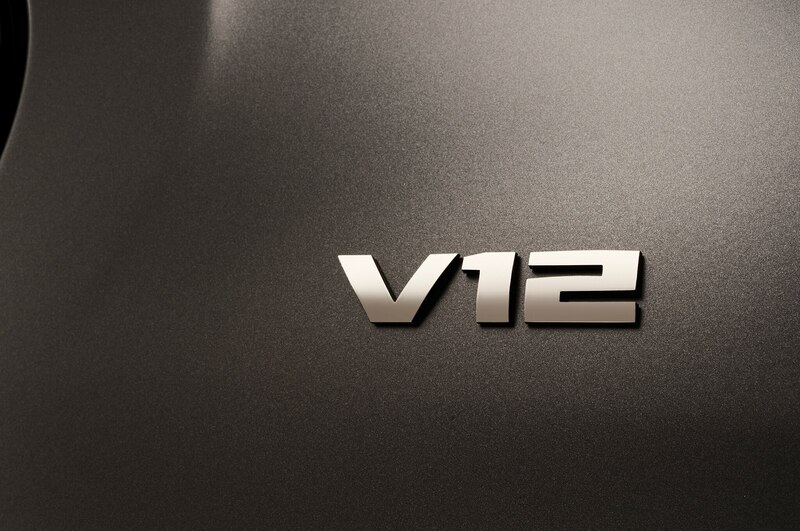 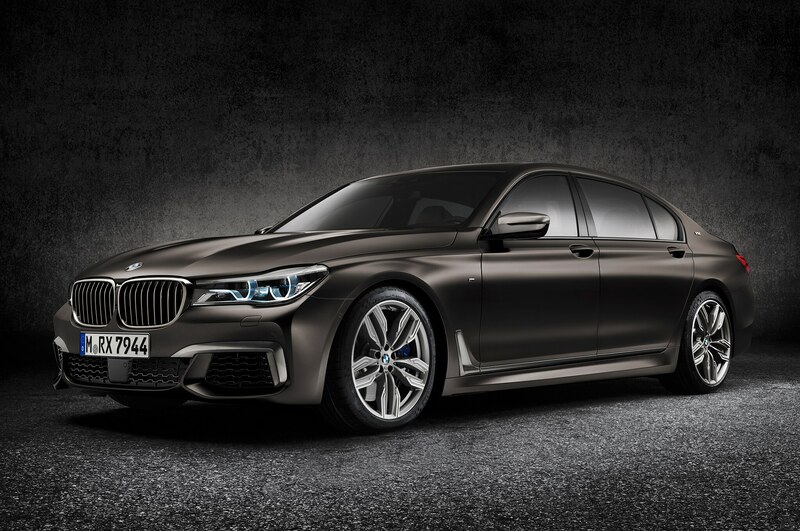 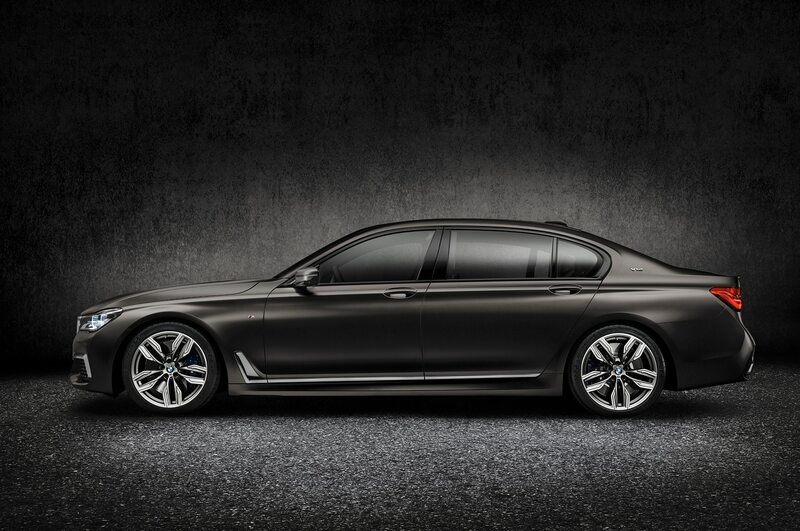 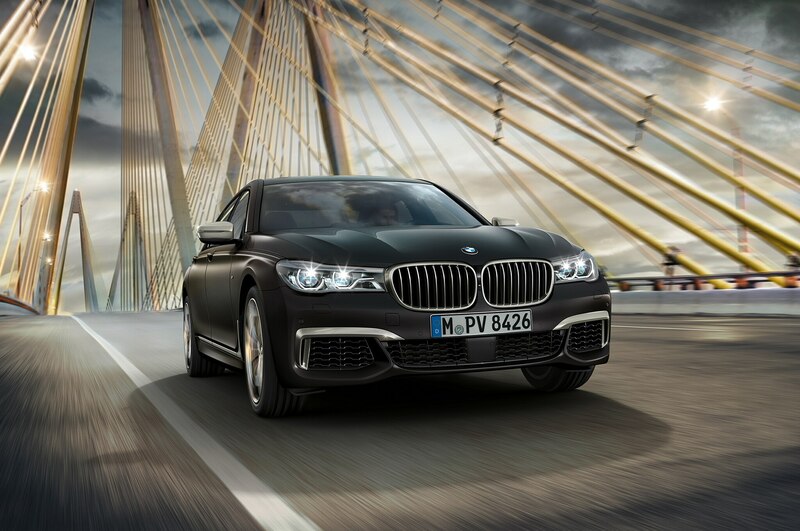 It marks the first time that BMW has sold an M Performance version of its 7 Series. 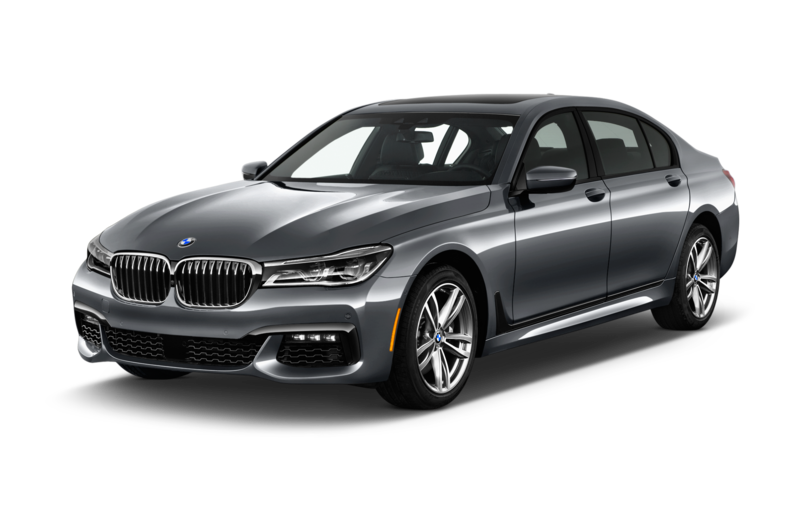 At its heart, the 2017 BMW M760i xDrive has a 6.6-liter, twin-turbo V-12 engine rated for 600 hp at 5,500 rpm, and a massive 590 lb-ft of torque from 1,500 rpm. 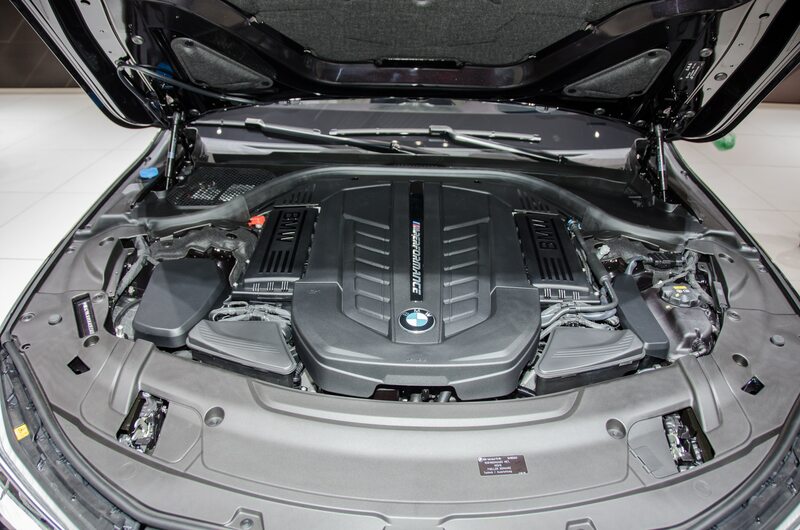 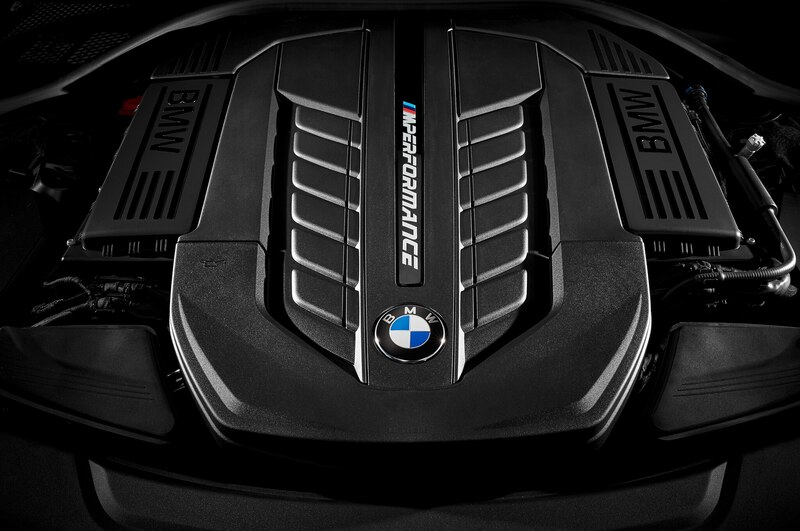 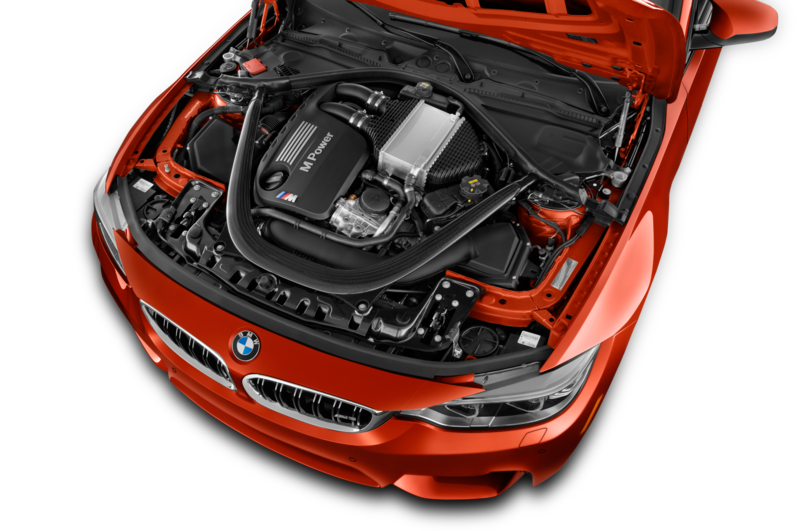 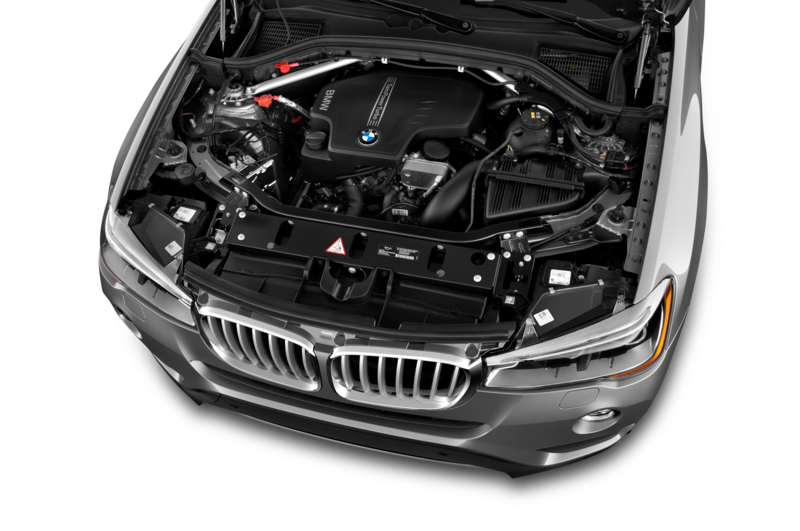 This is the first time that BMW has installed its M Performance TwinPower turbochargers in a V-12 engine; other tweaks for the big engine include twin air-to-water intercoolers, a lightweight all-aluminum block, forged connecting rods, and a forged crankshaft. 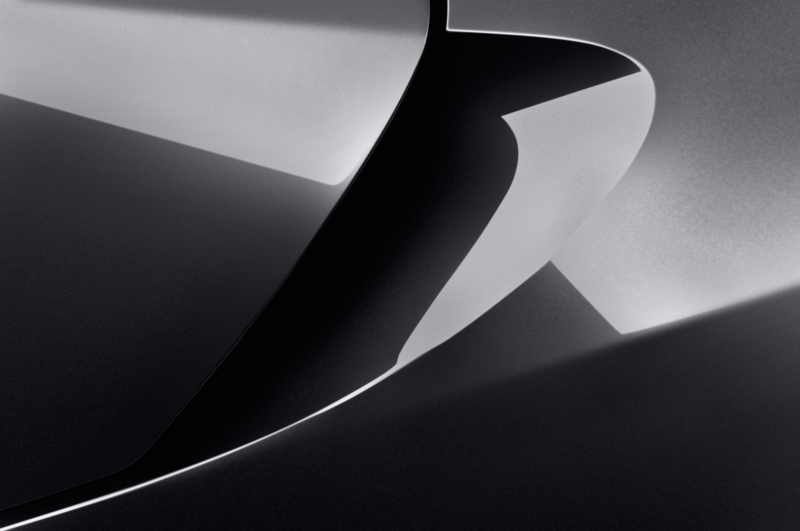 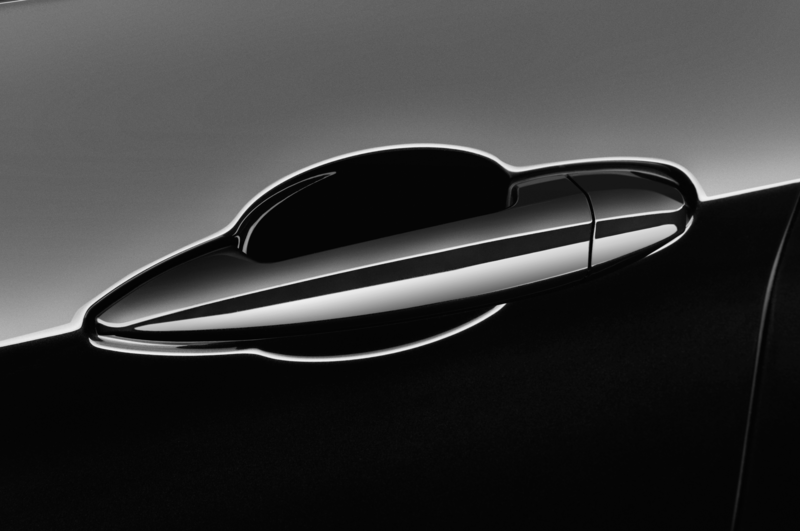 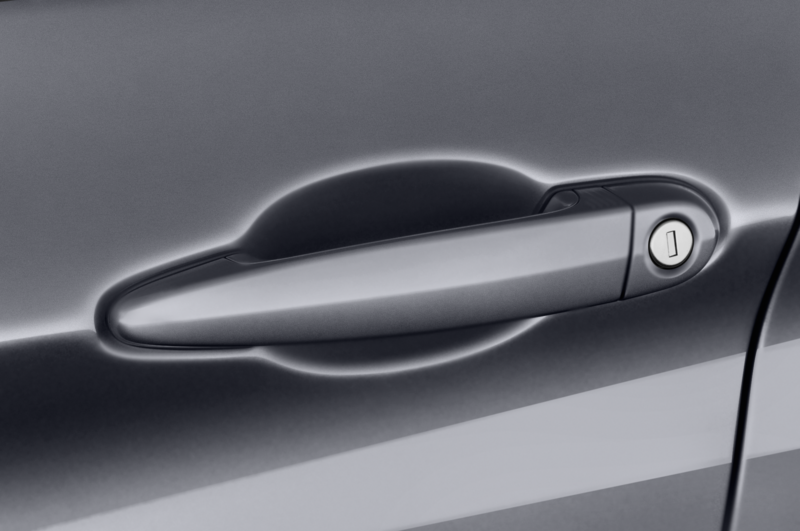 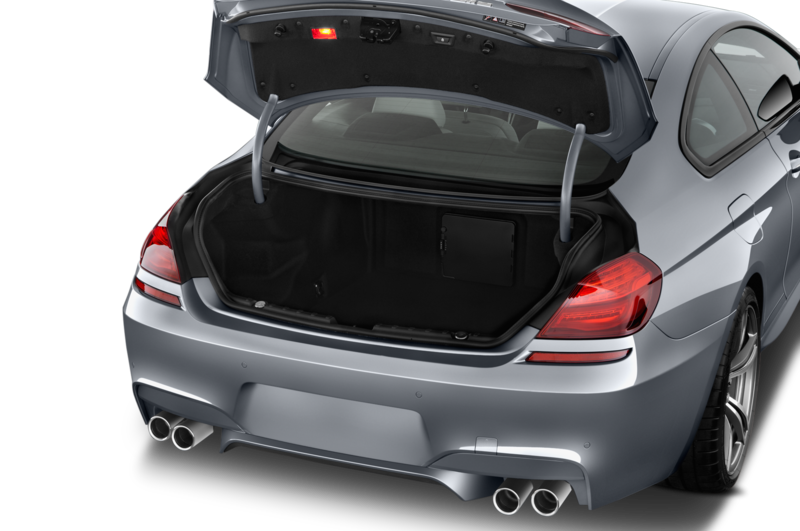 Engineers made the car’s exhaust as wide and as straight as possible, while working around other underbody components, to reduce backpressure. 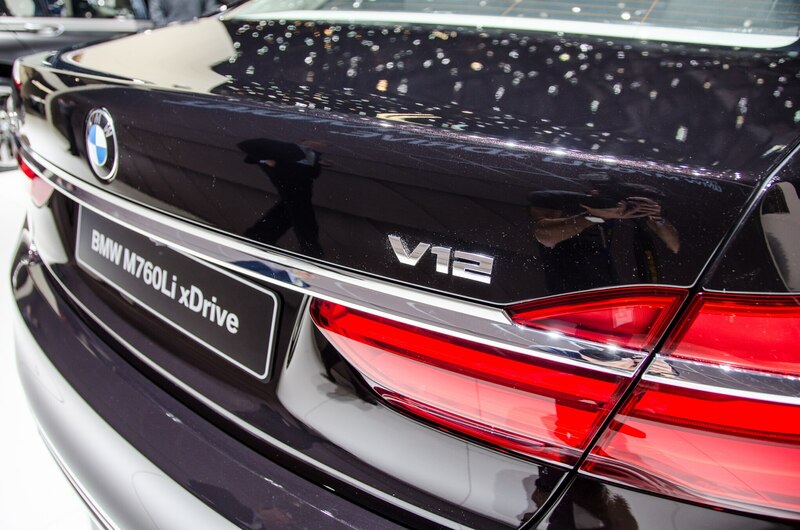 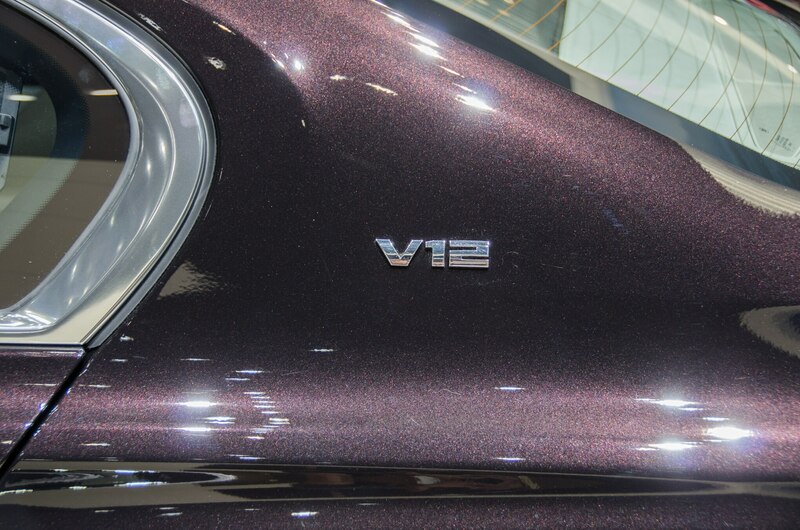 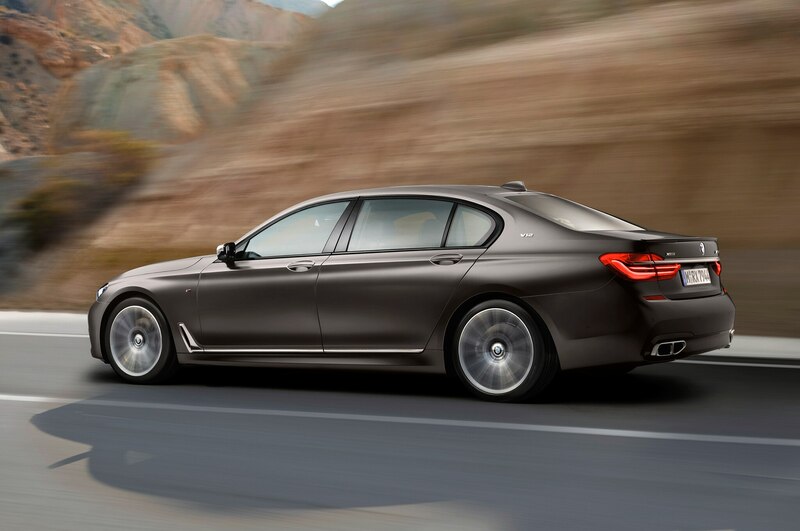 Compare that V-12 to the Alpina B7’s twin-turbo 4.4-liter V-8, which also has 600 hp and 590 lb-ft, though the Alpina doesn’t produce its maximum twist until 3,000 rpm. 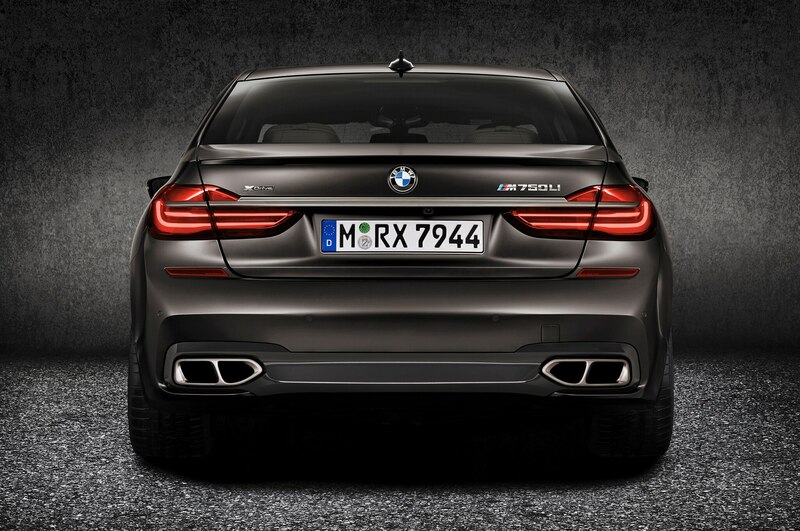 It’ll be a close drag race between the M760i and the B7, too, with the latter claimed to reach 60 mph in just 3.6 seconds. 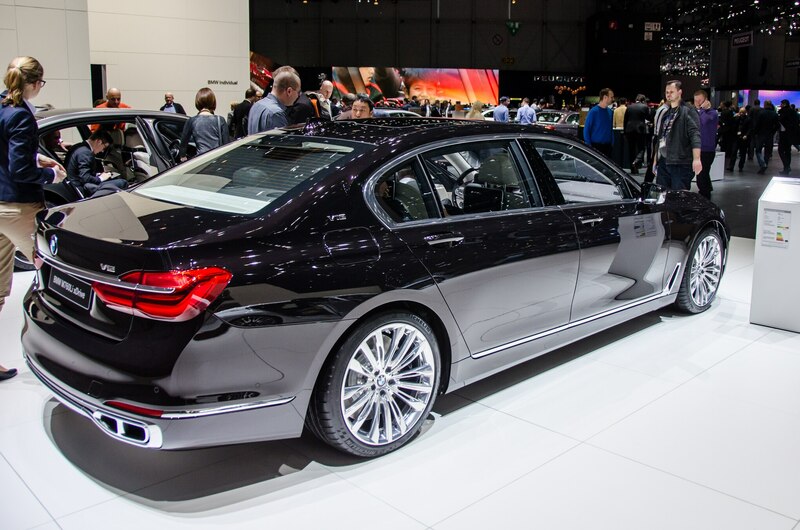 But on long, delimited autobahn stretches, Alpina’s supersedan will run away with the show, continuing up to 193 mph where the M760i is limited to 155 mph. 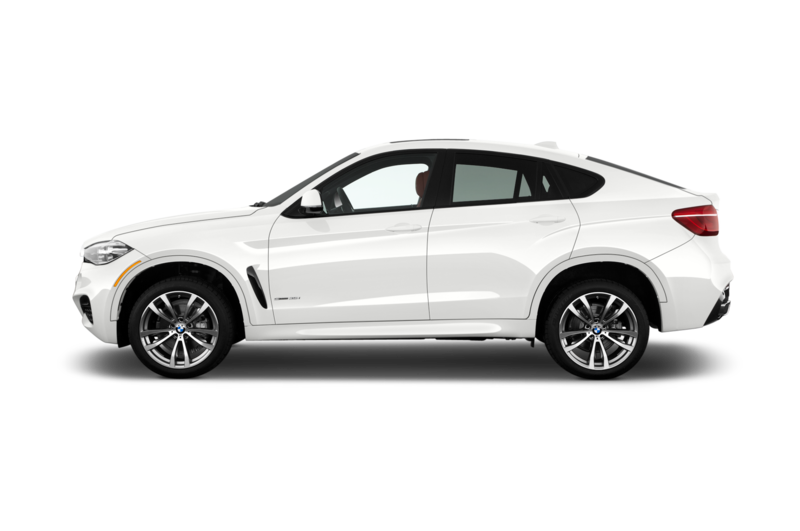 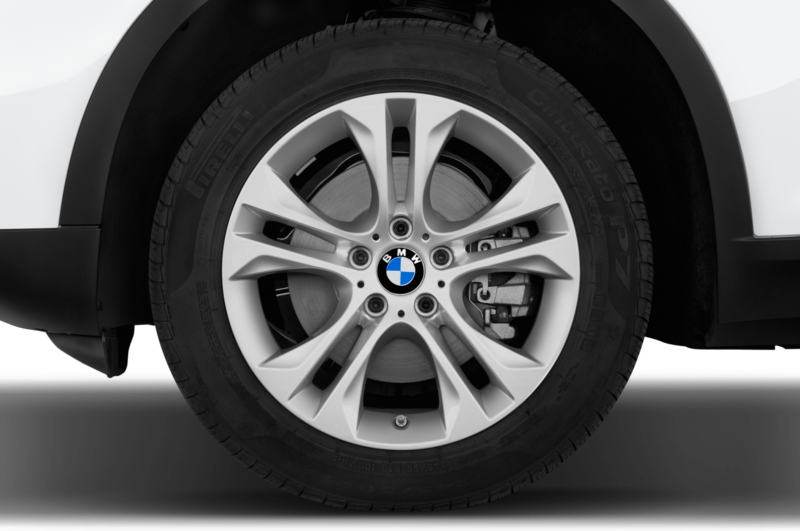 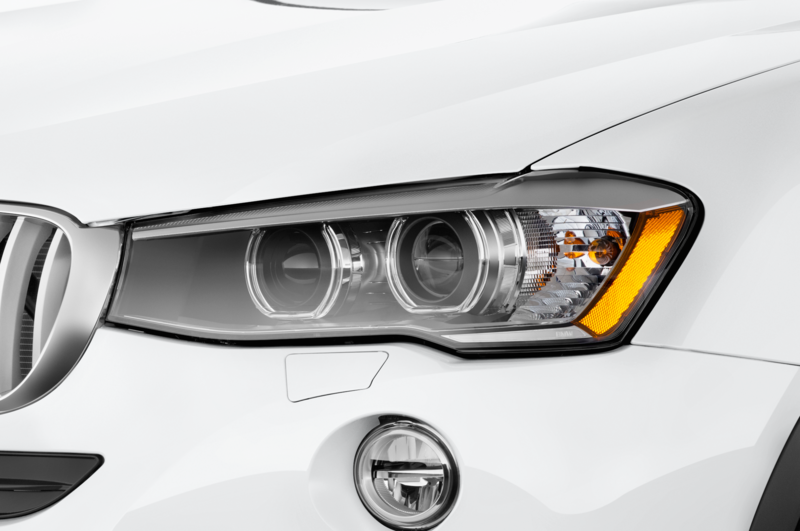 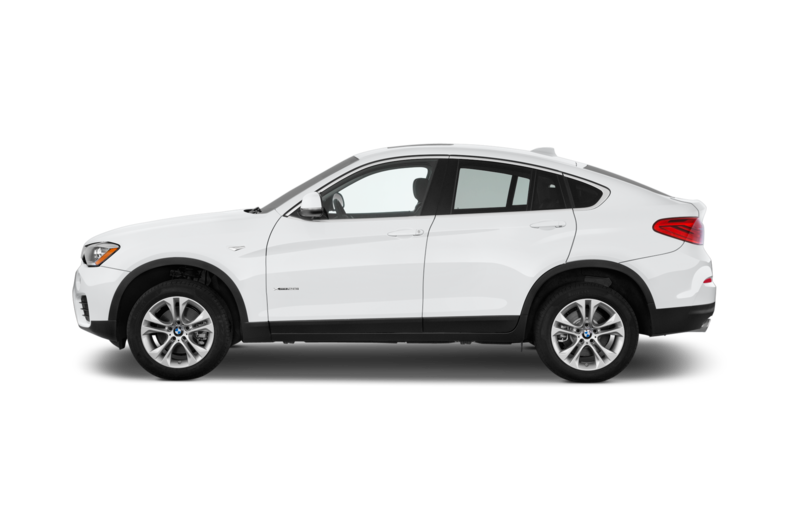 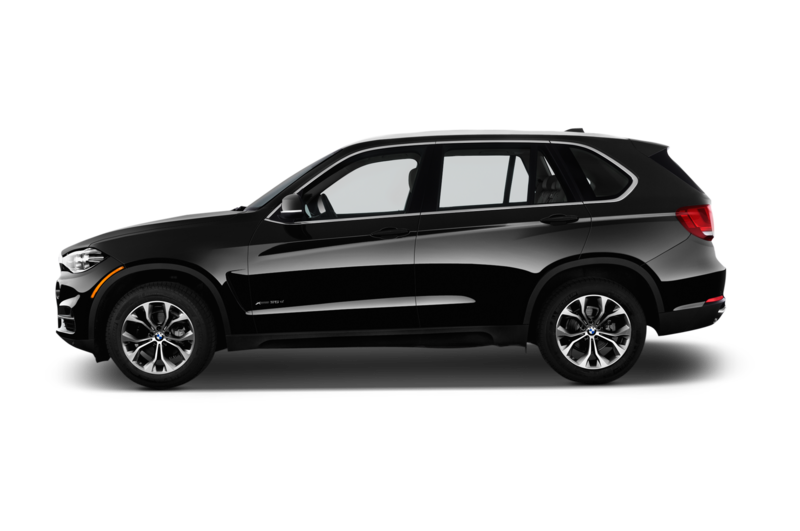 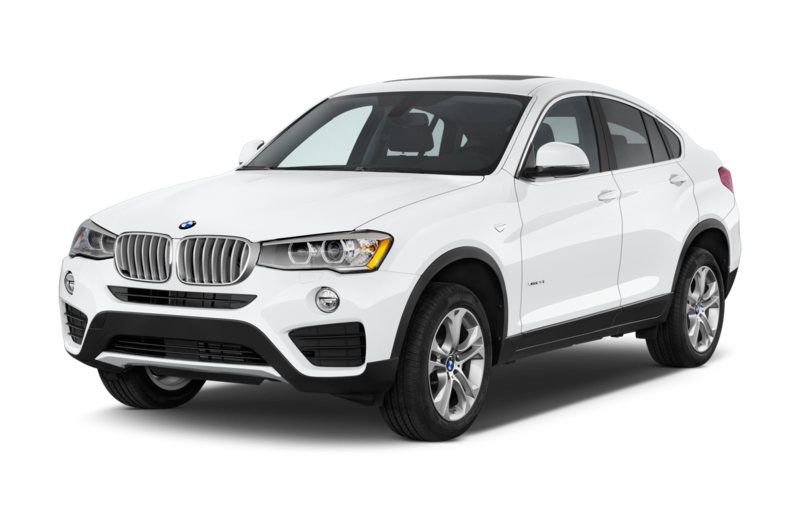 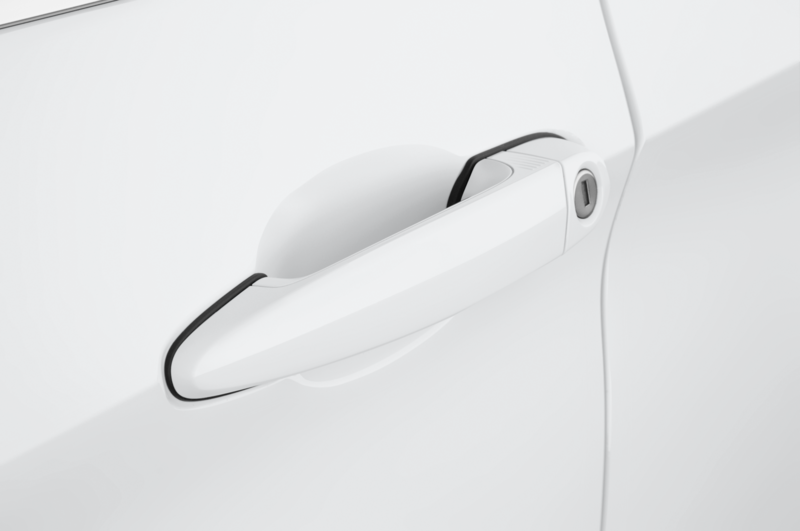 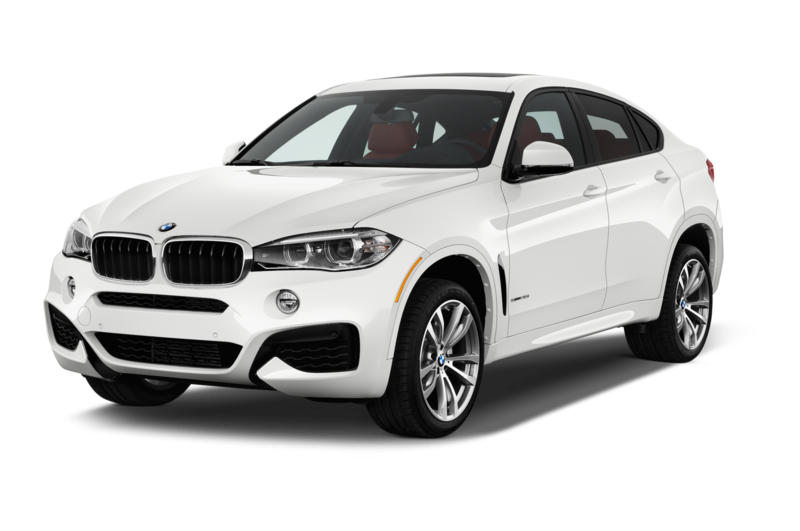 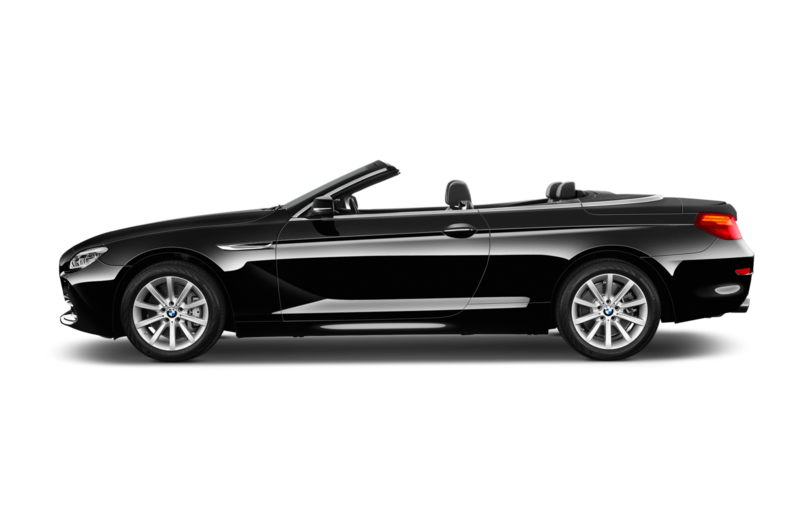 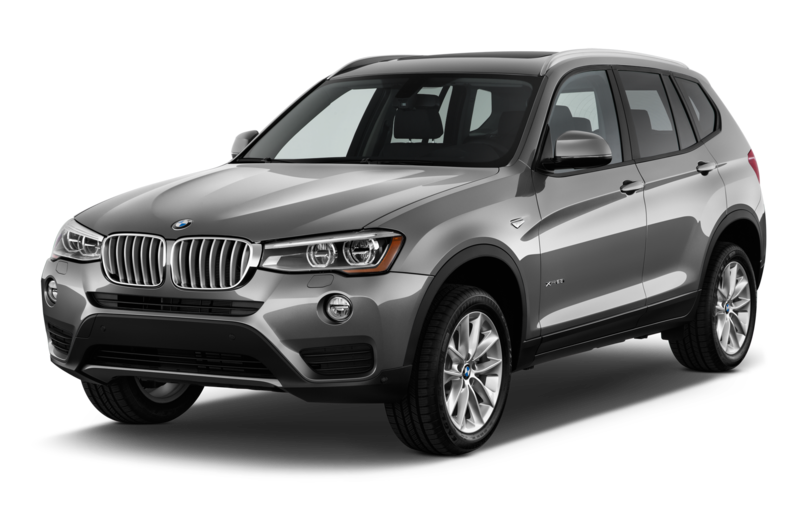 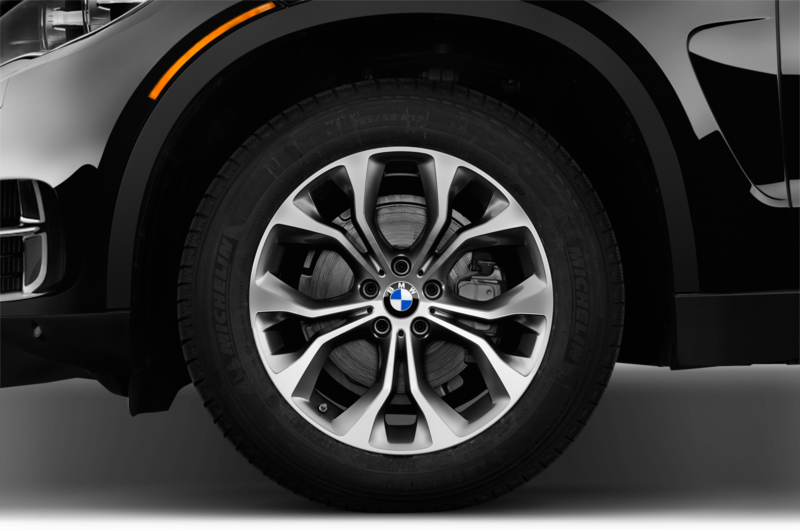 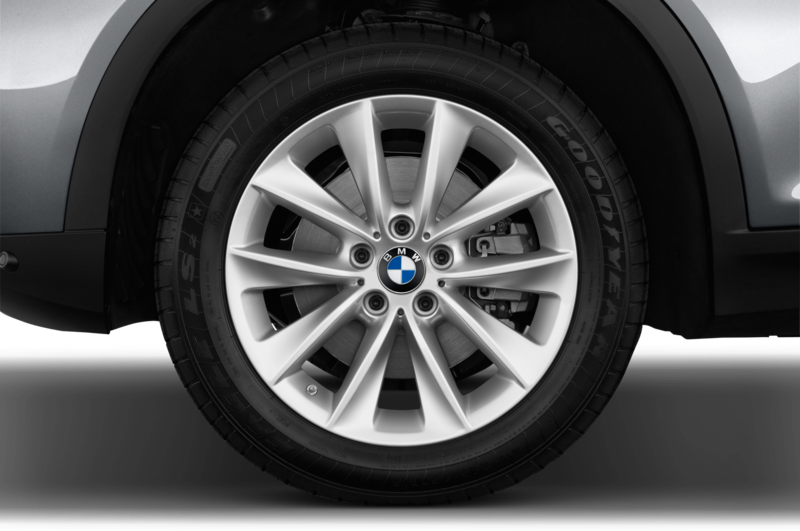 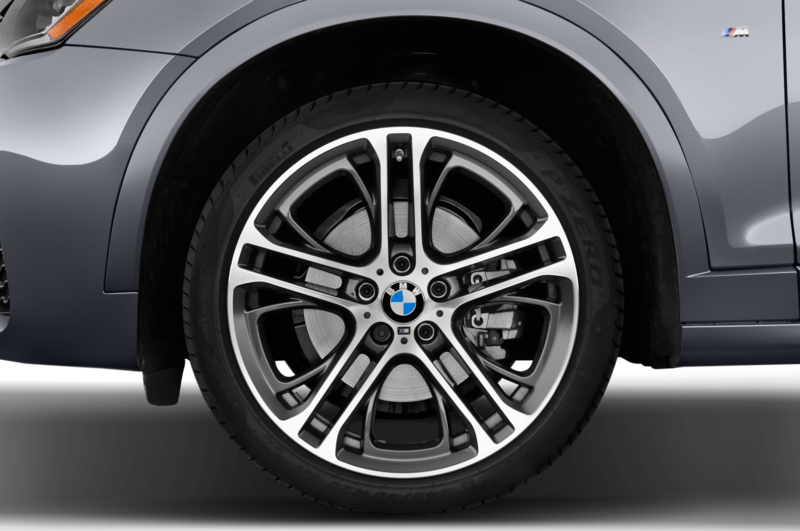 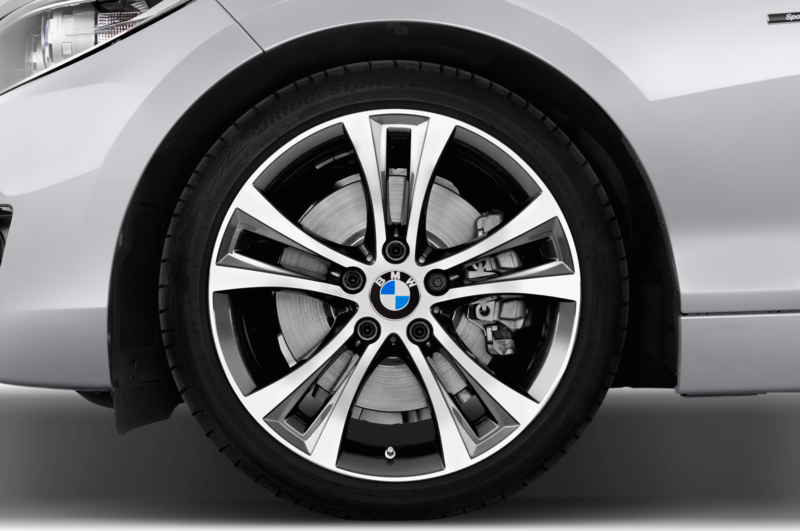 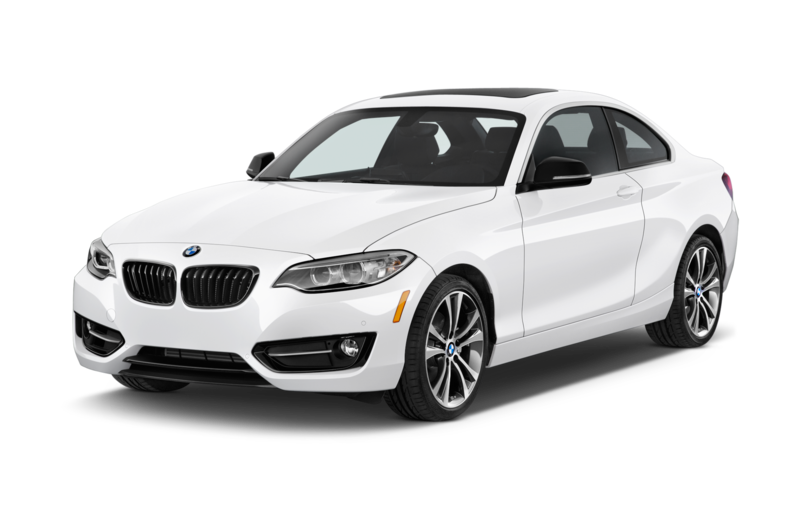 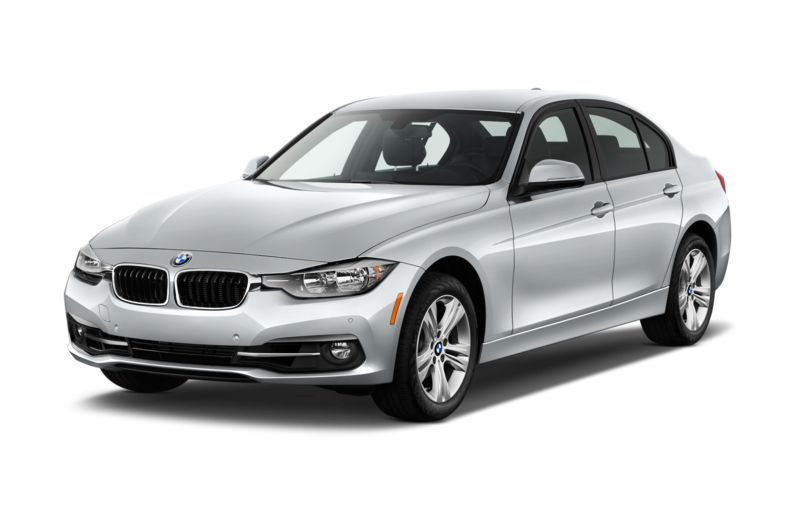 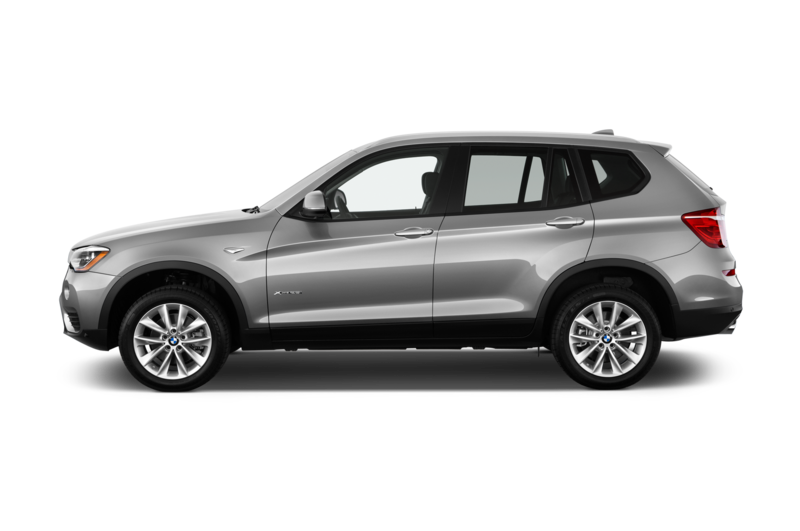 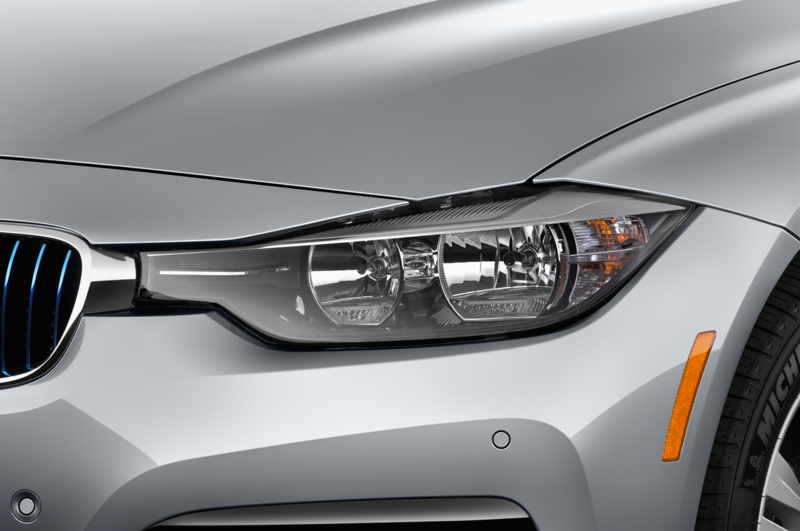 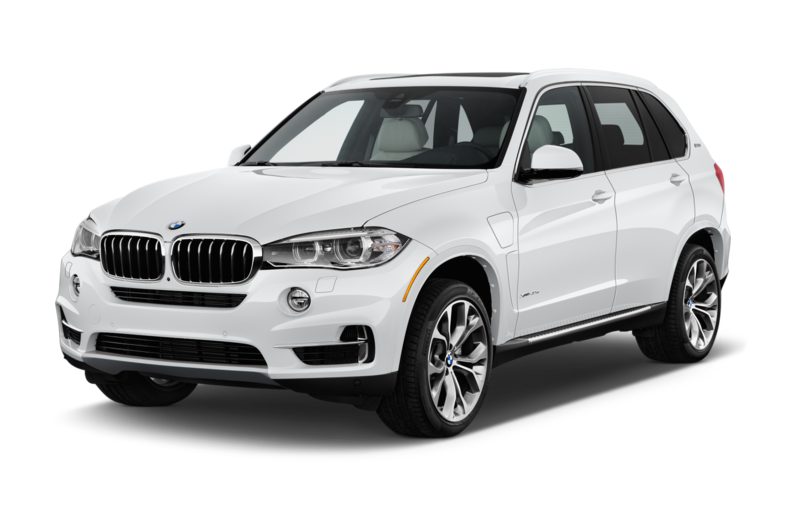 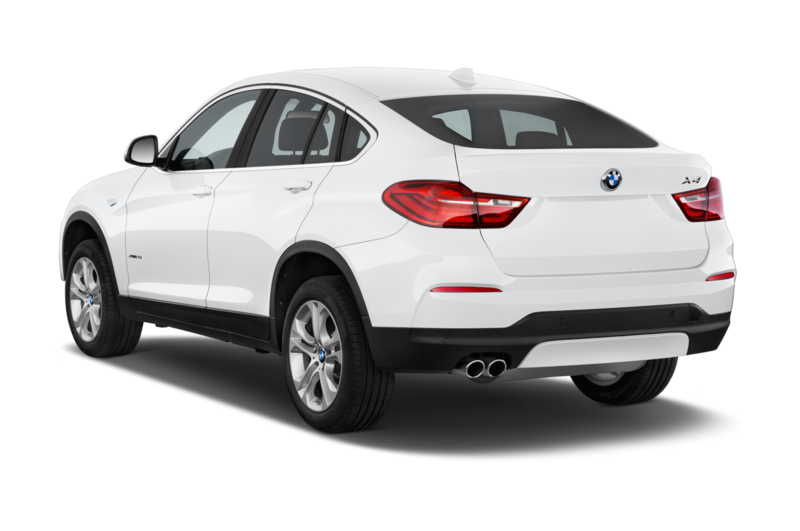 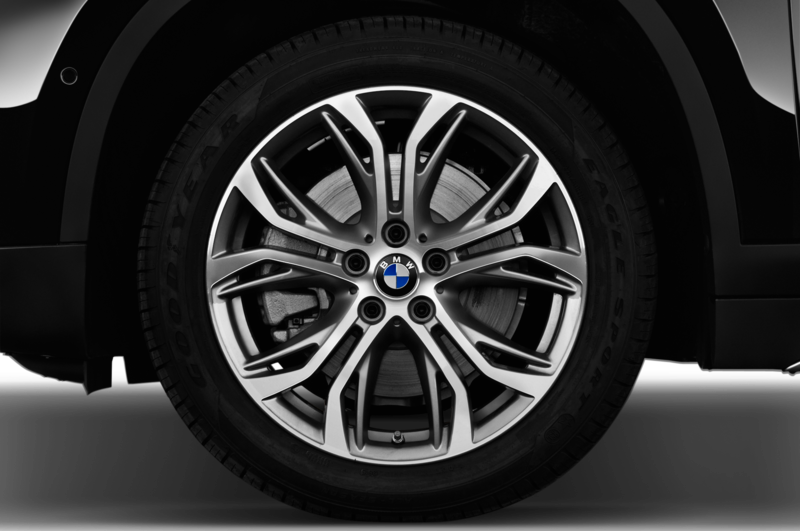 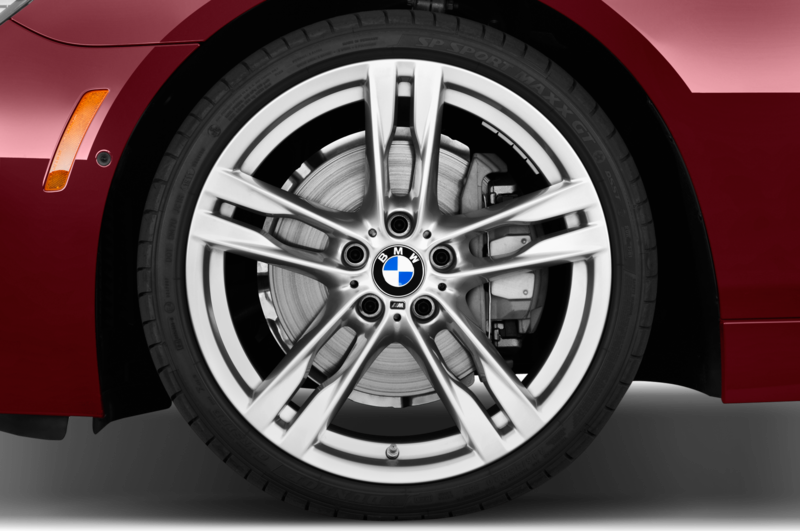 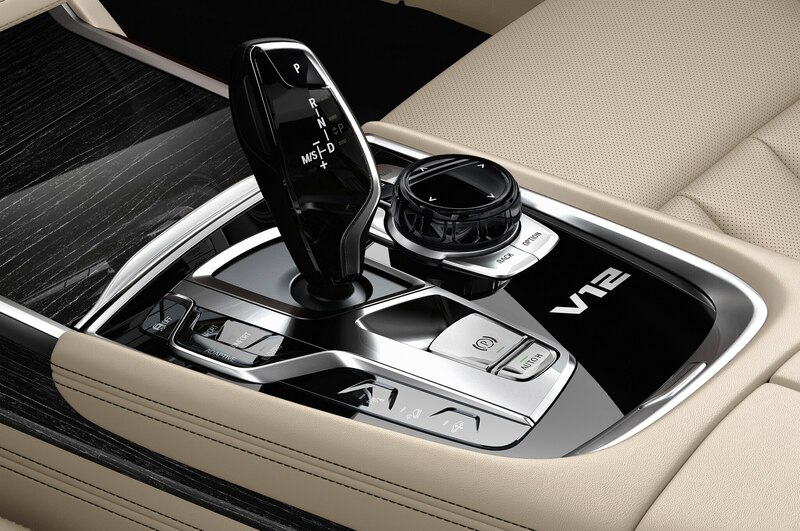 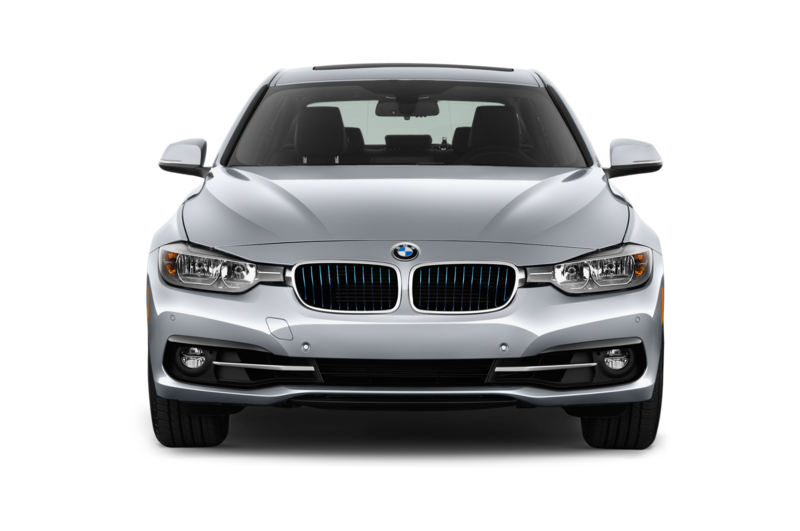 An eight-speed automatic is the only transmission choice, mated exclusively to xDrive all-wheel drive. 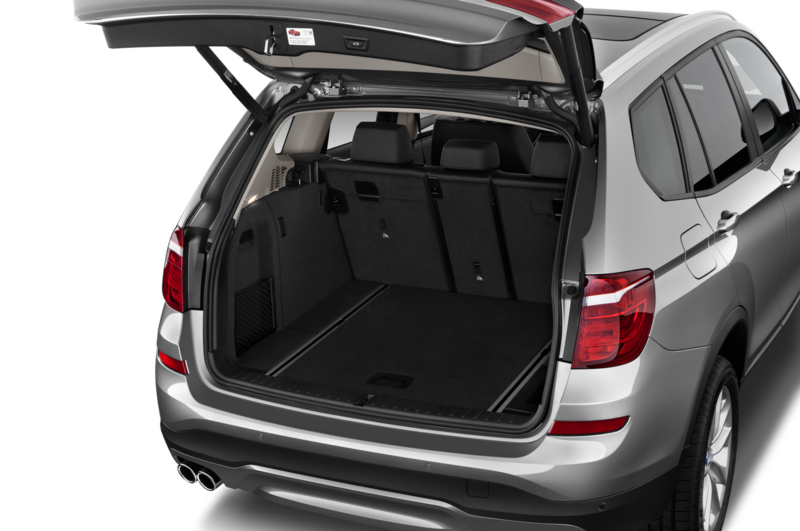 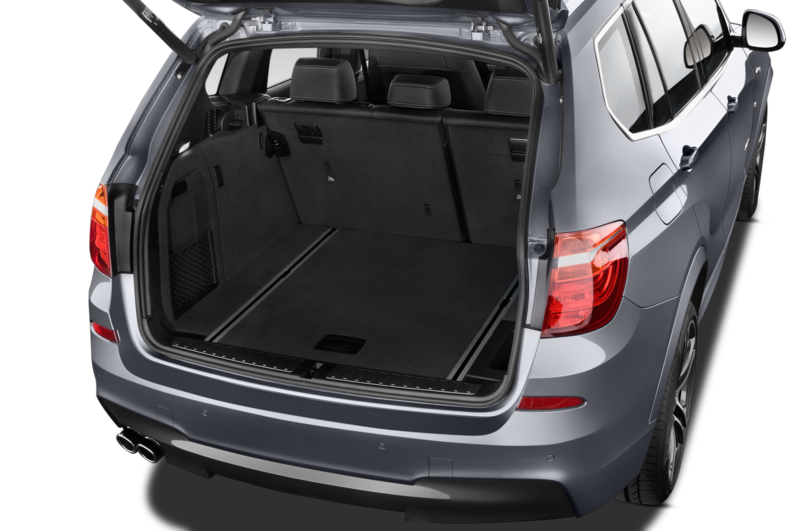 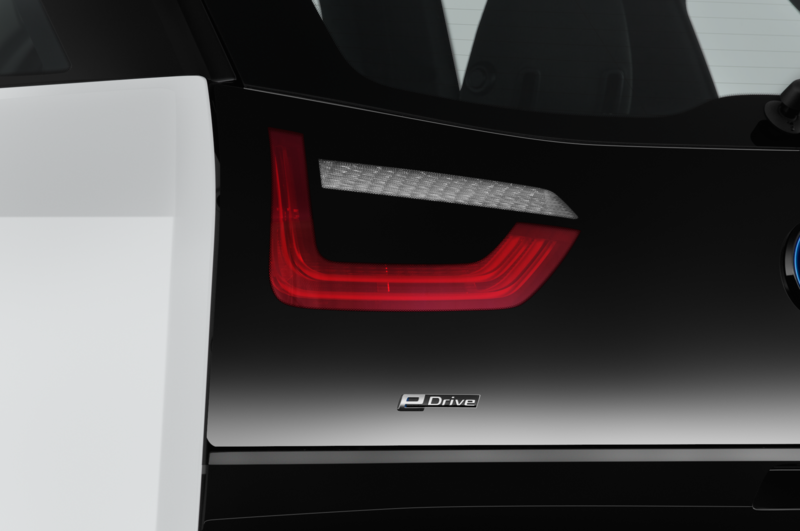 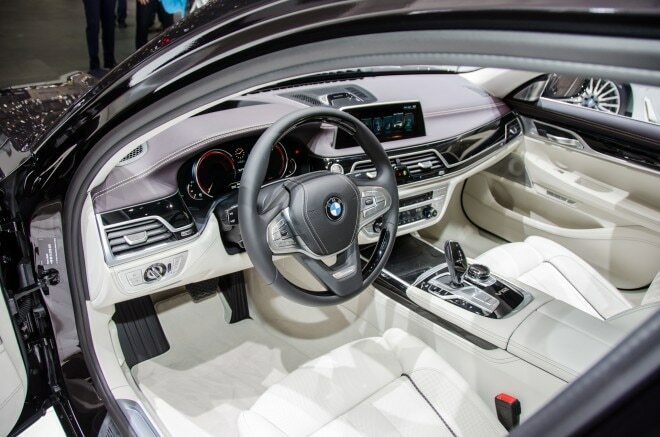 The drivetrain has launch control for aggressive standing starts, and in manual-shift mode, the transmission won’t override the driver’s intentions — even if he or she is banging off the rev limiter. 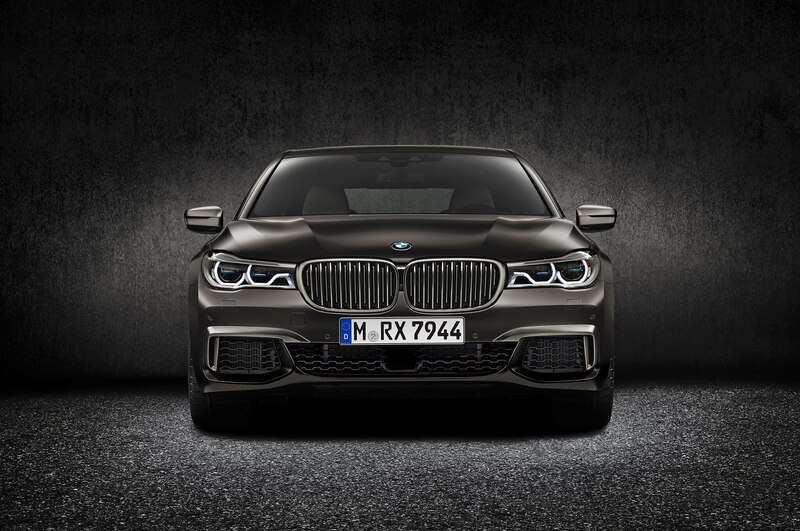 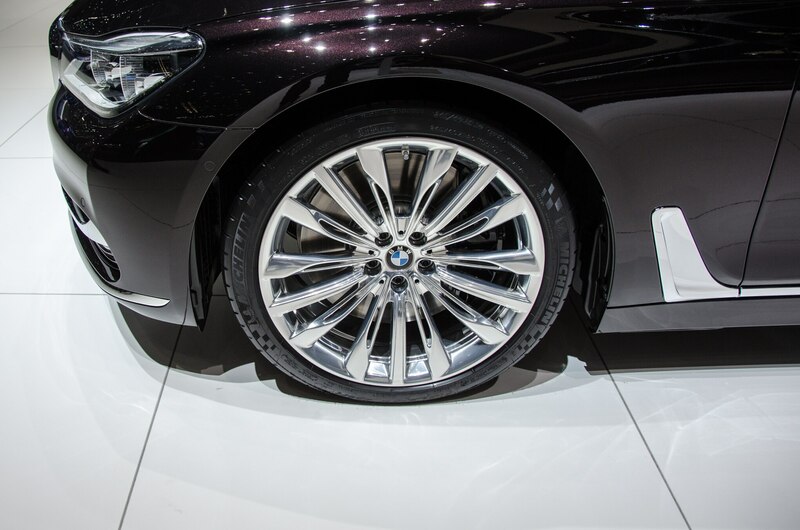 Just like the Alpina B7, the 2017 BMW M760i xDrive comes with air suspension, adaptive anti-roll bars, and rear-wheel steering, though all the systems have been retuned for a sportier driving experience — especially when the car’s Driving Dynamics Control switch is set to Sport or Sport+. 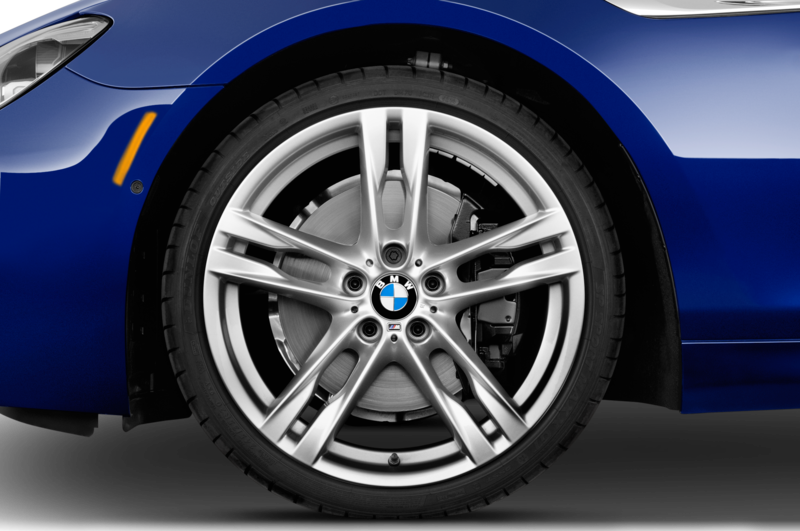 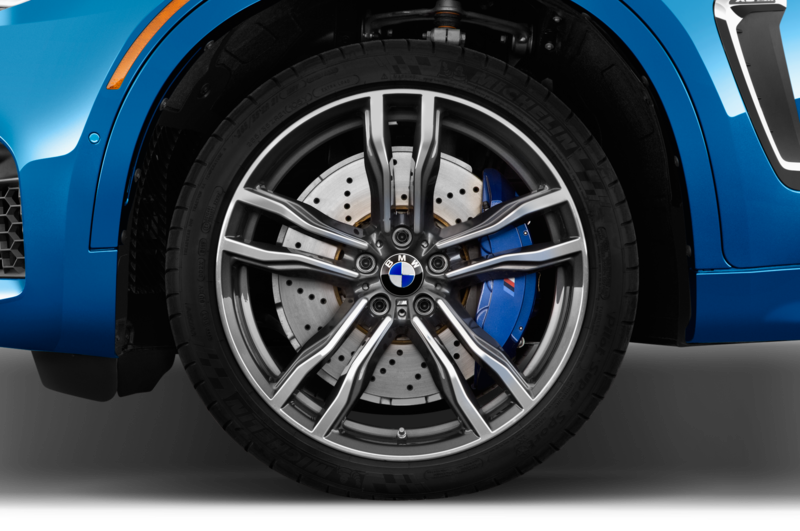 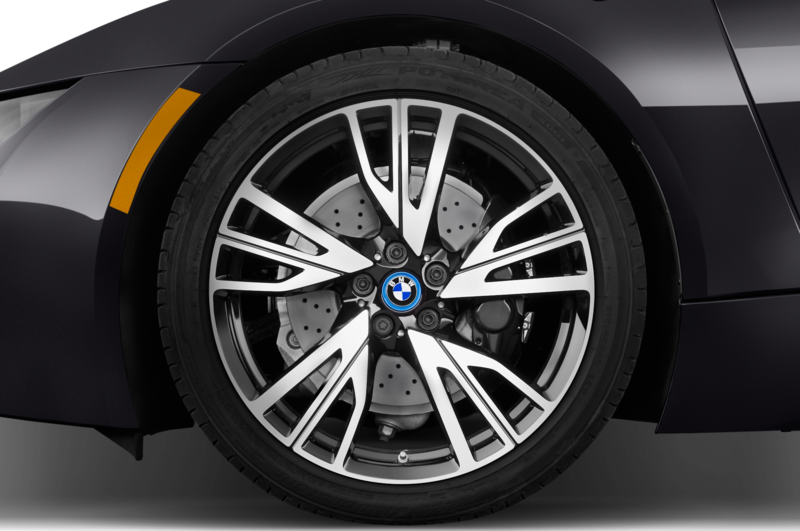 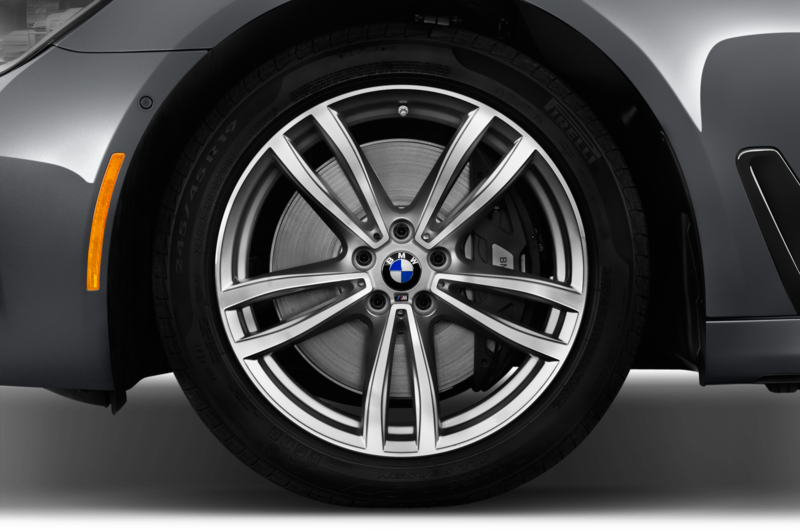 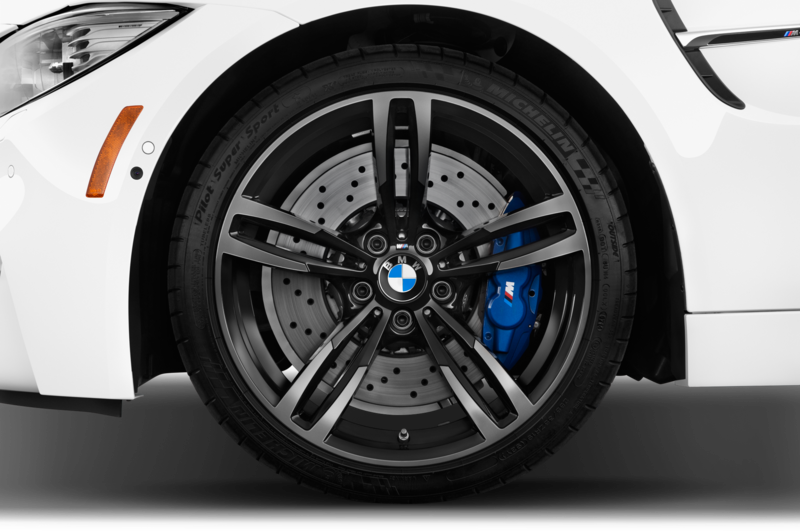 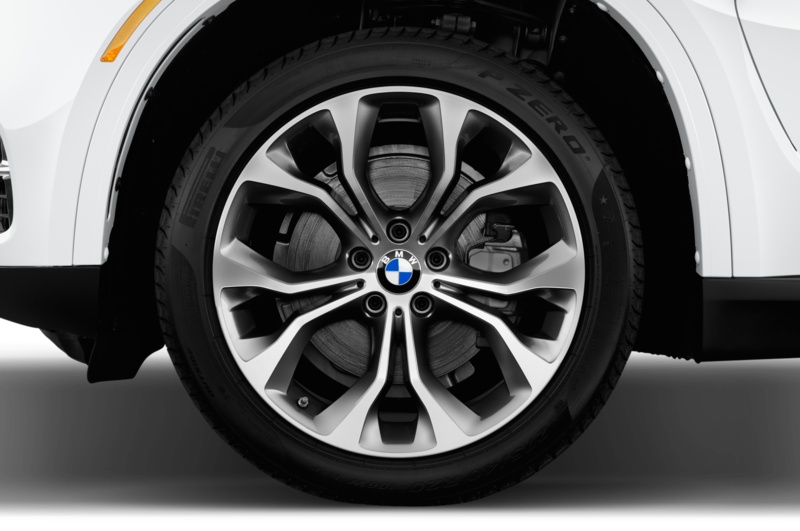 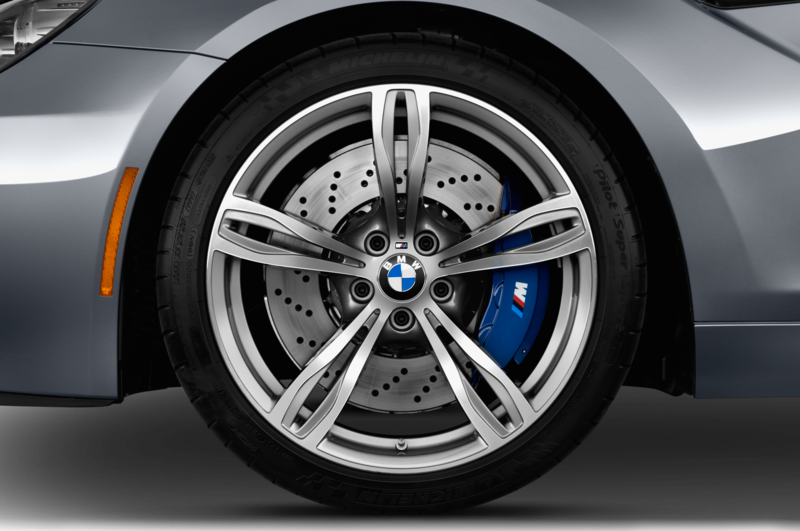 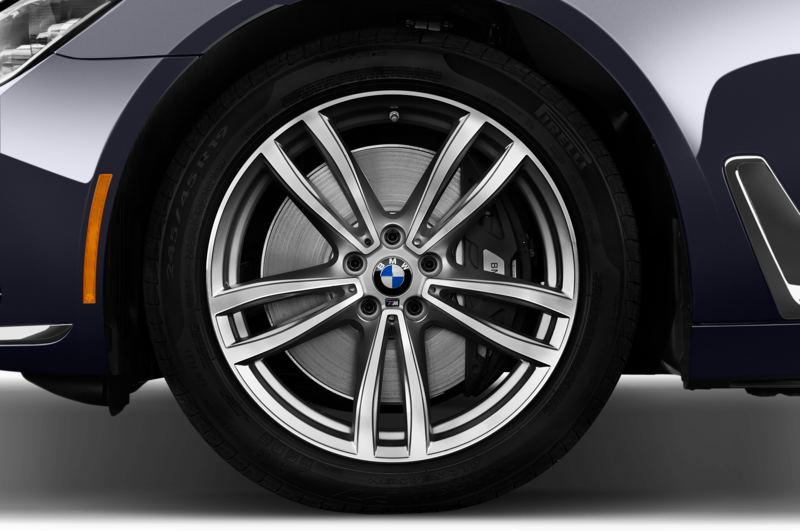 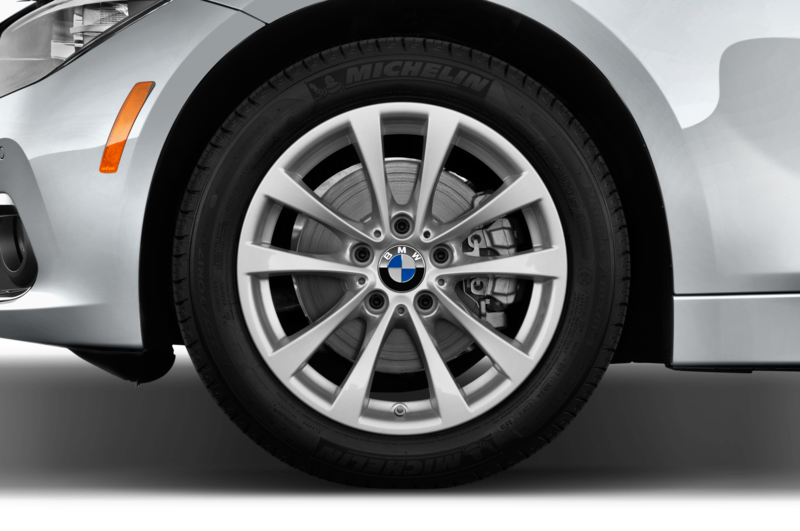 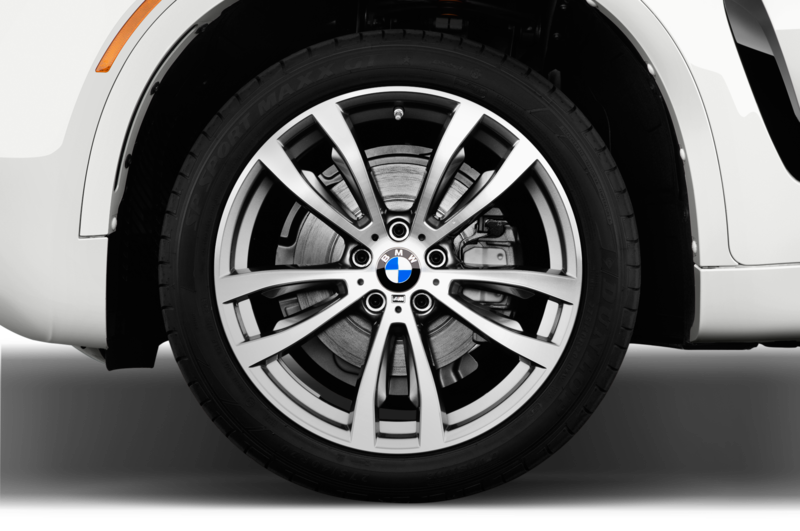 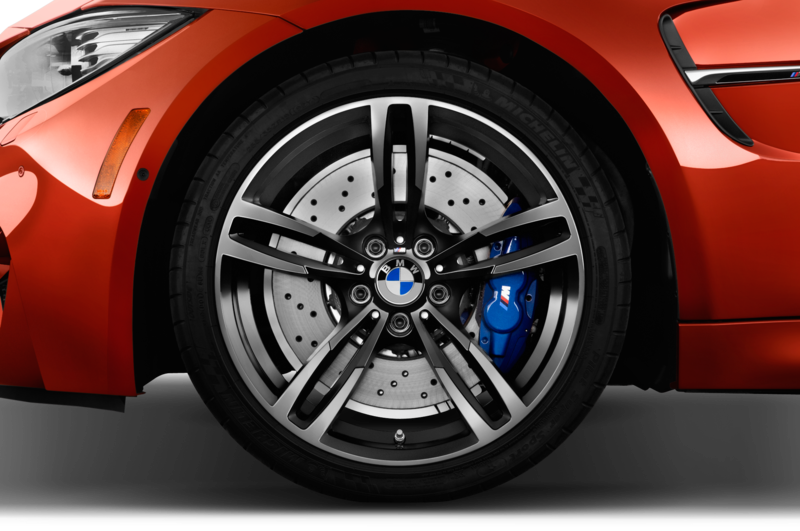 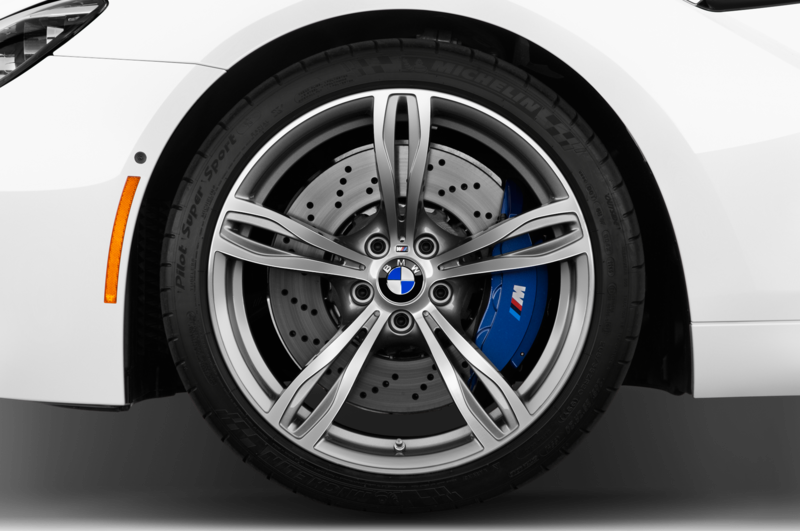 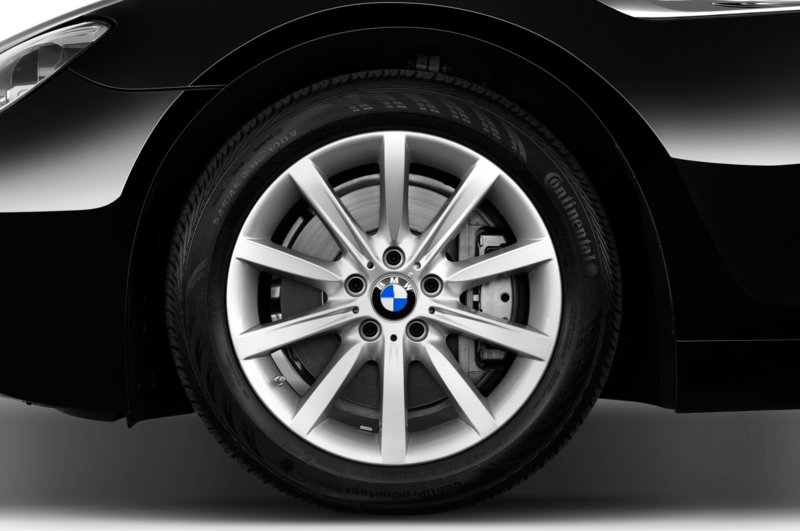 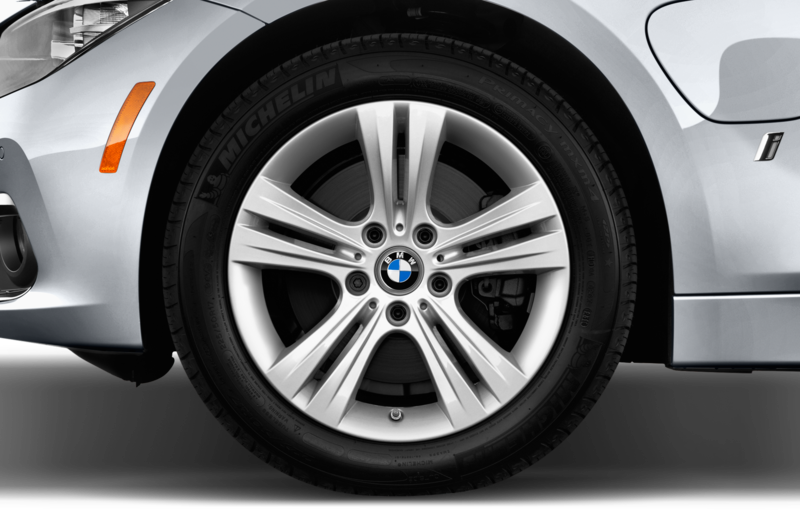 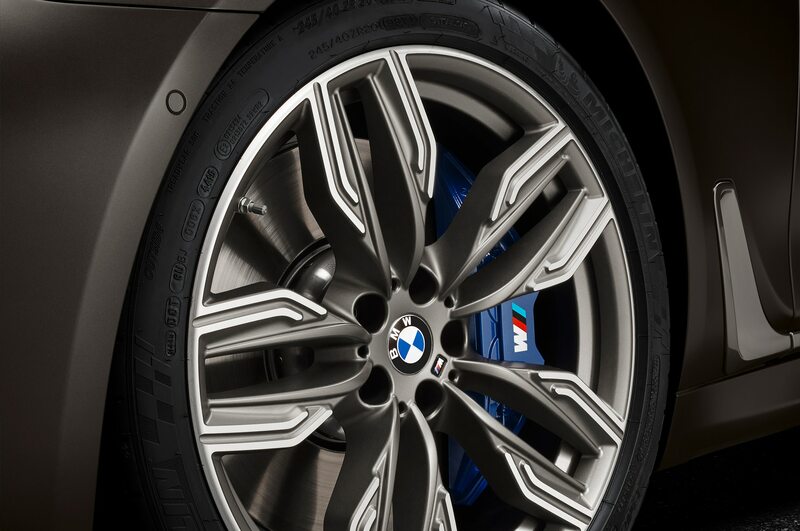 The sedan rides on 20-inch lightweight M-specific wheels wearing Michelin Pilot Super Sport tires. 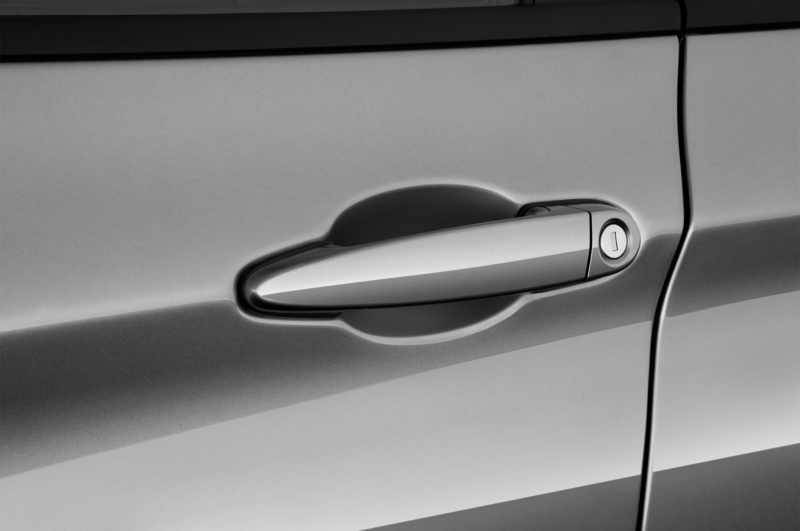 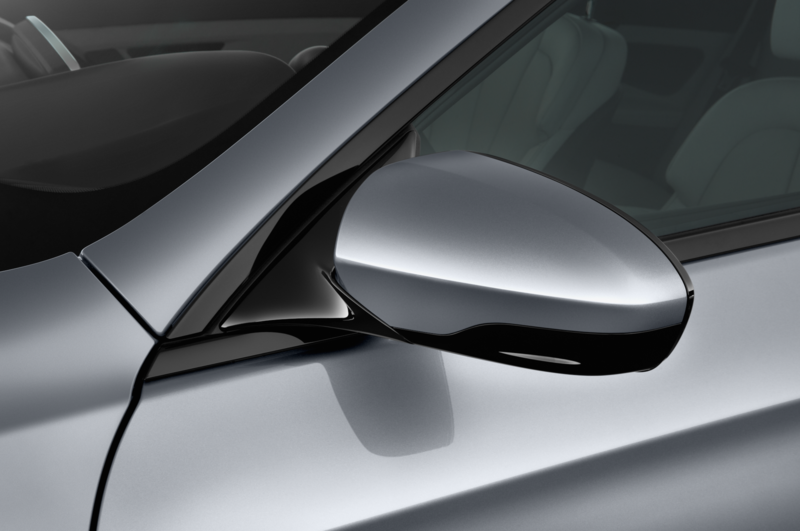 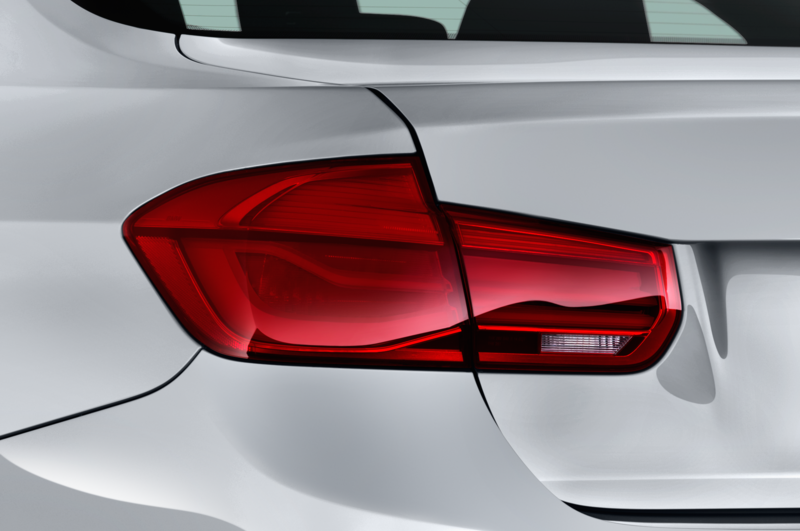 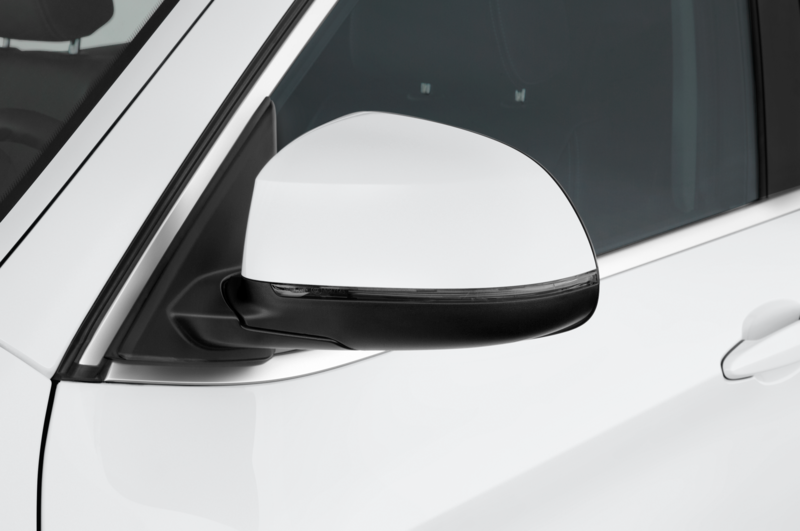 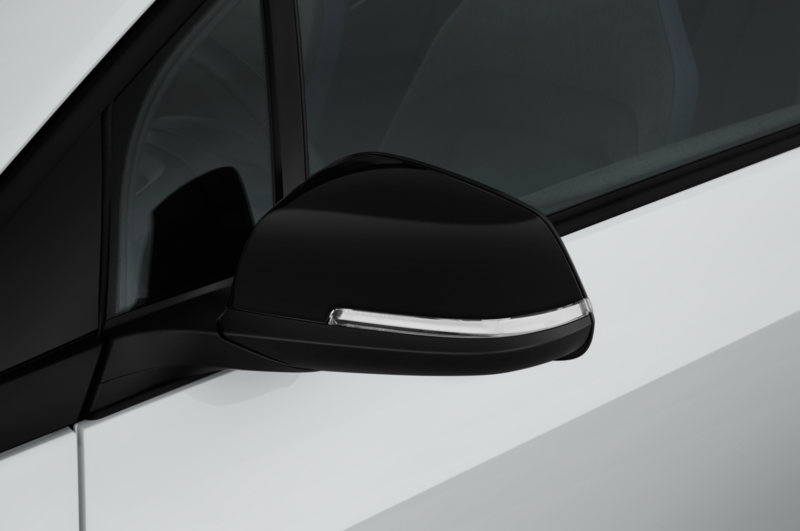 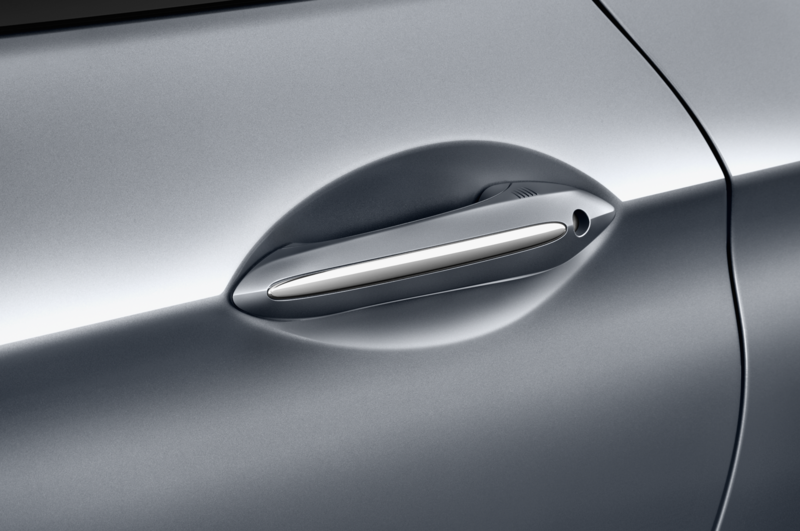 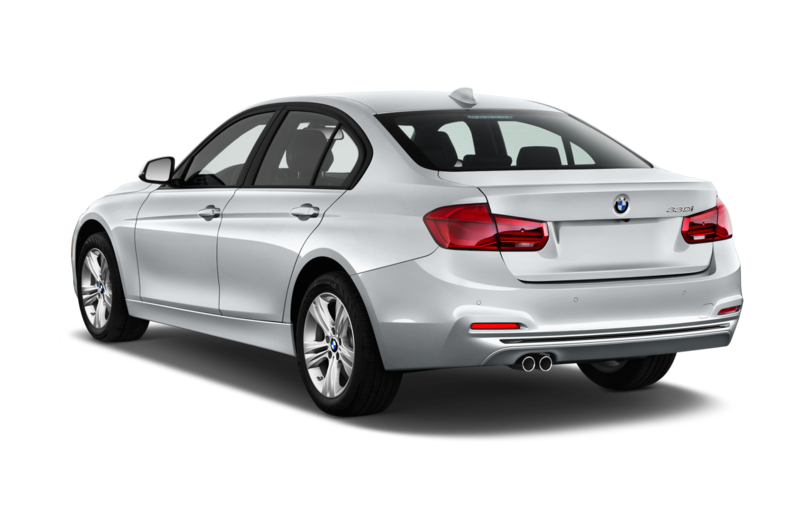 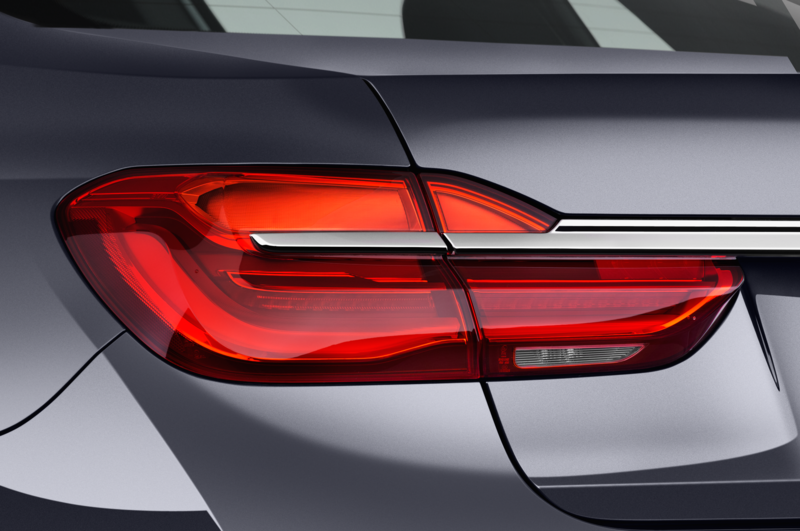 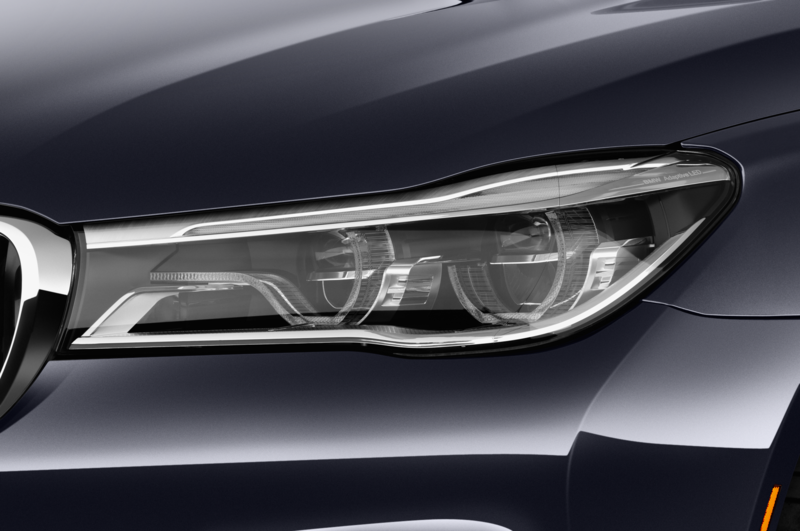 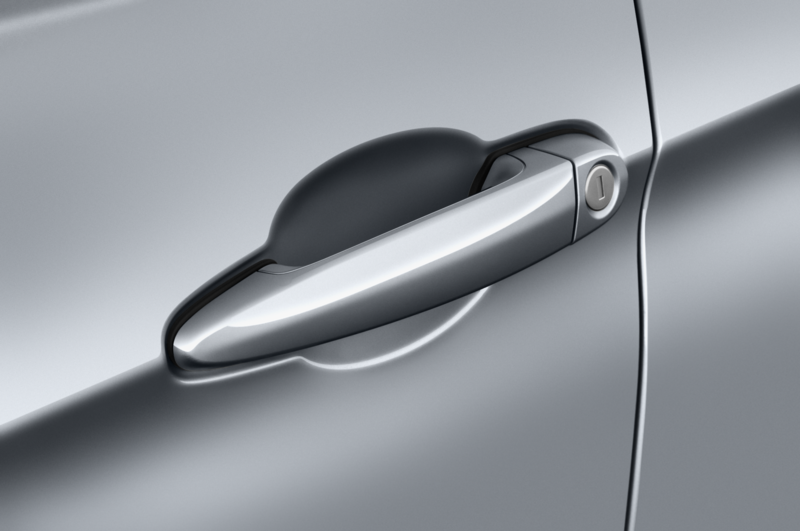 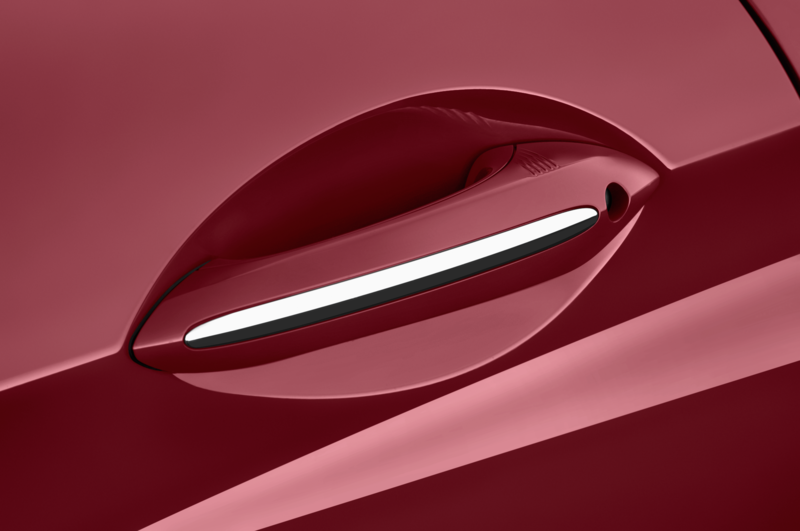 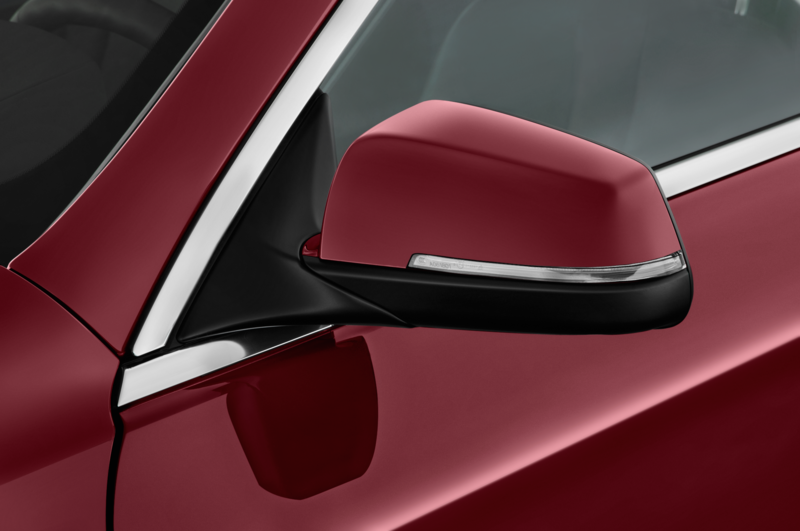 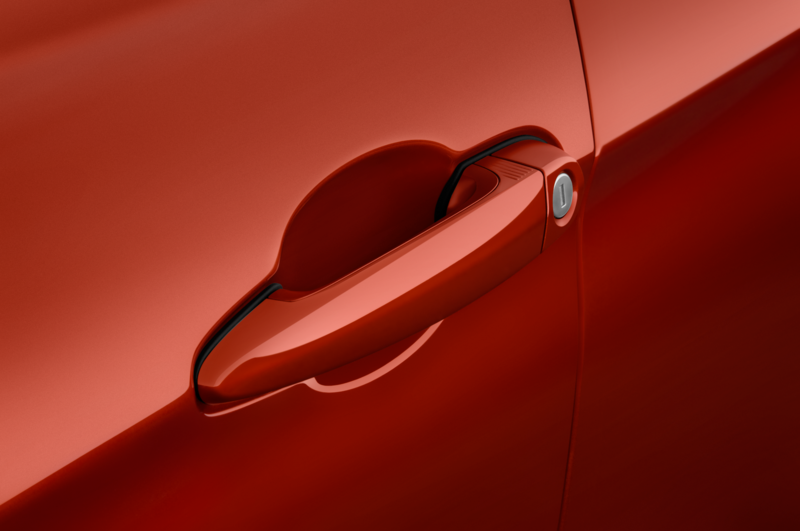 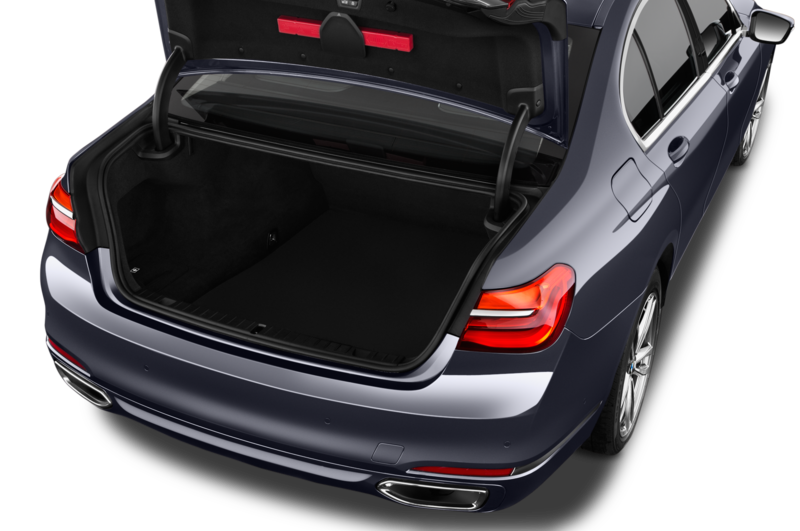 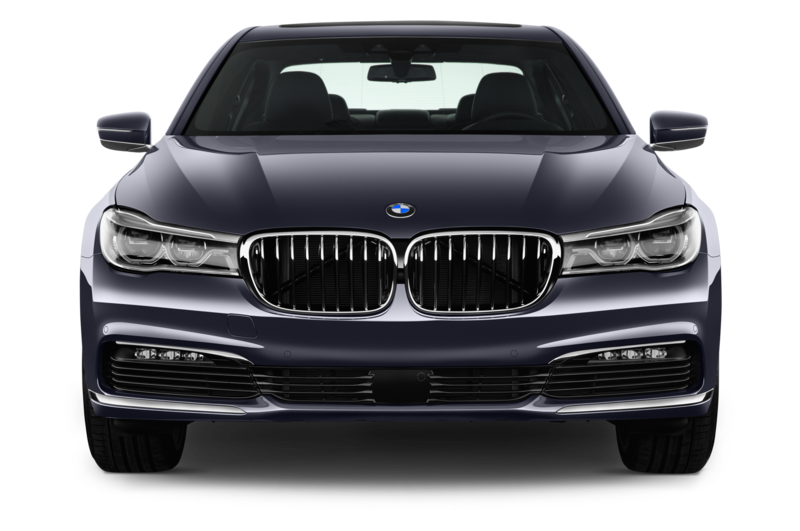 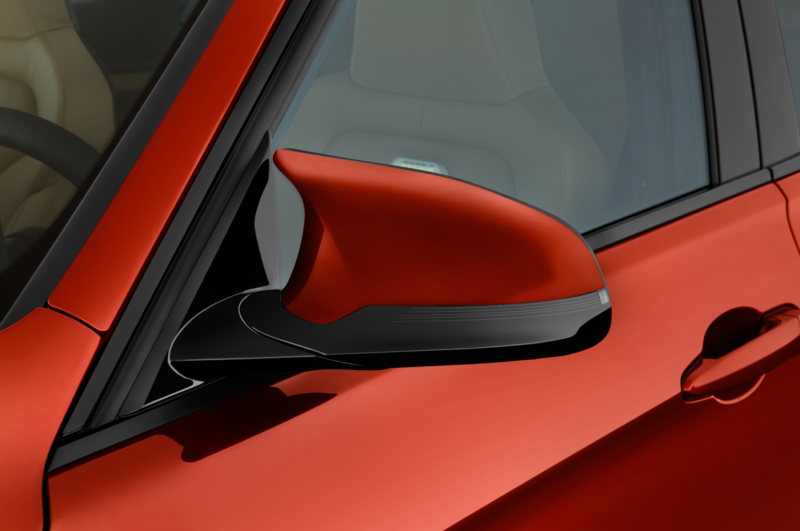 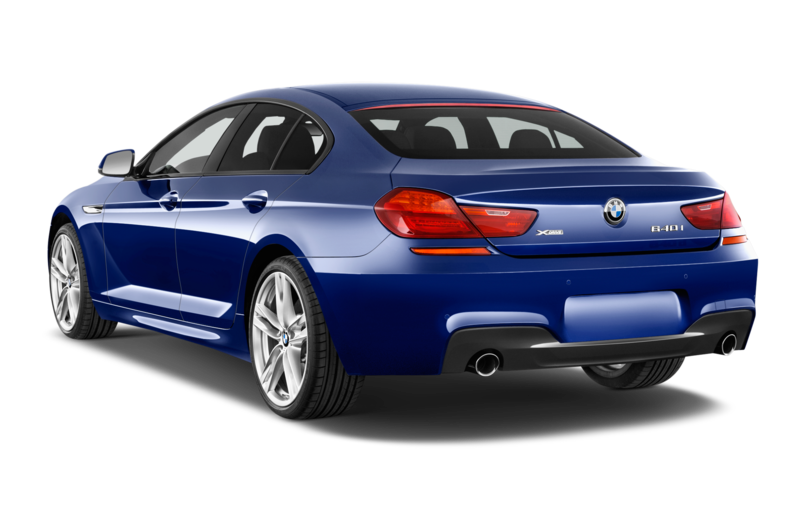 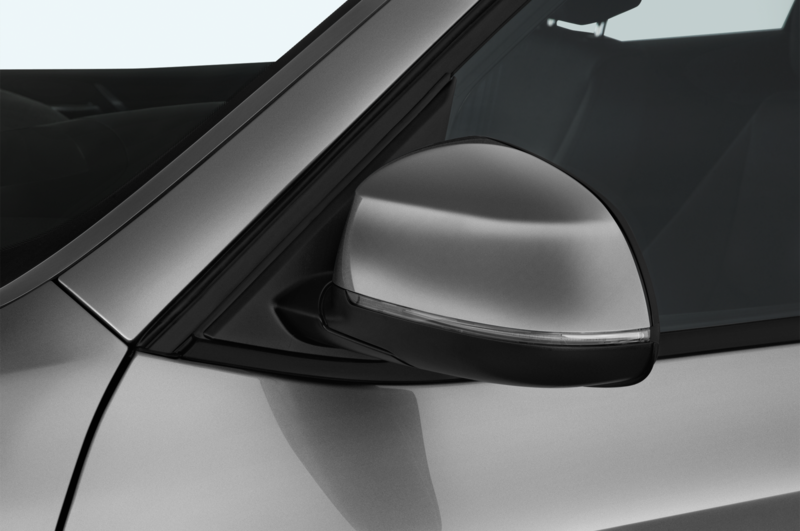 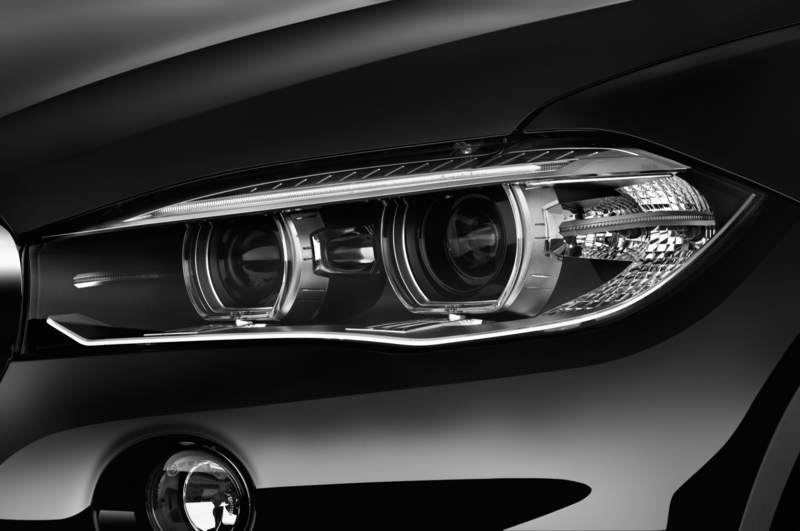 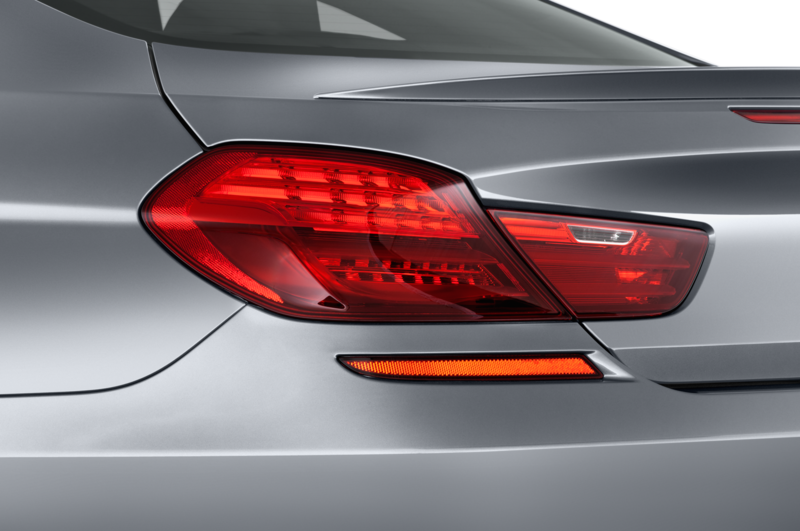 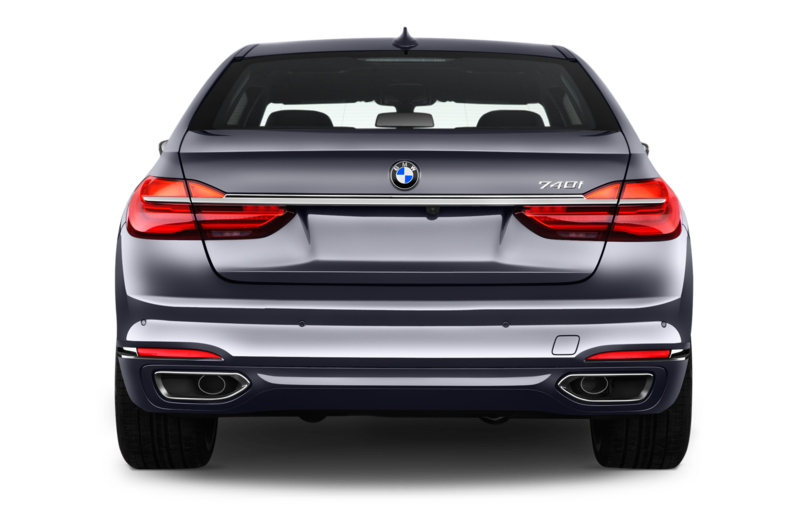 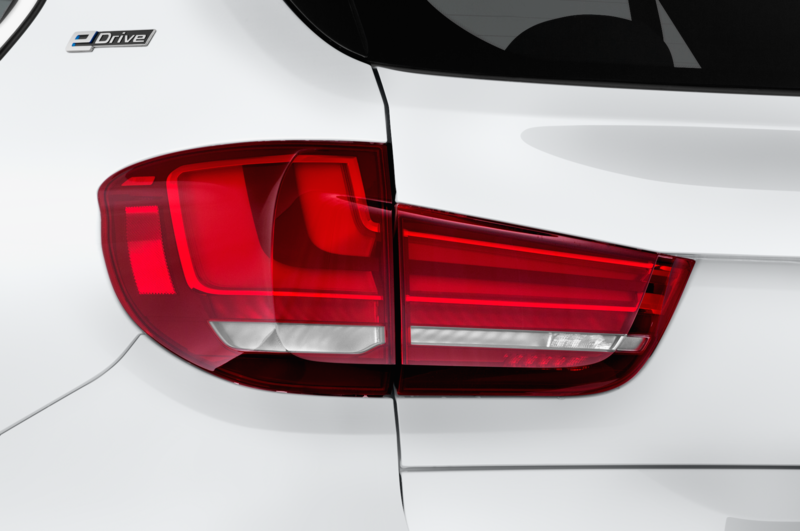 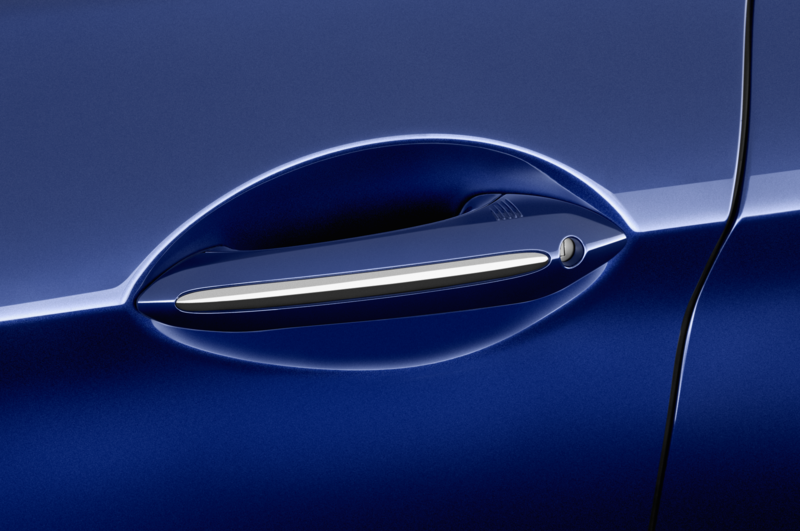 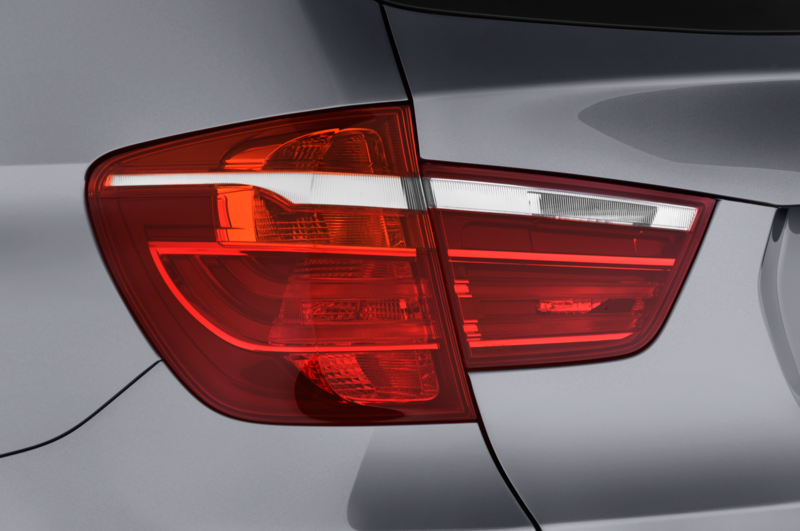 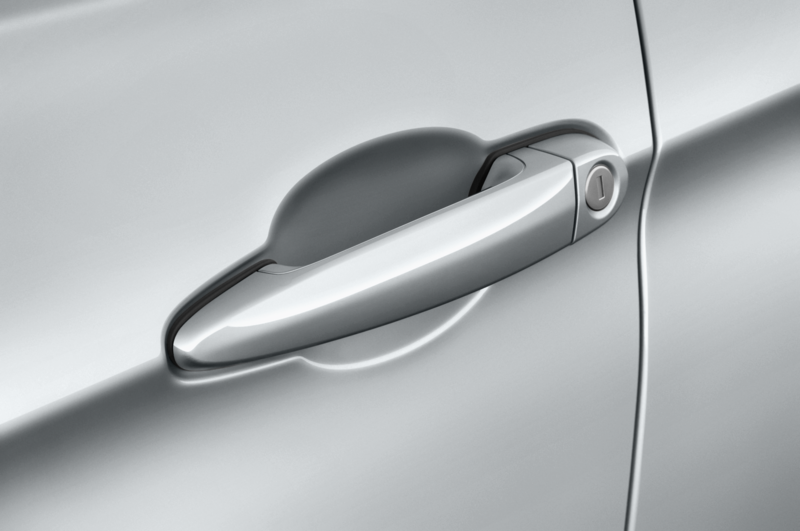 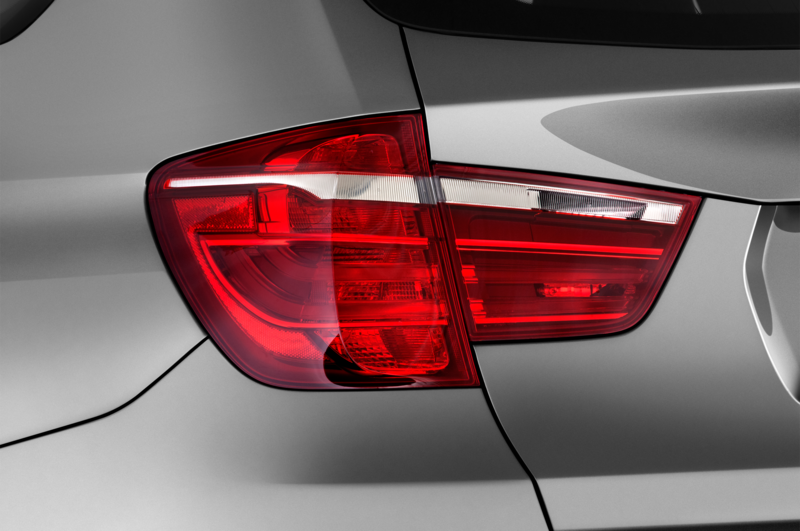 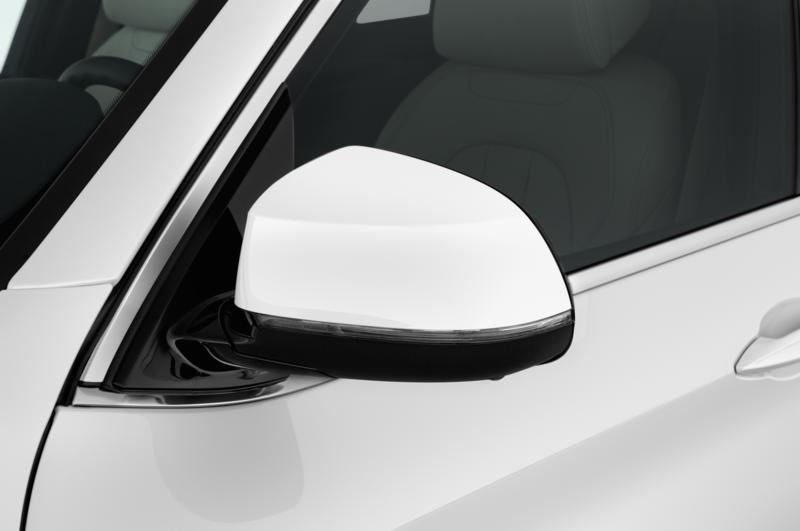 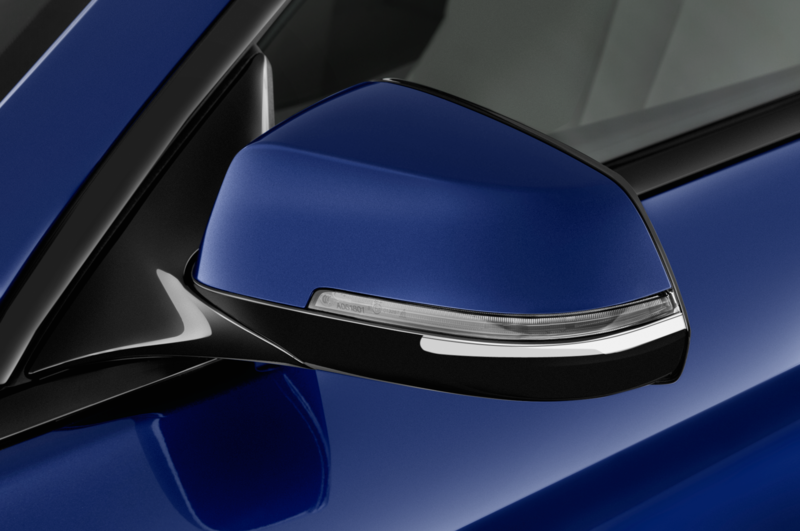 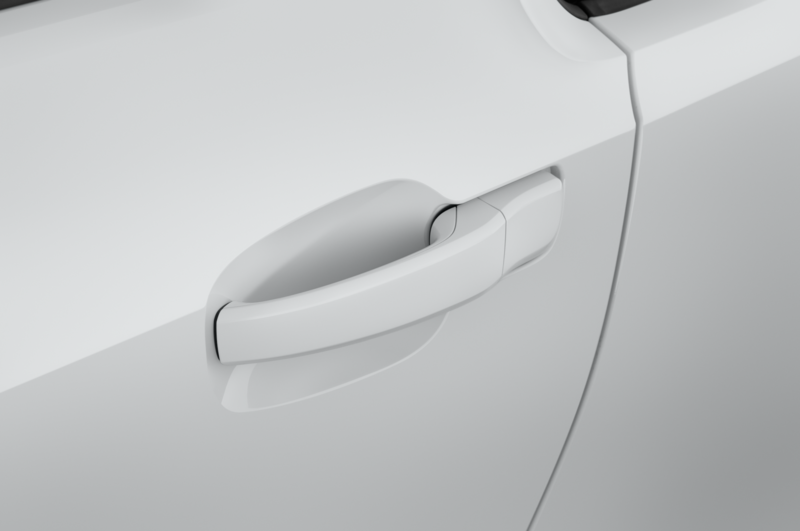 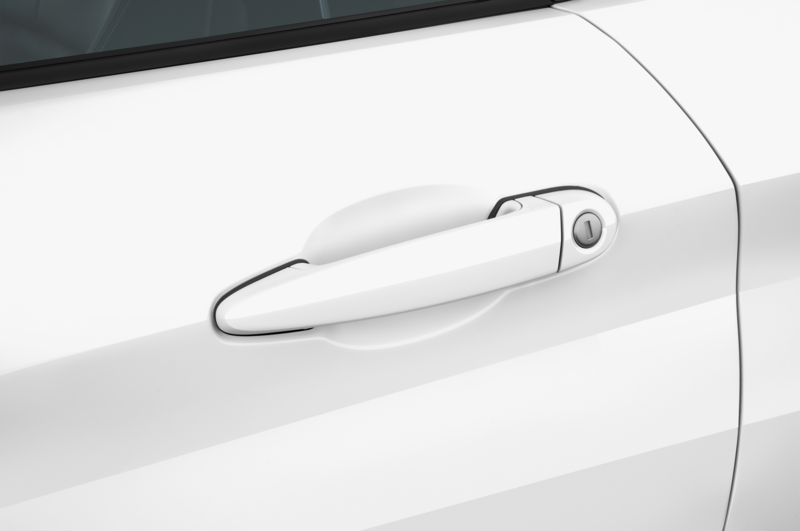 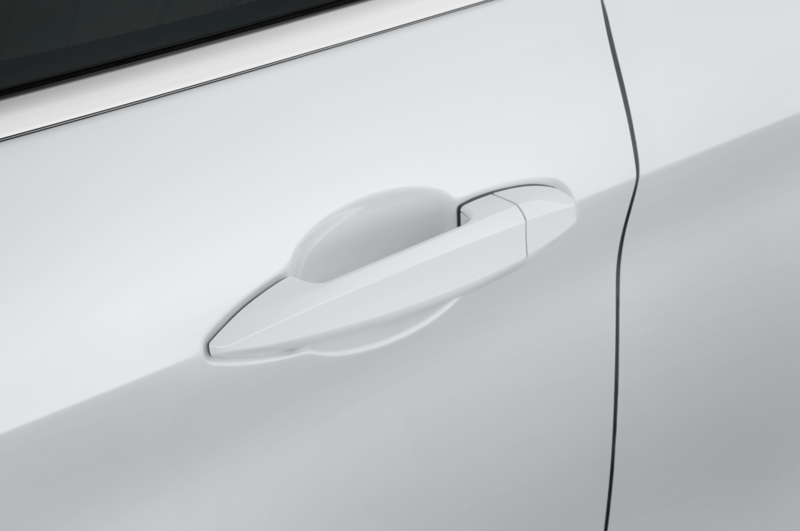 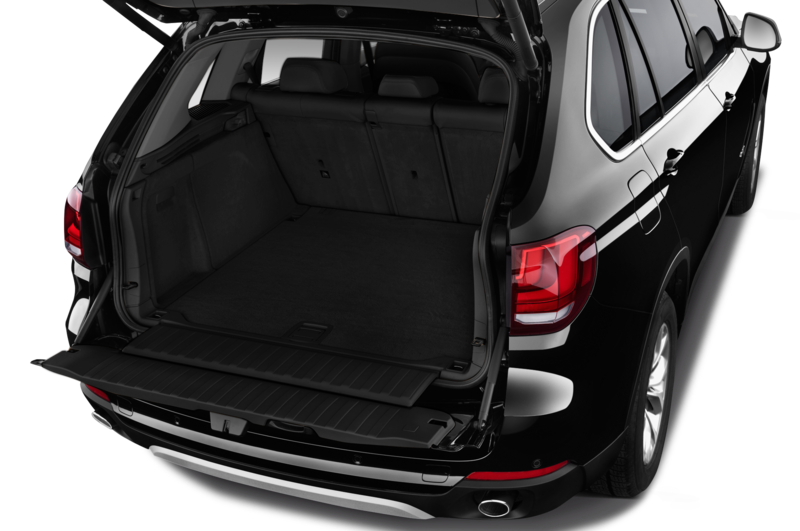 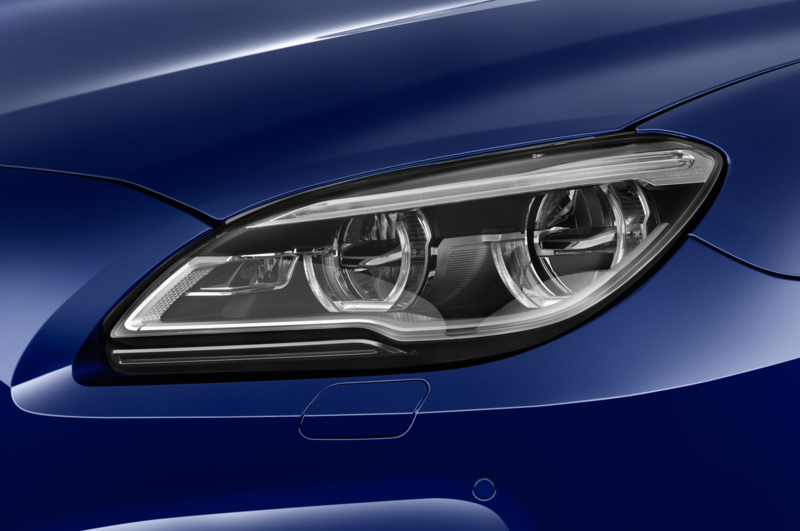 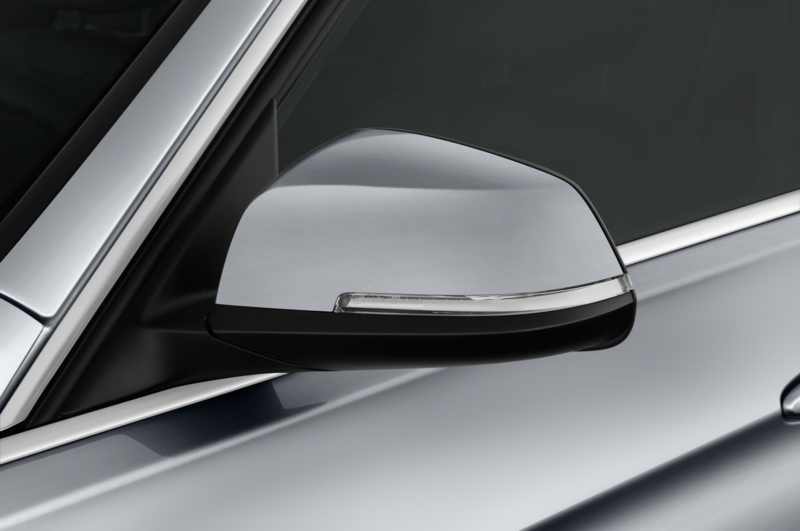 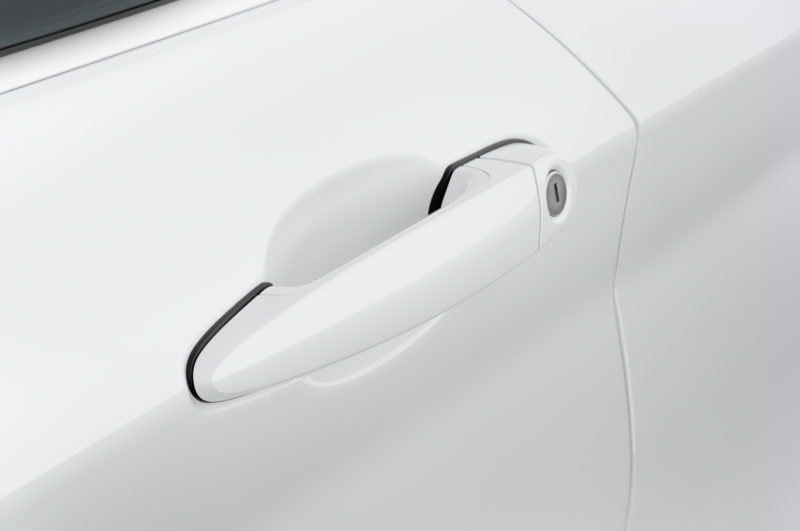 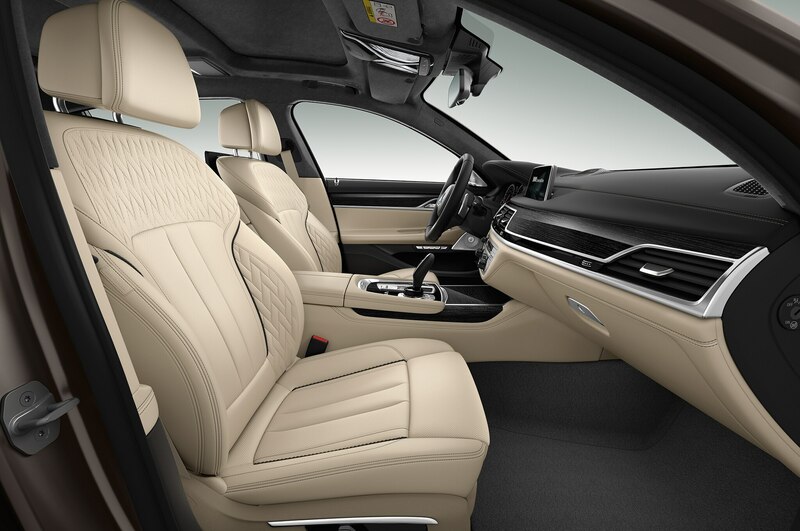 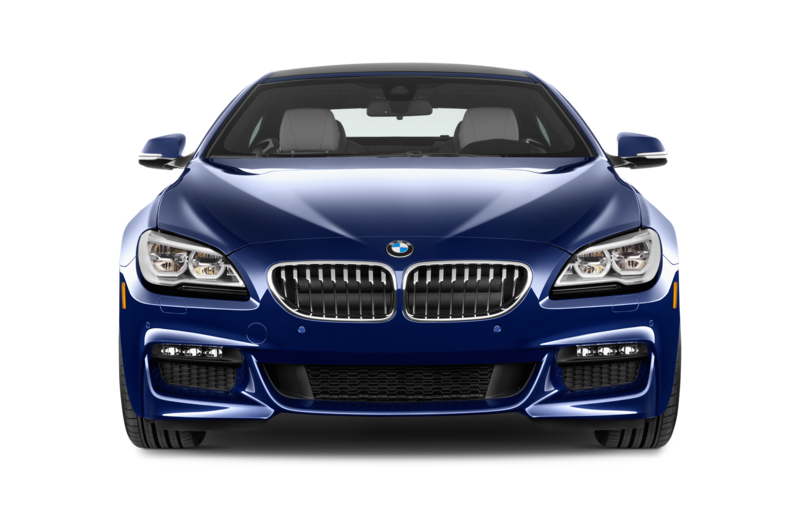 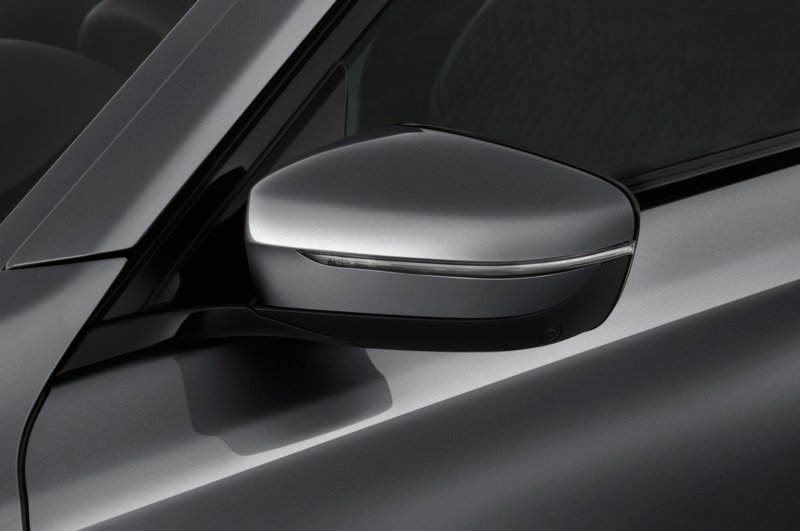 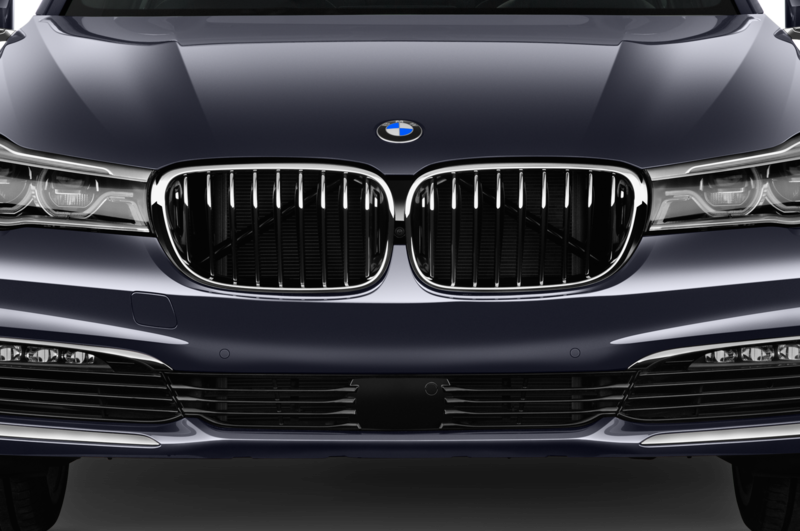 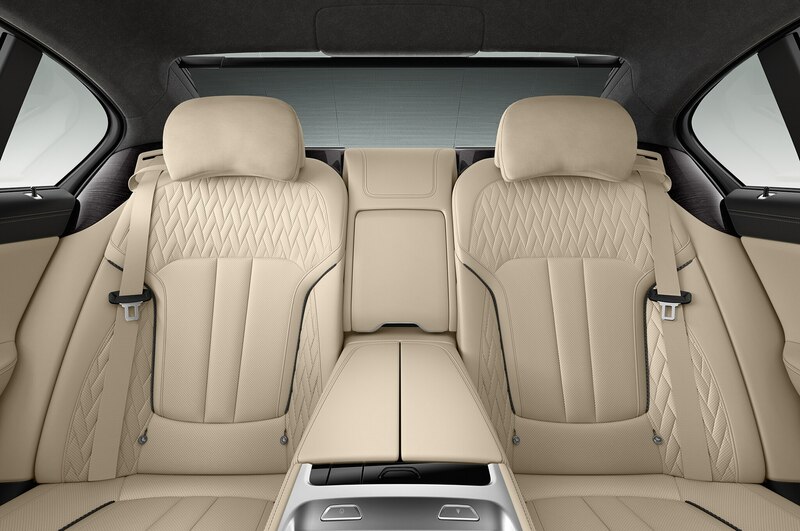 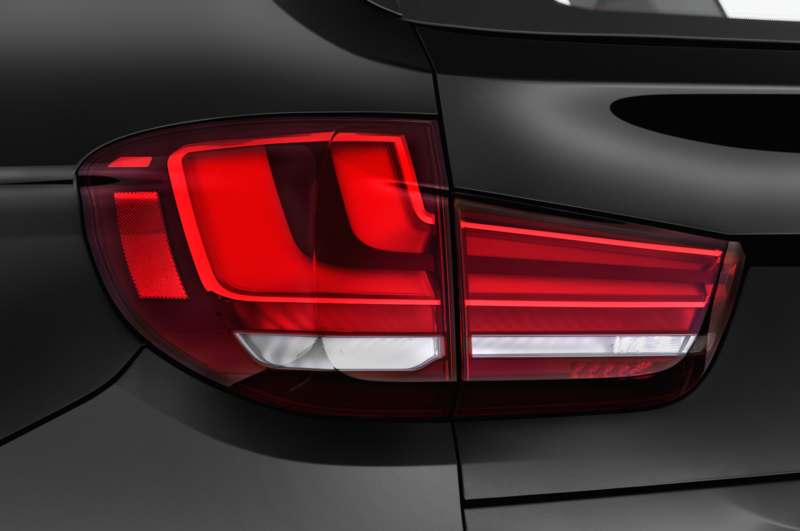 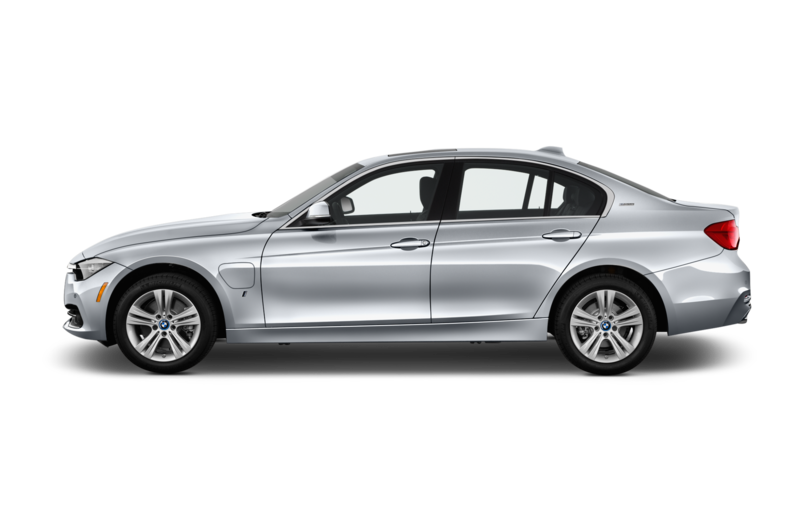 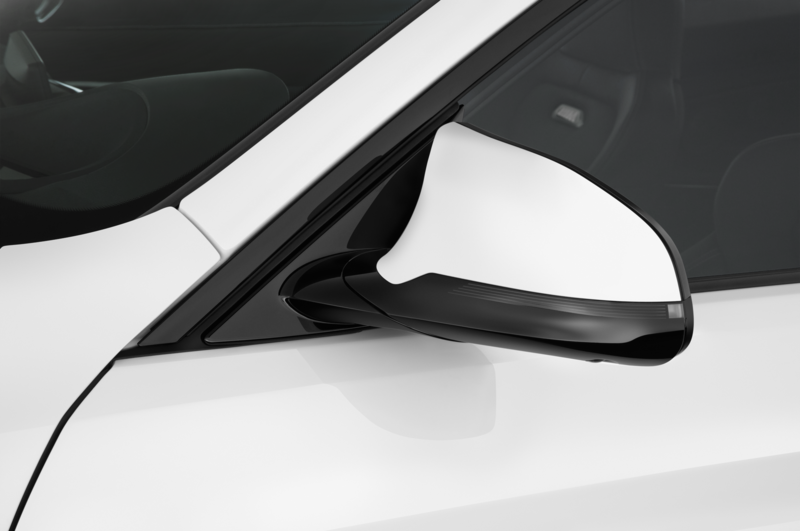 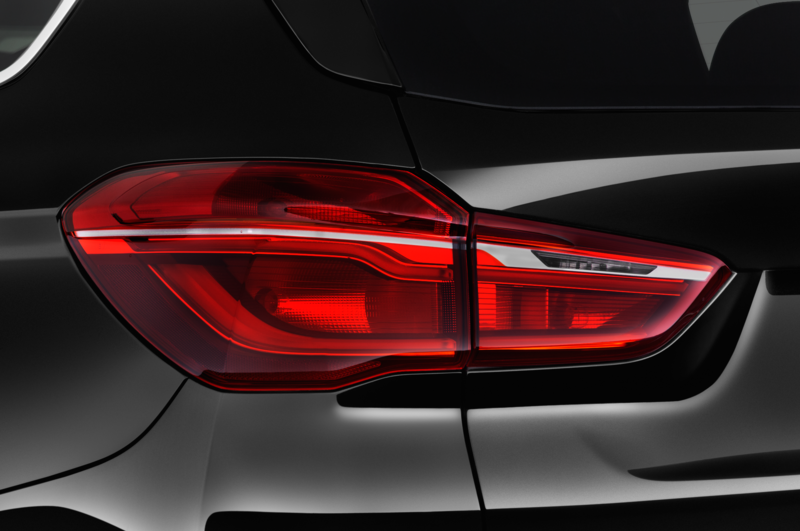 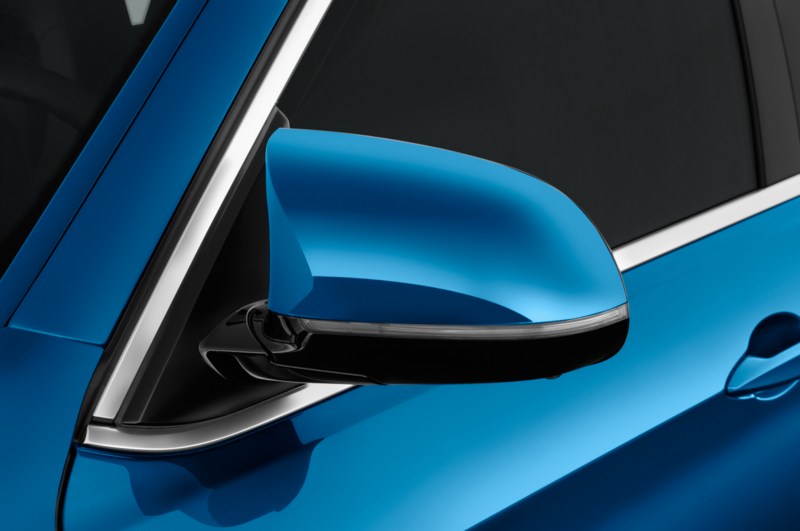 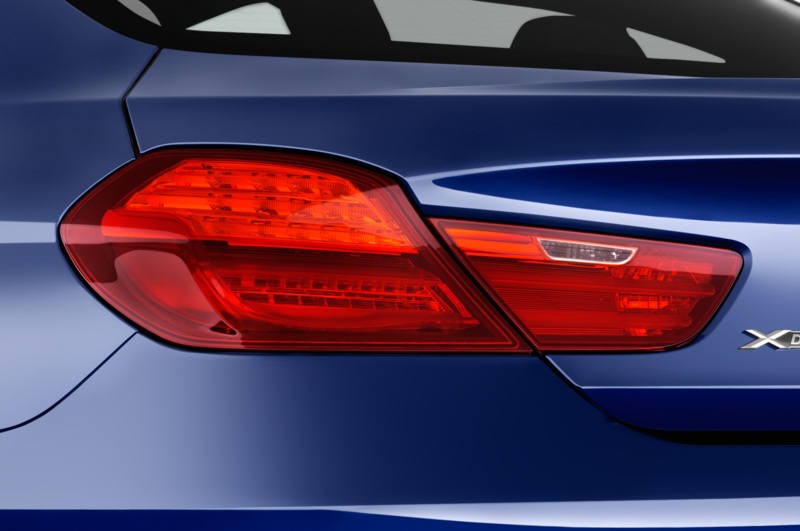 Also like the Alpina, the M760i wears a host of new body parts to telegraph its performance abilities to other drivers. 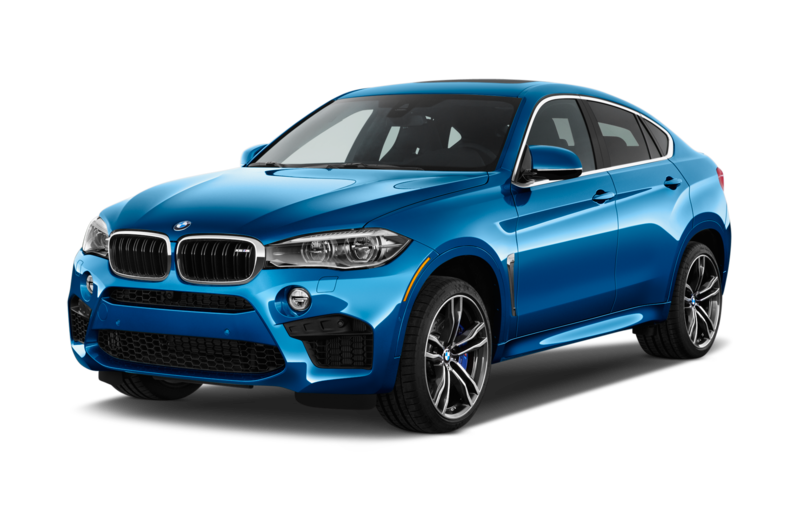 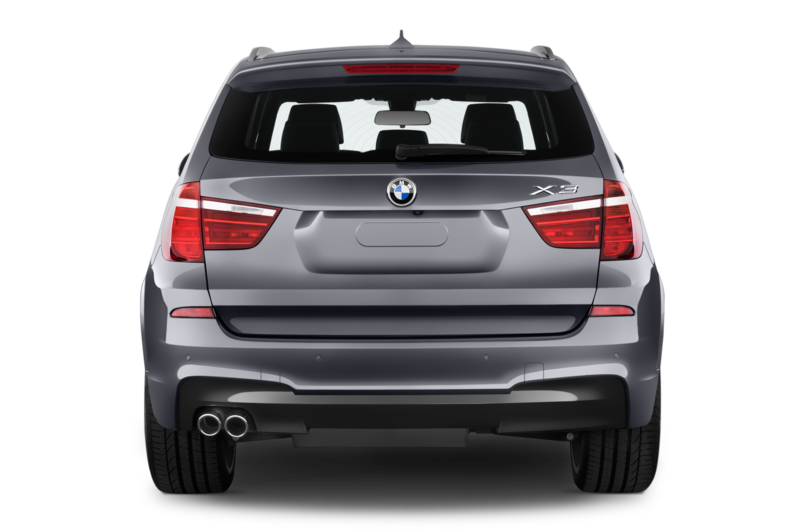 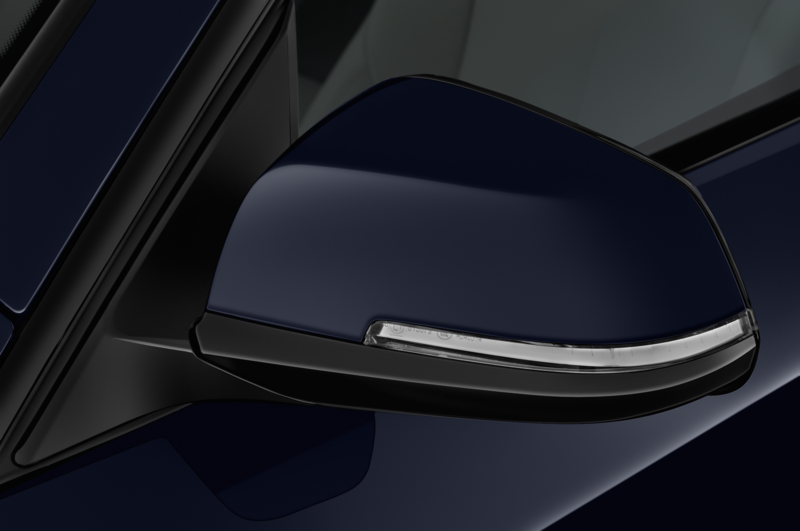 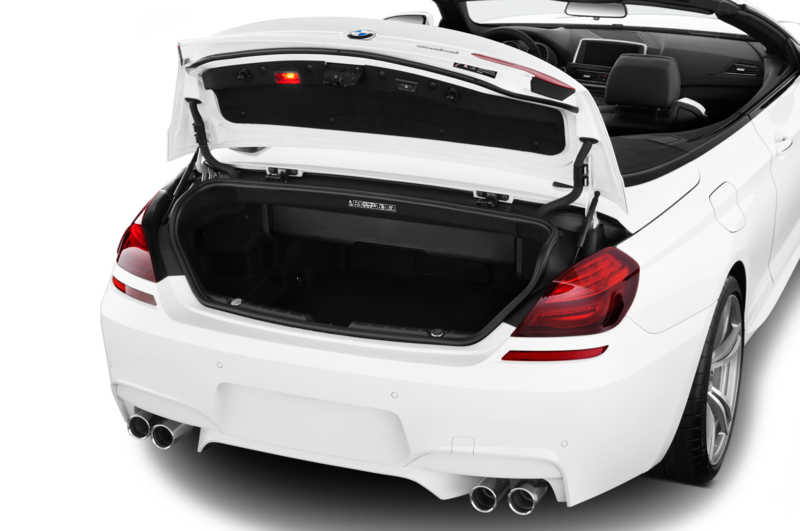 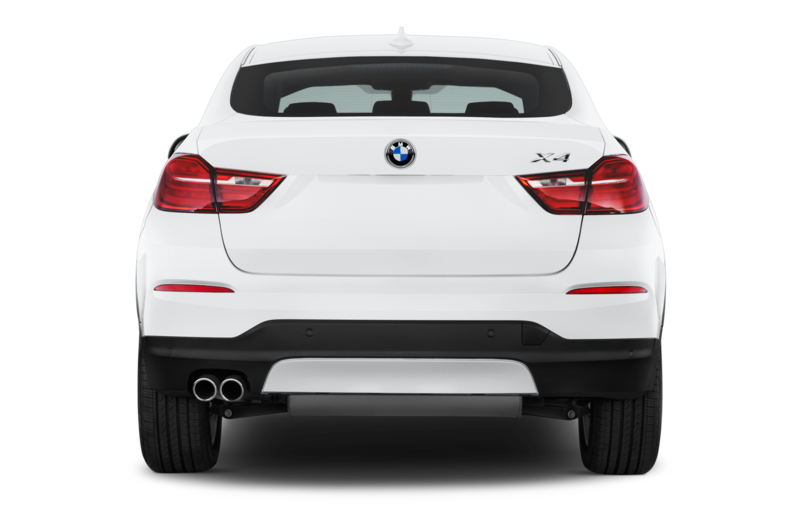 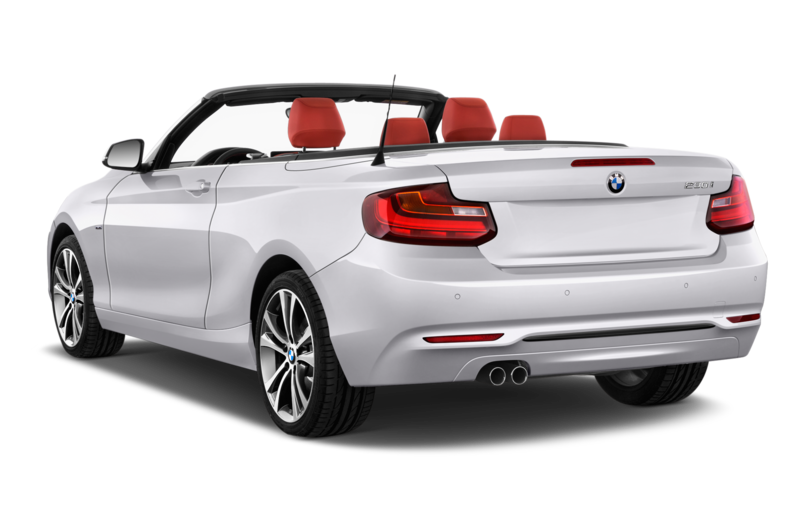 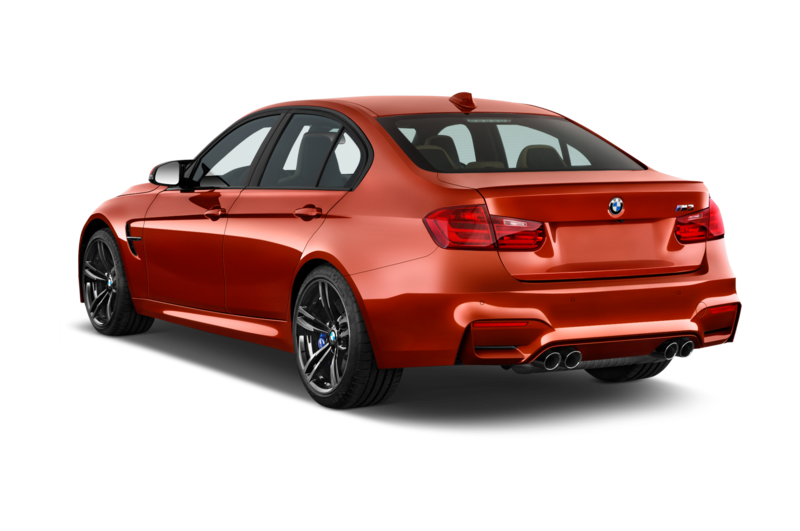 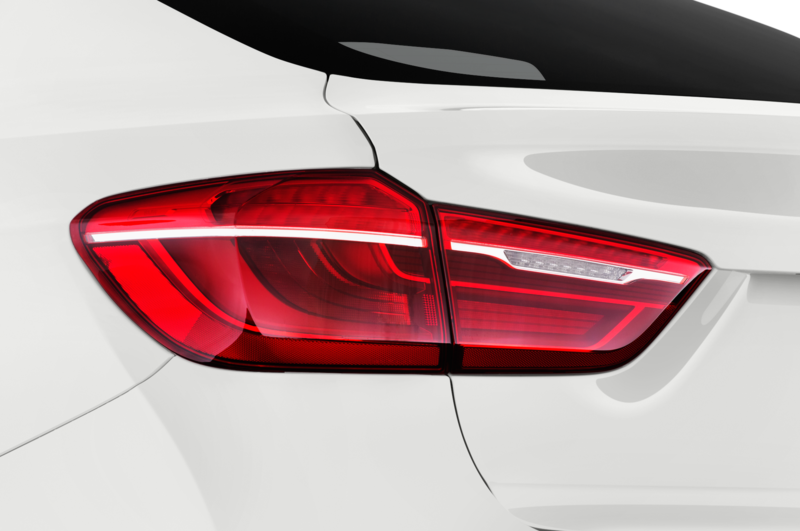 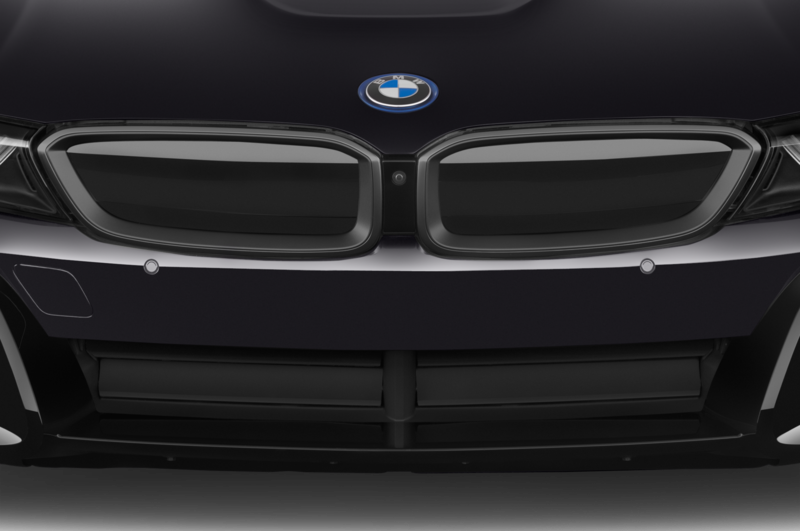 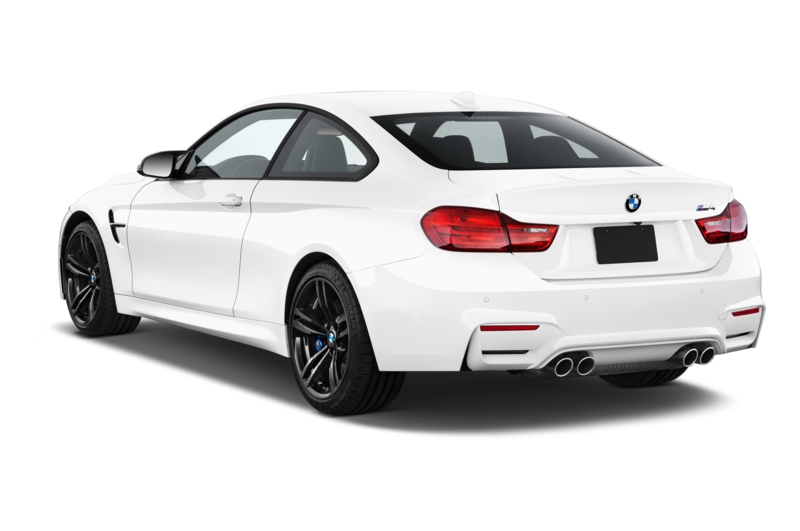 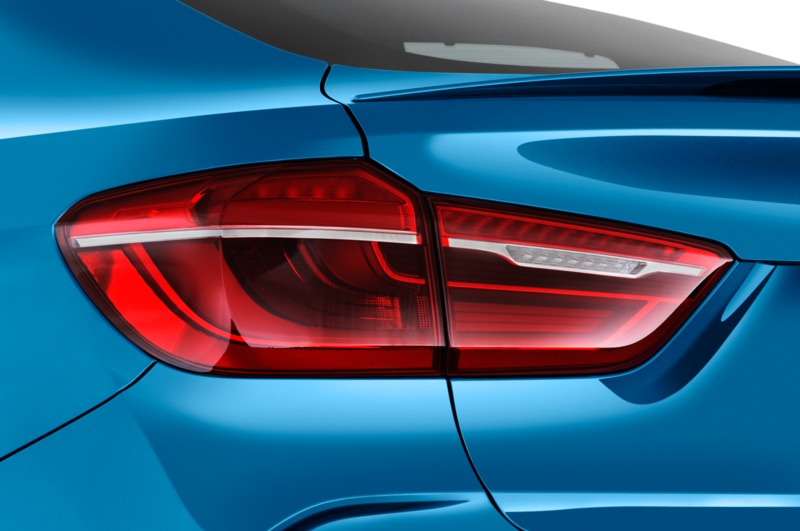 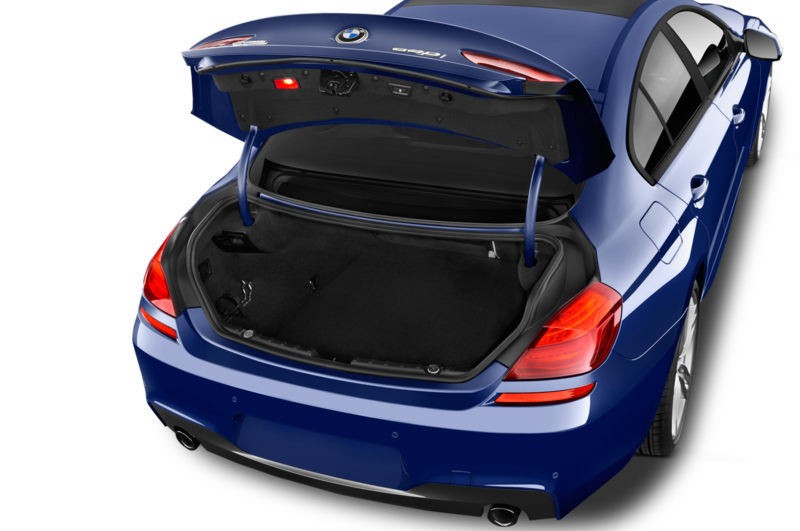 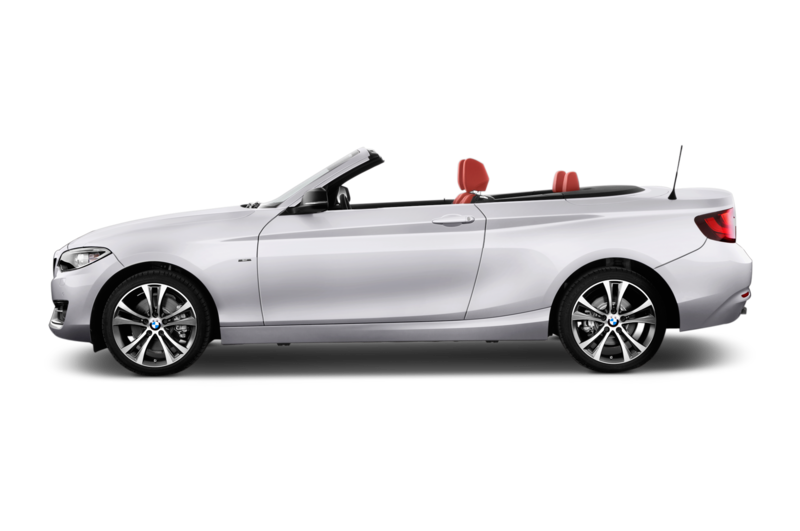 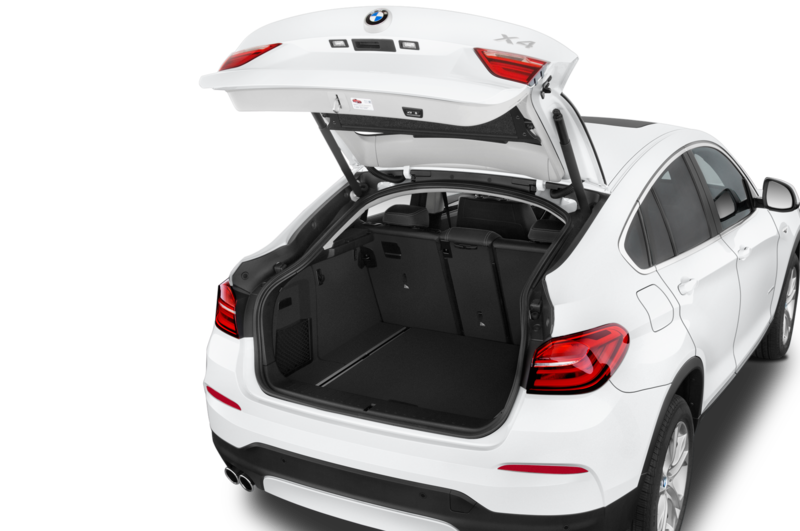 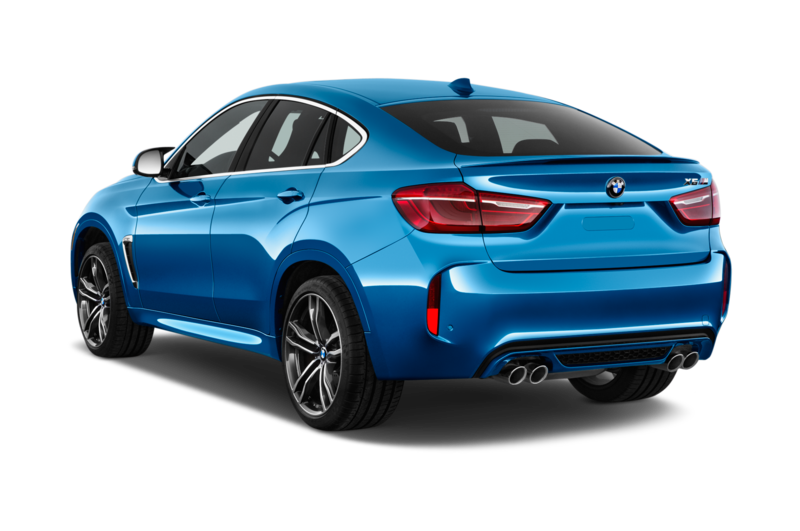 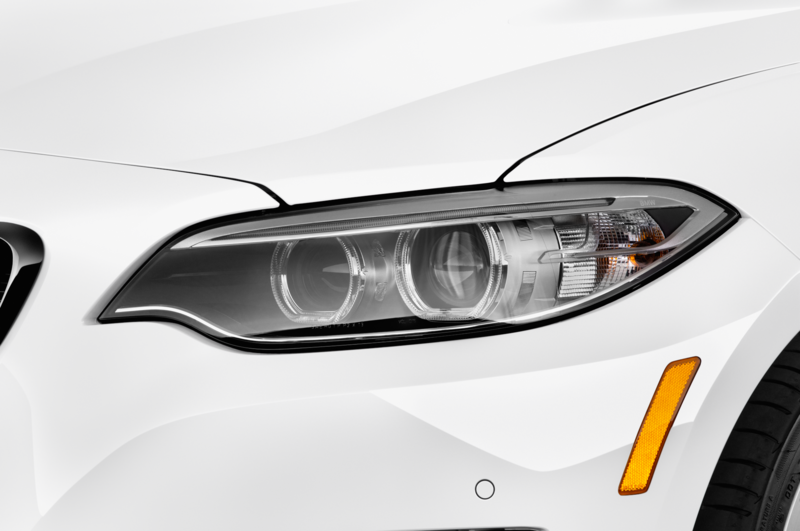 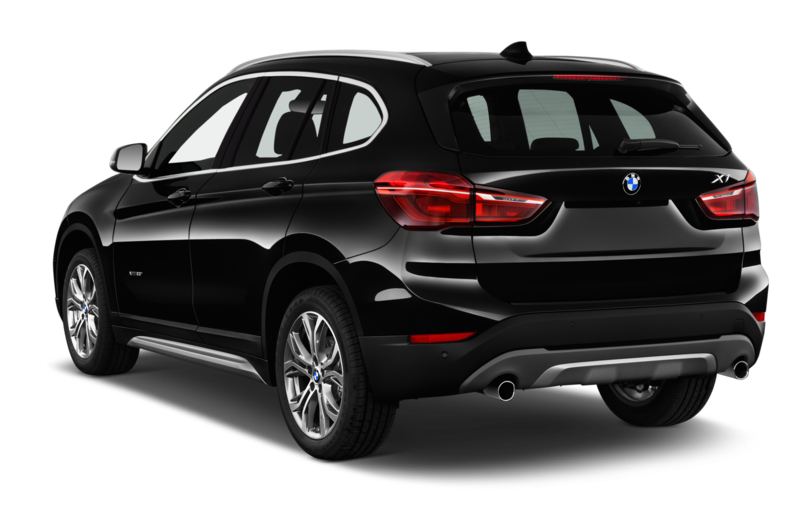 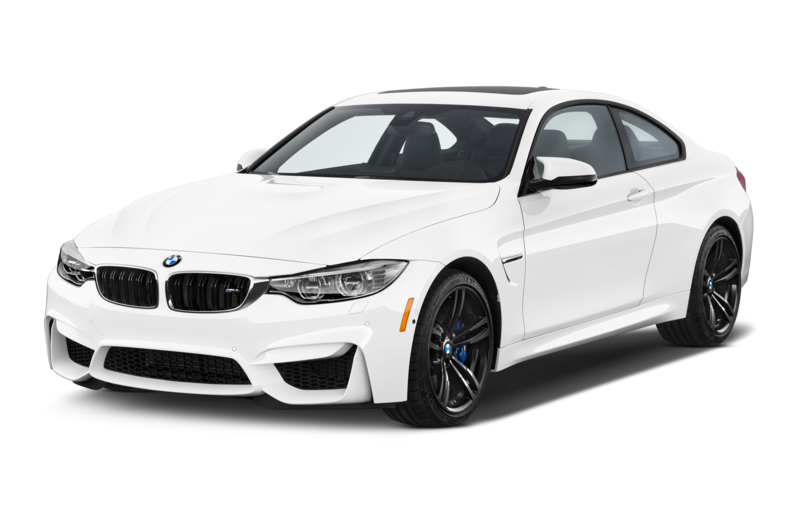 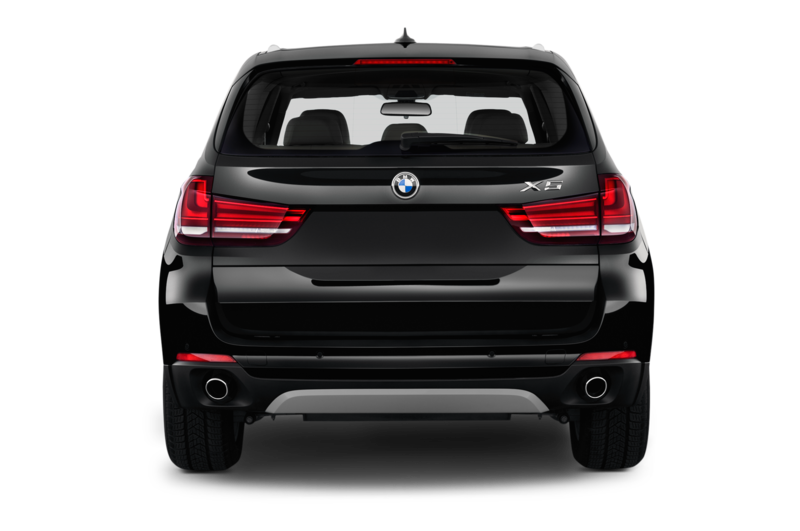 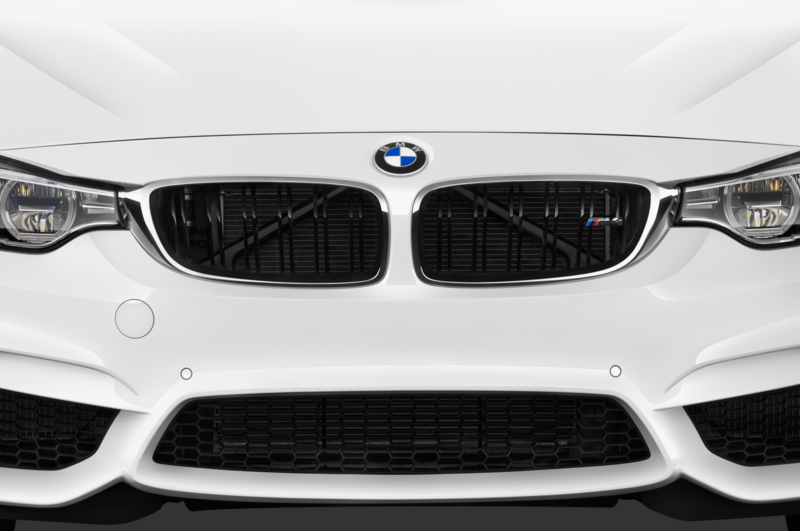 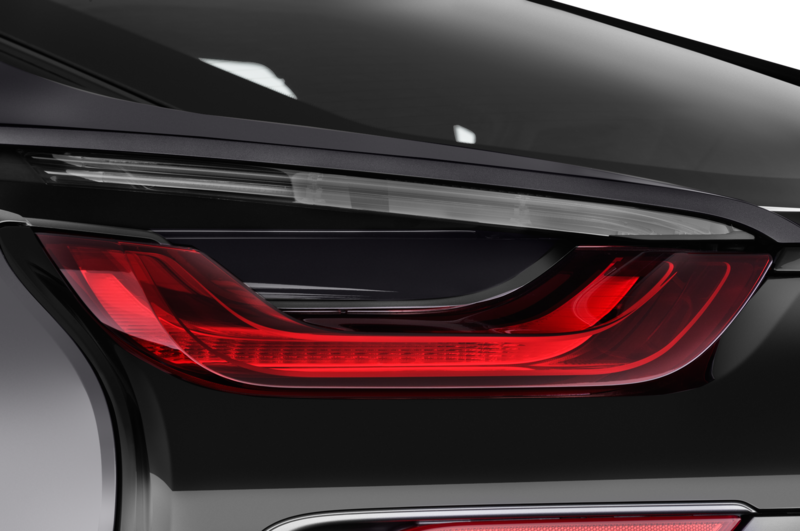 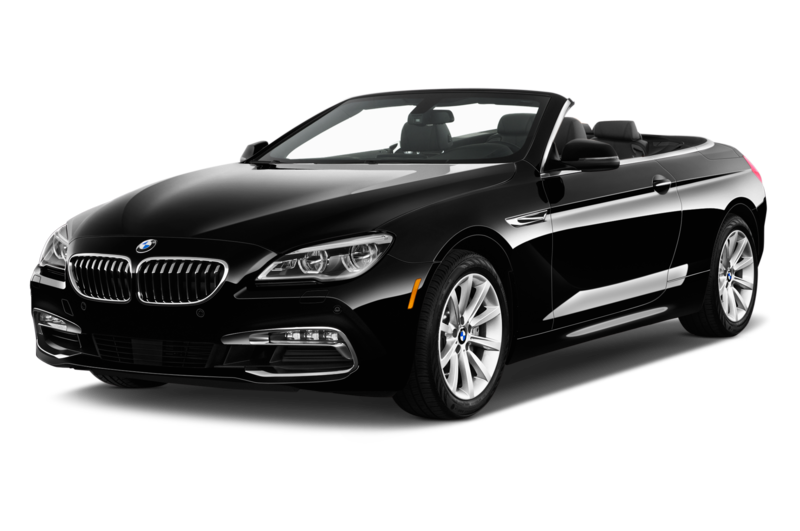 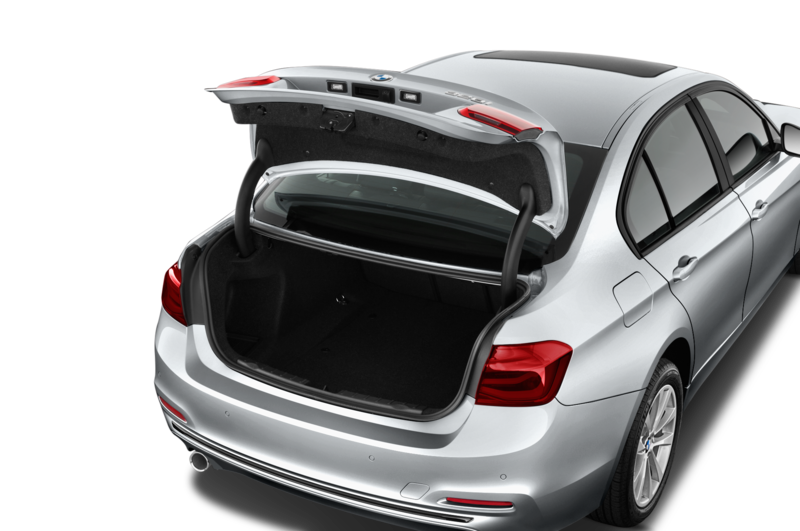 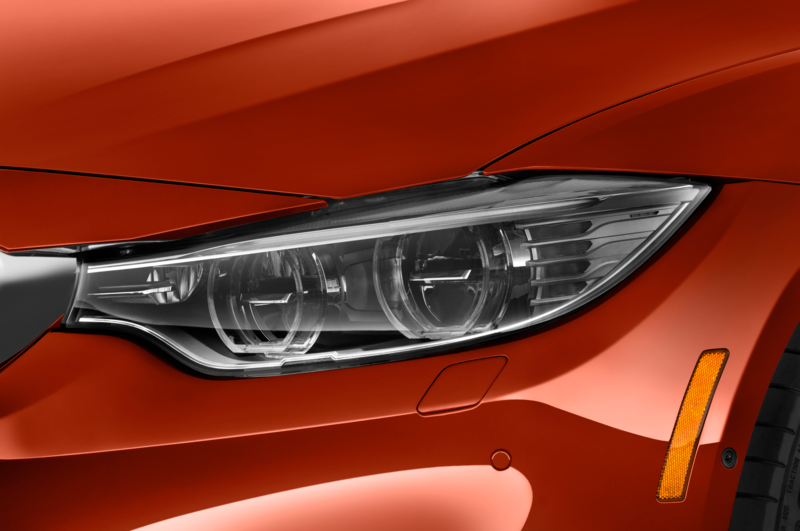 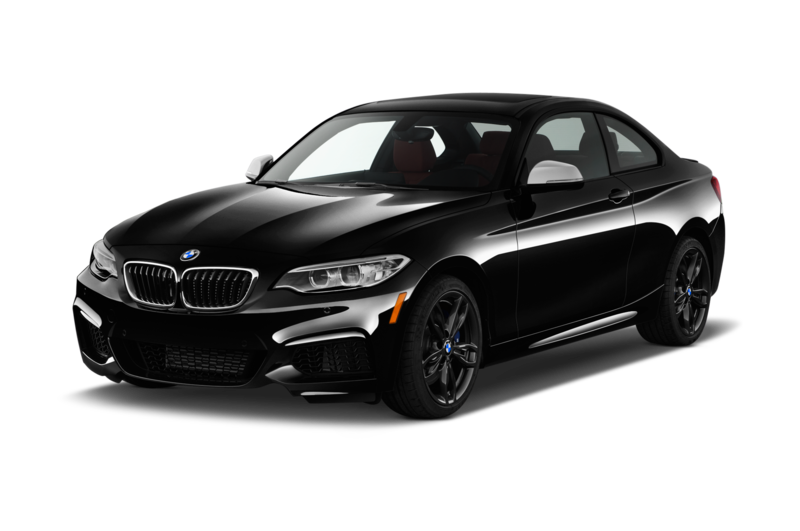 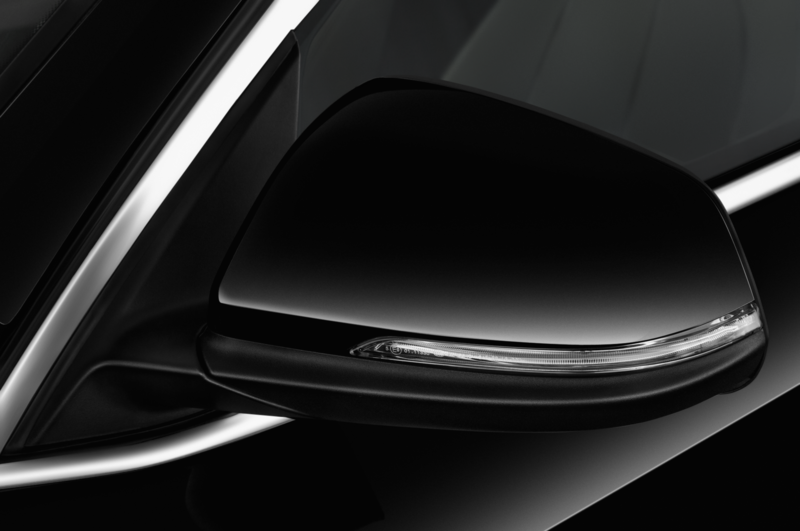 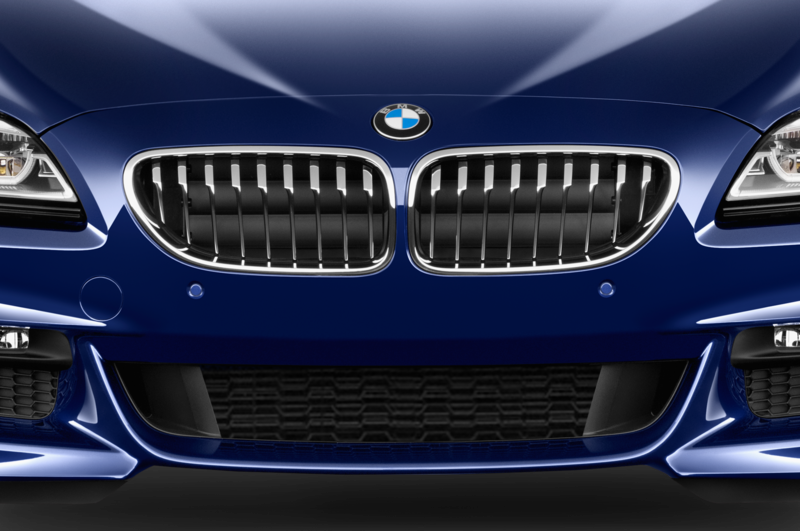 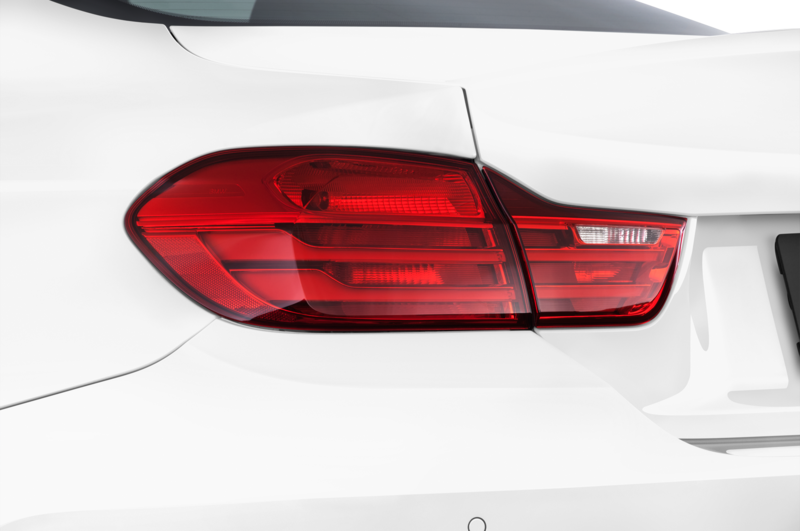 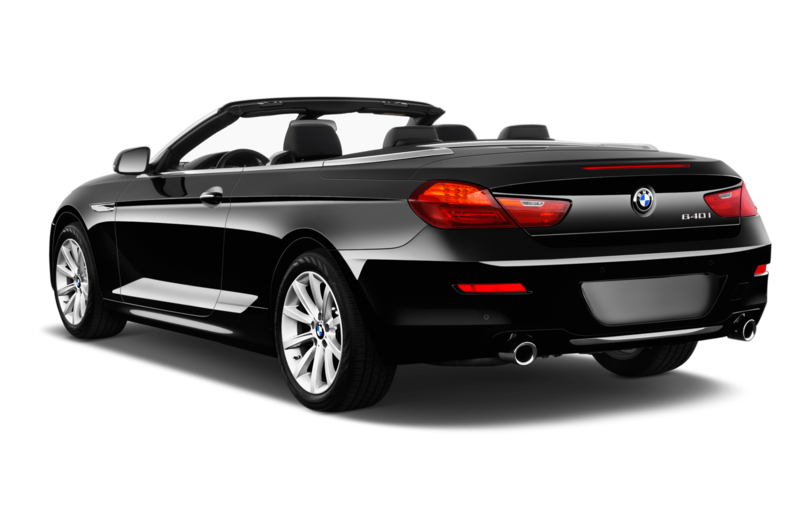 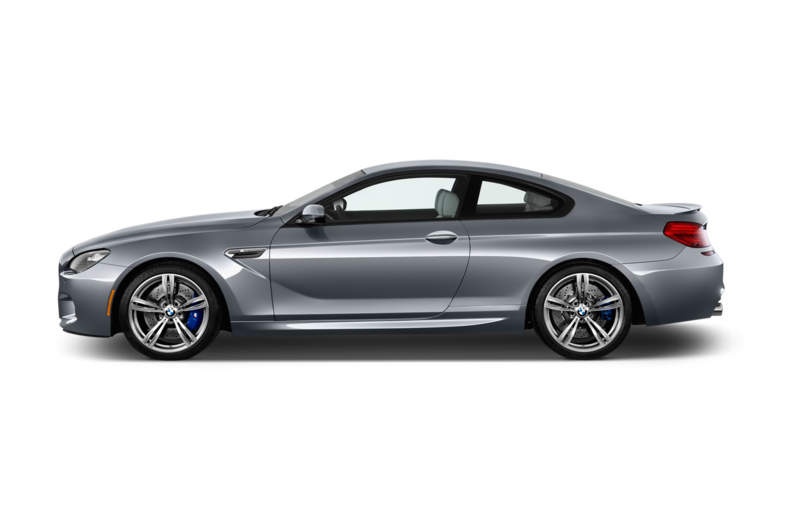 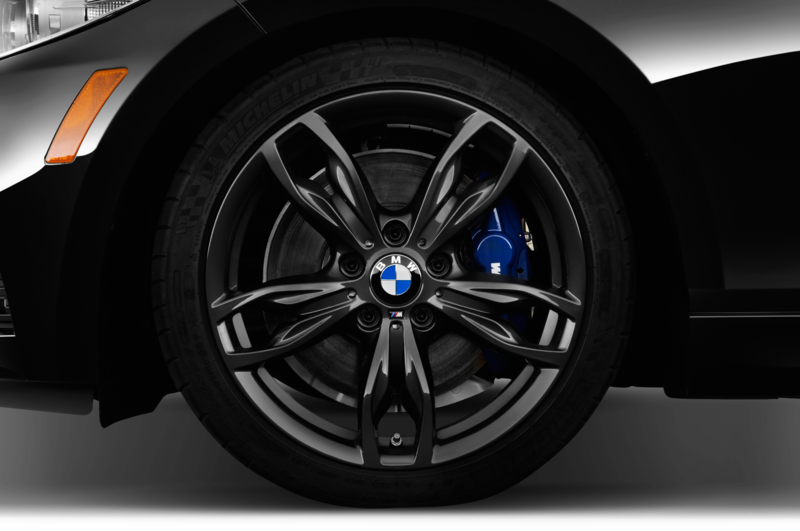 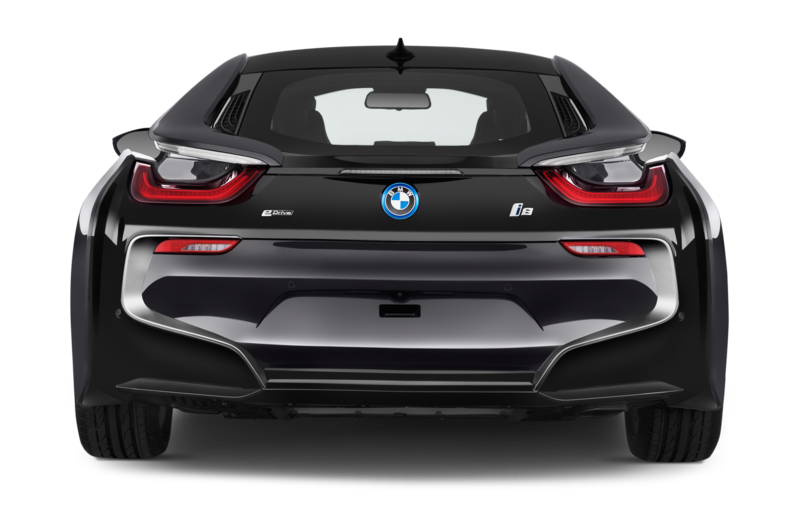 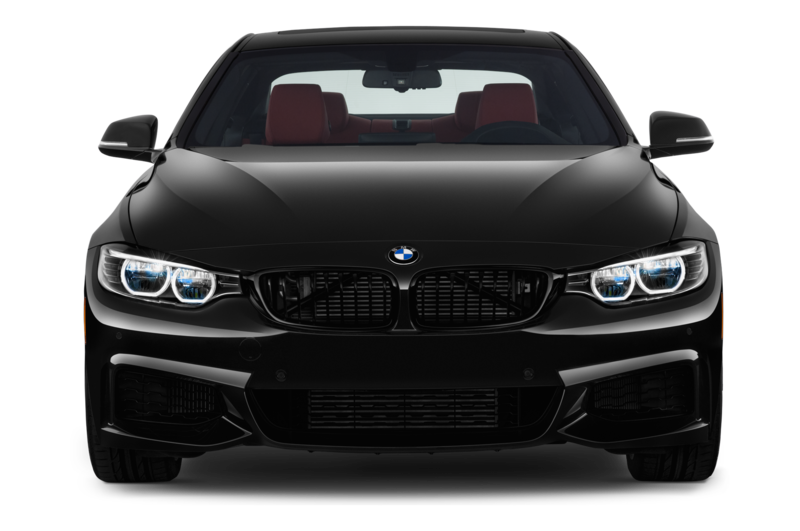 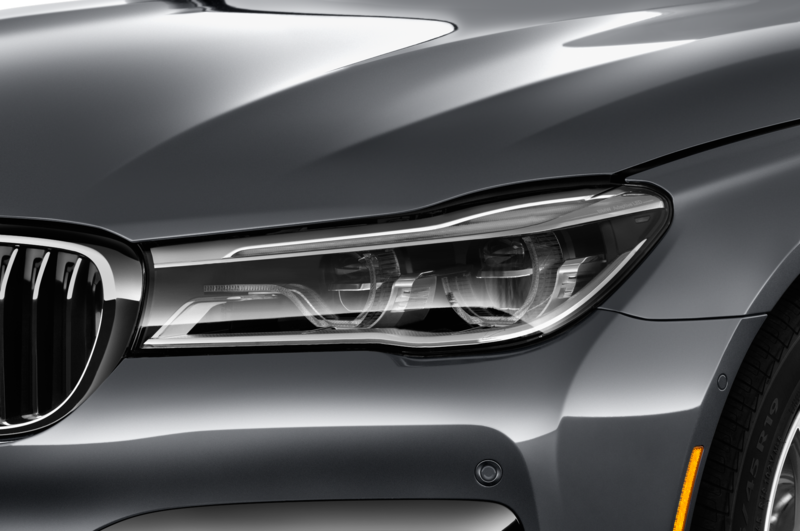 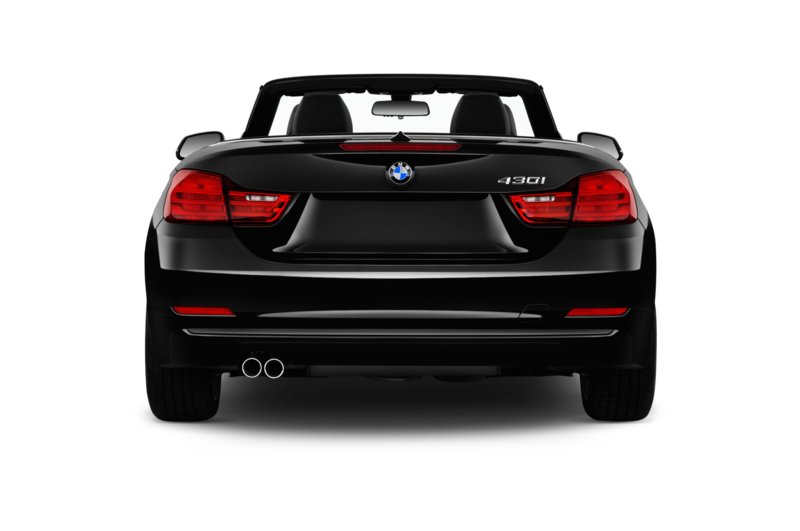 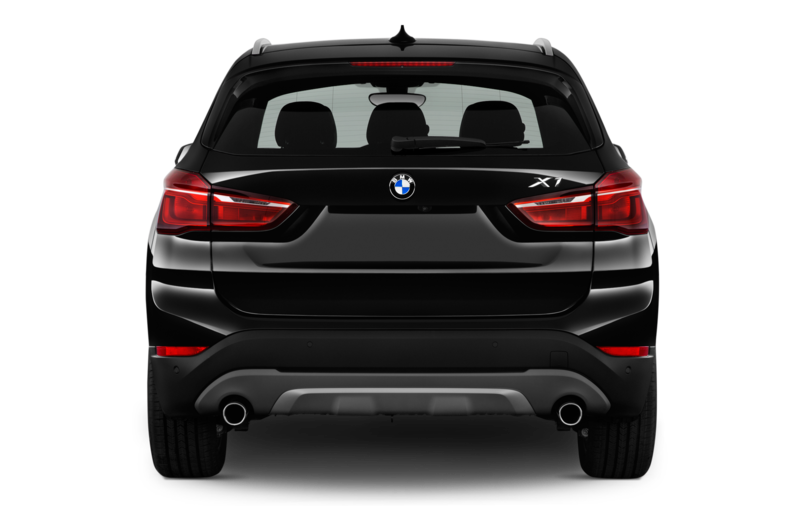 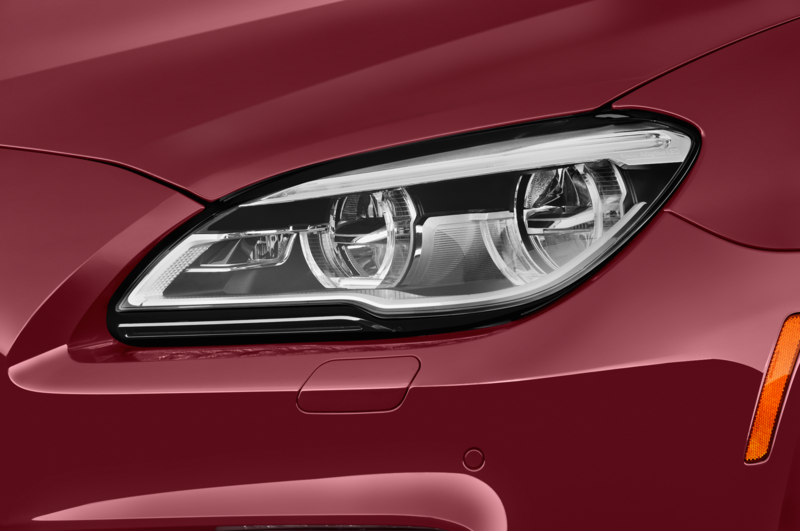 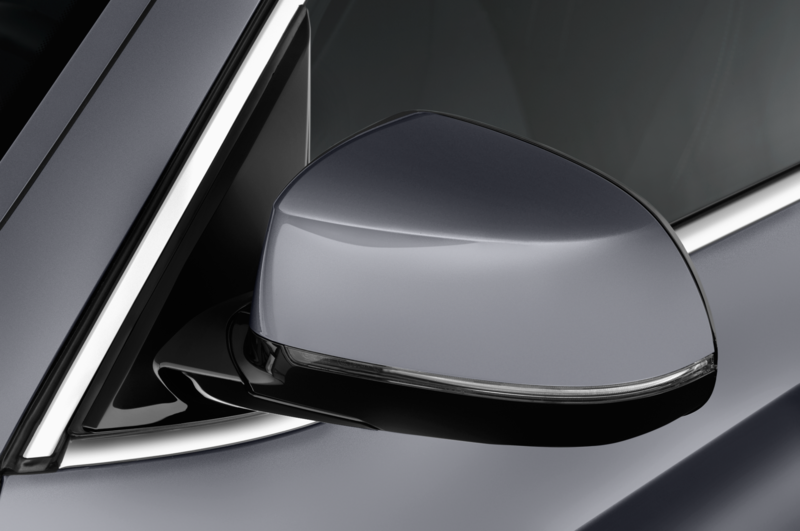 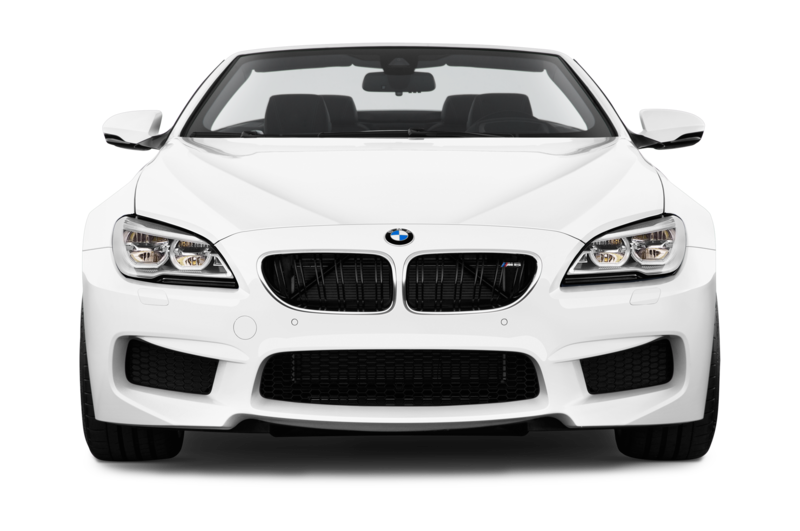 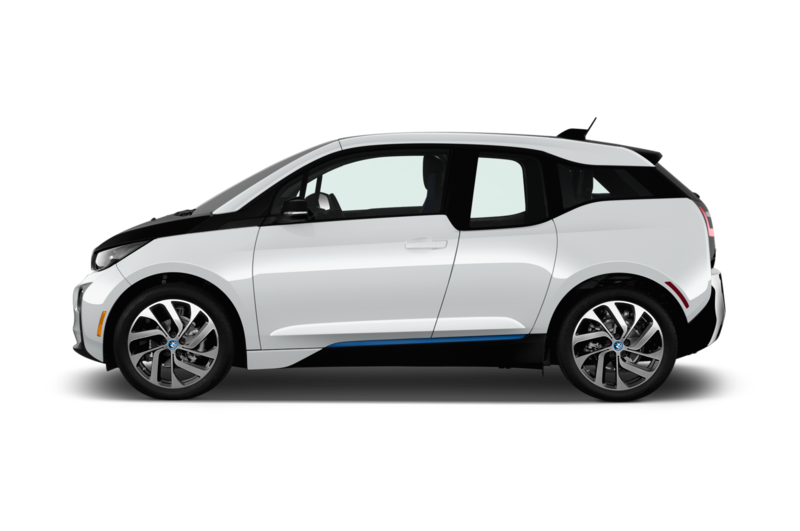 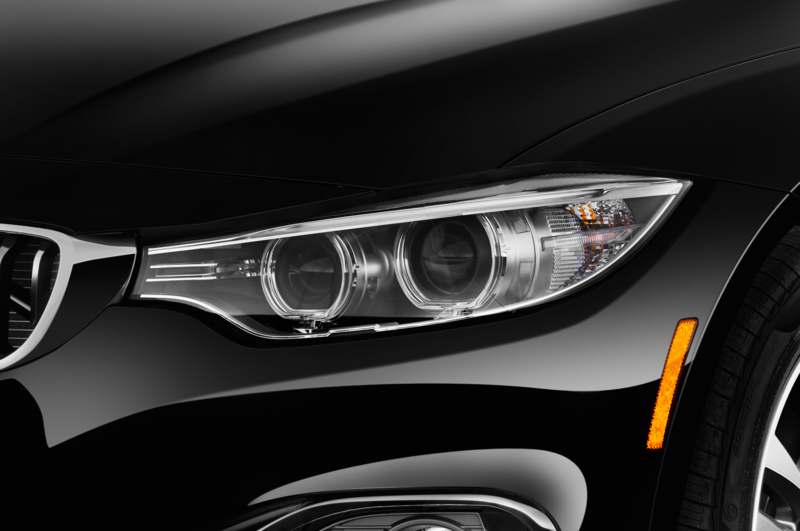 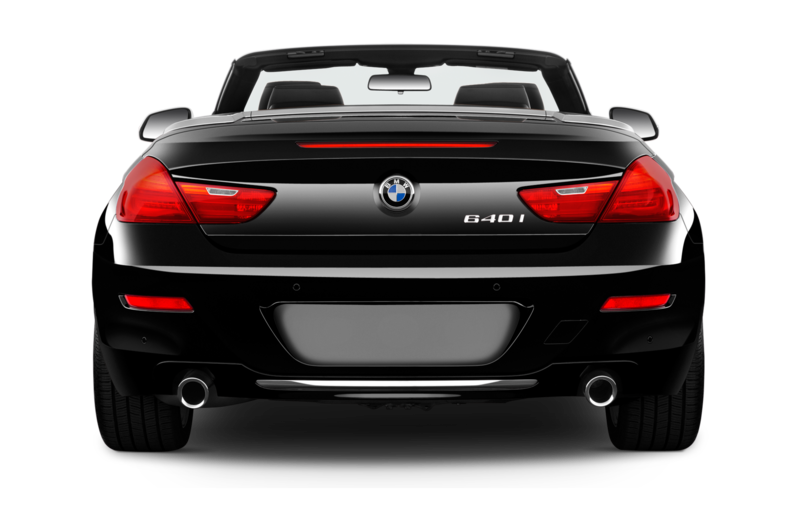 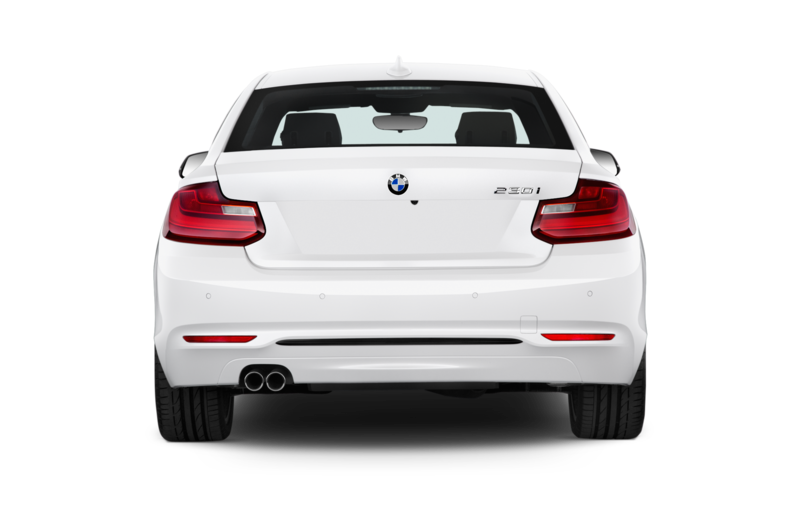 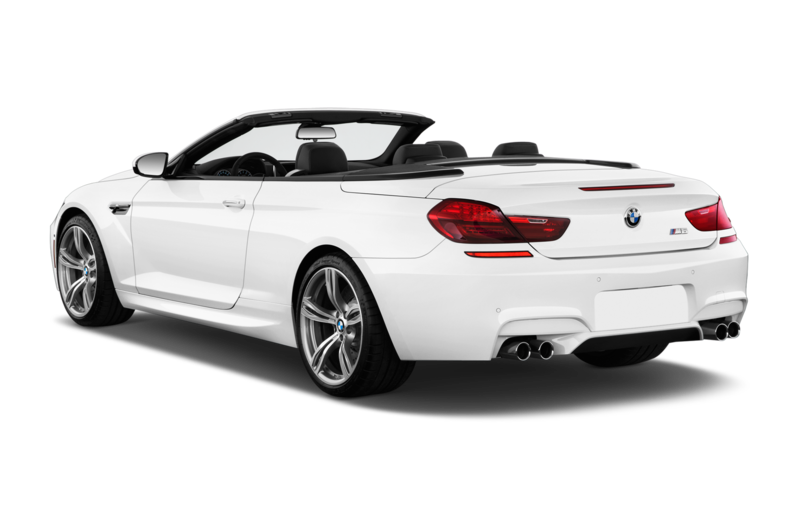 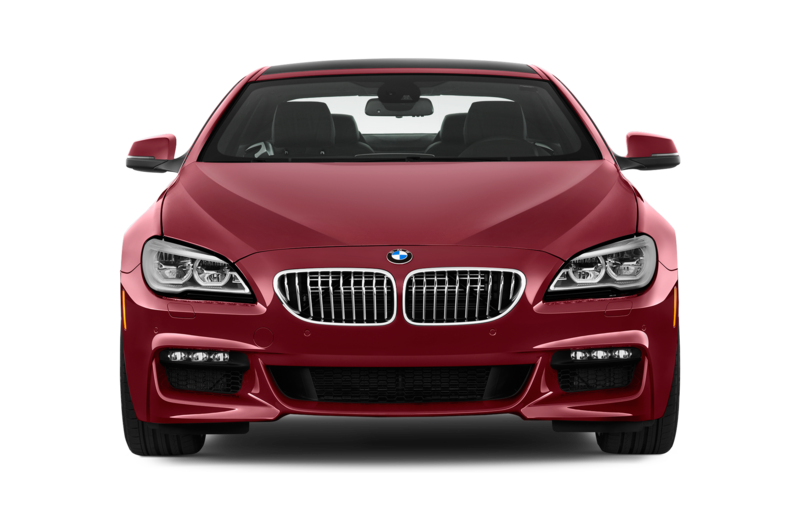 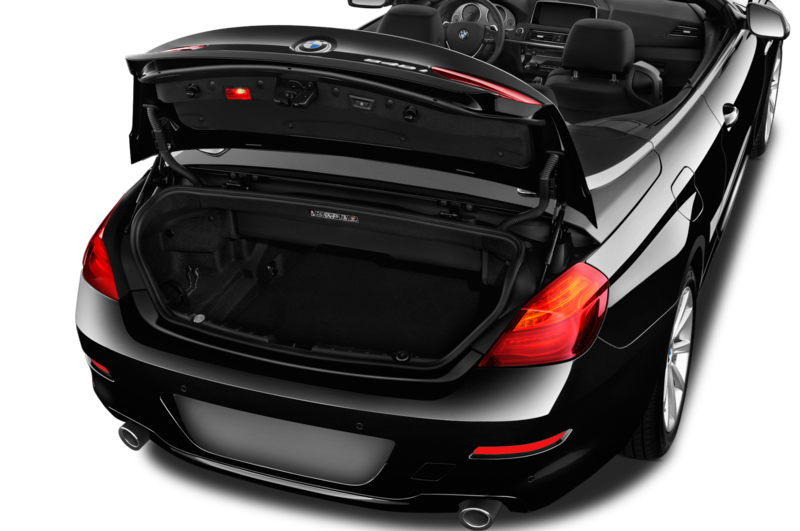 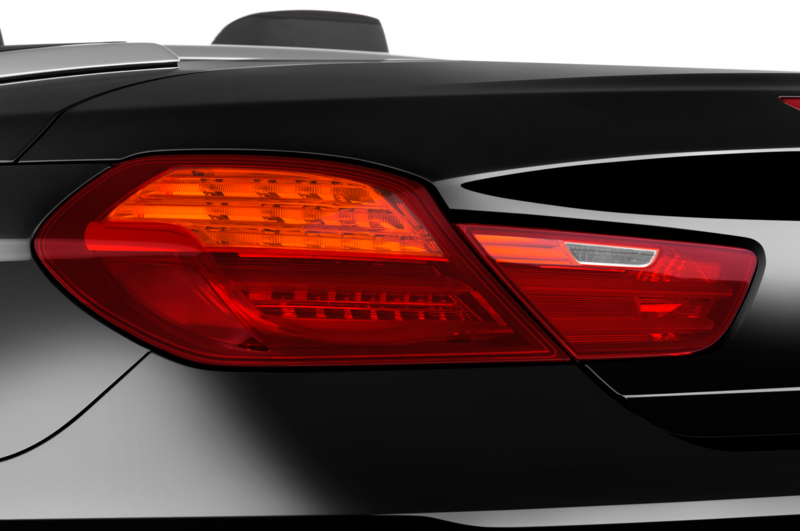 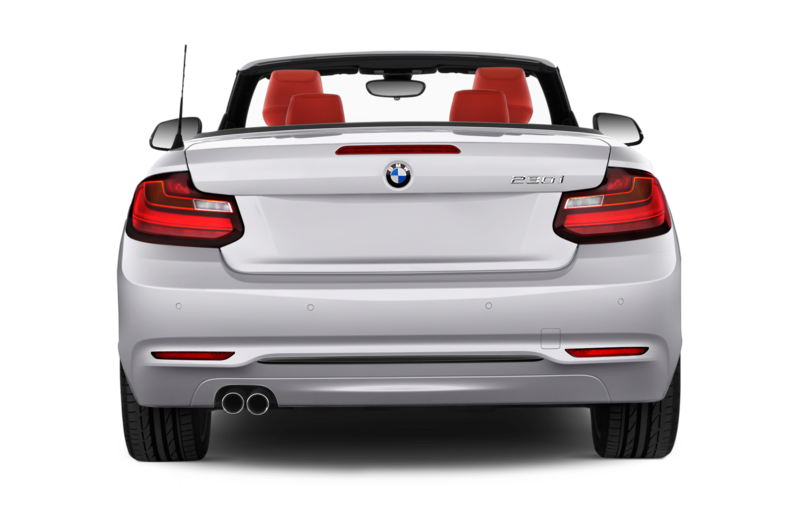 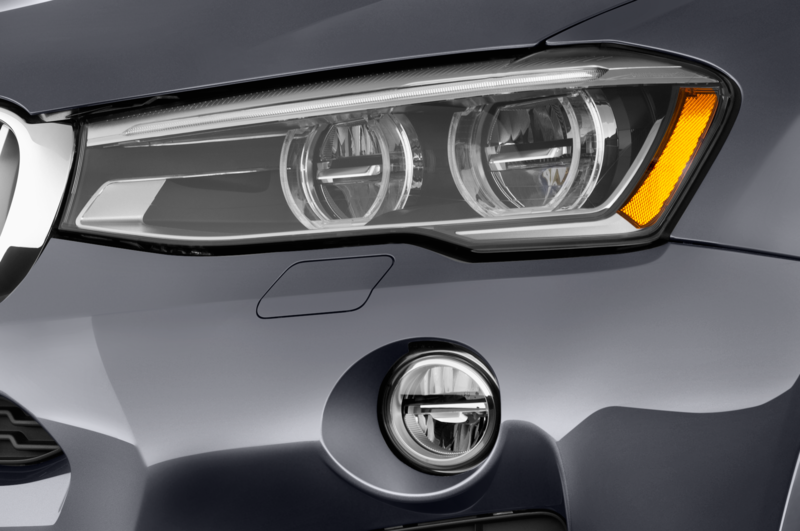 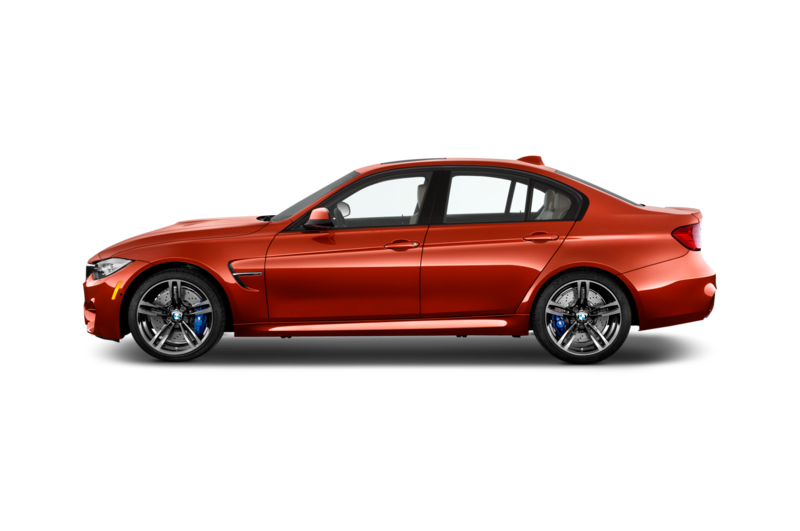 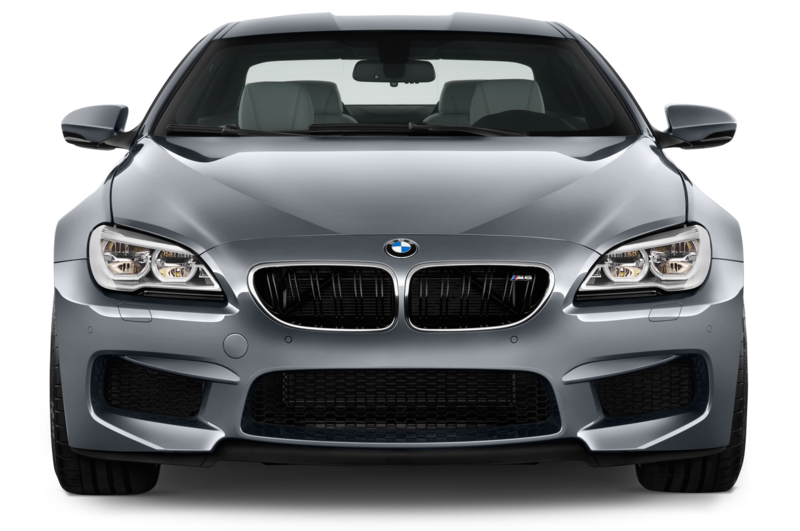 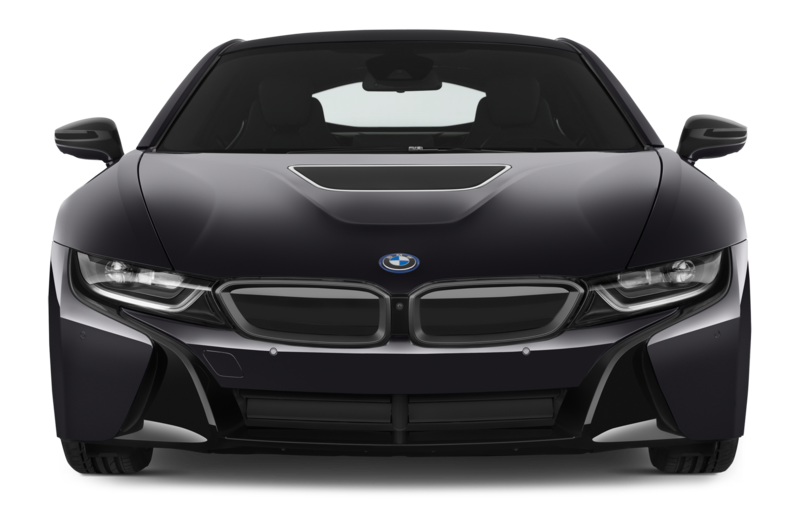 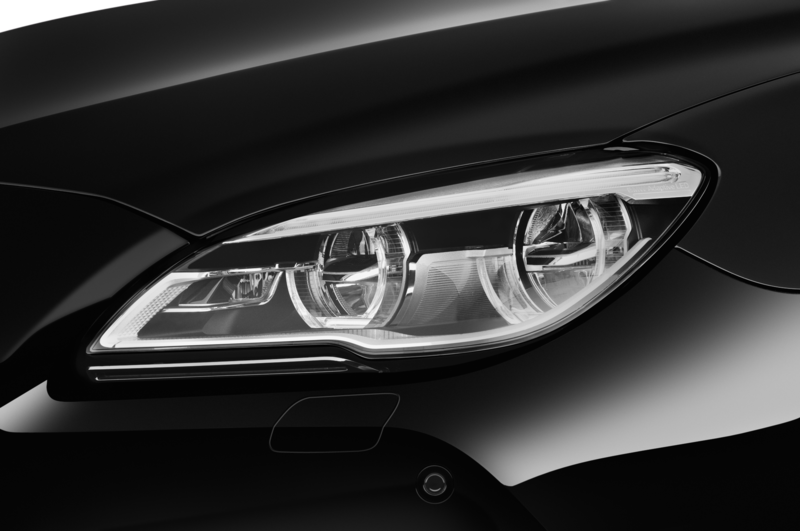 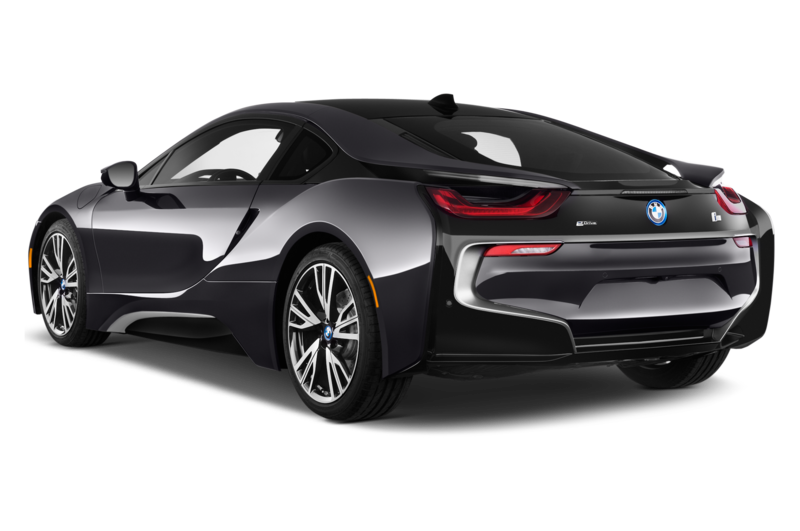 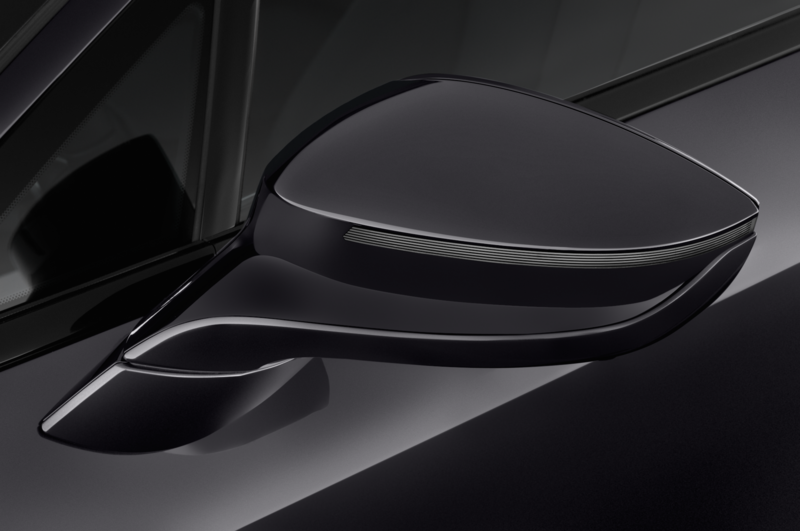 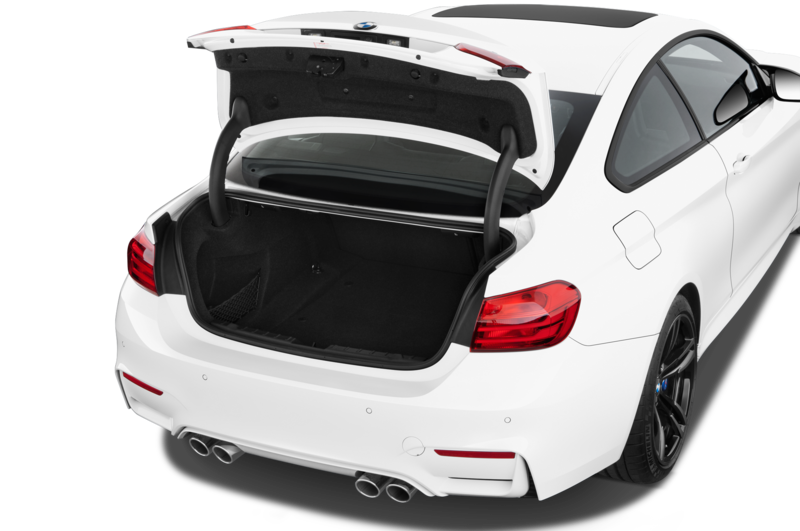 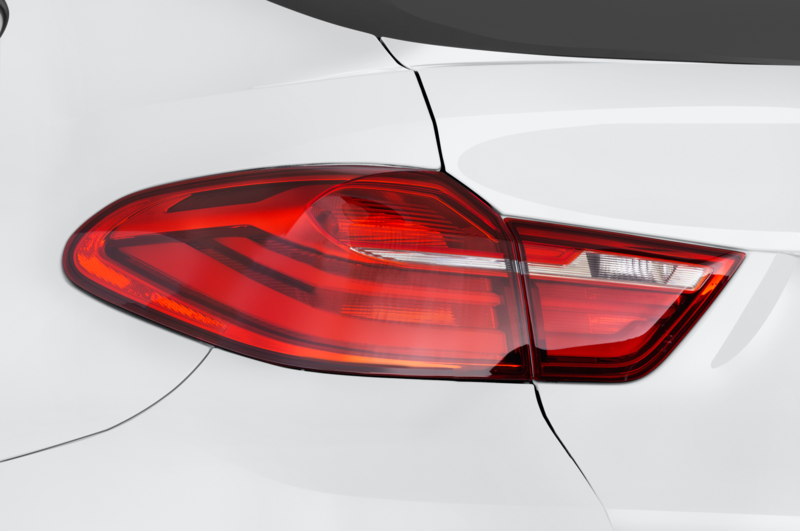 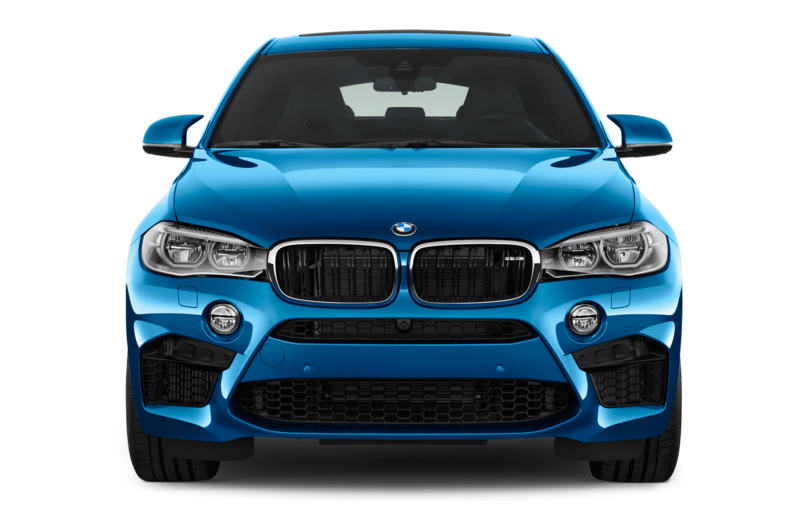 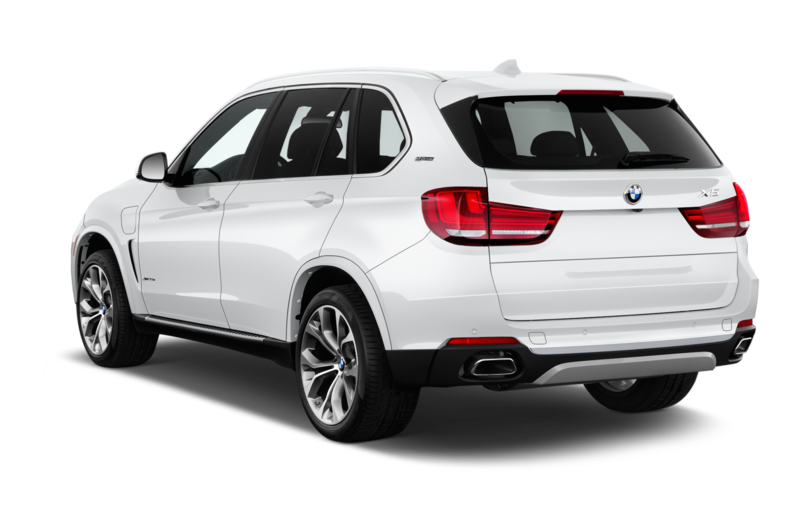 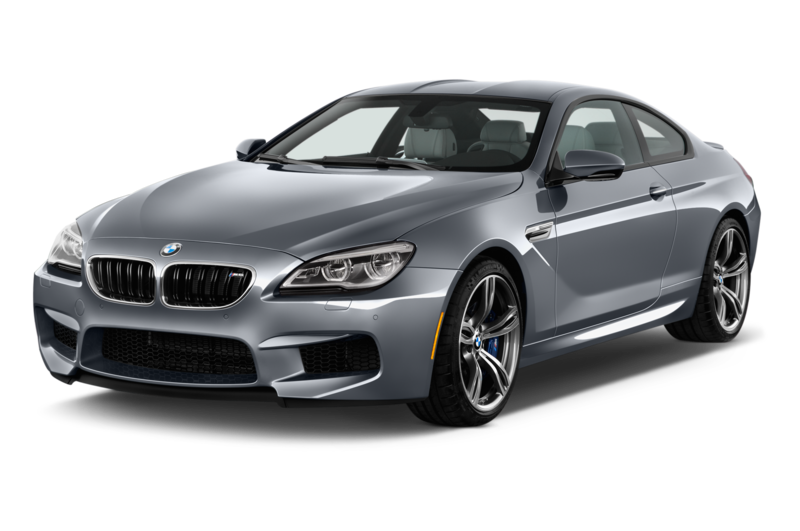 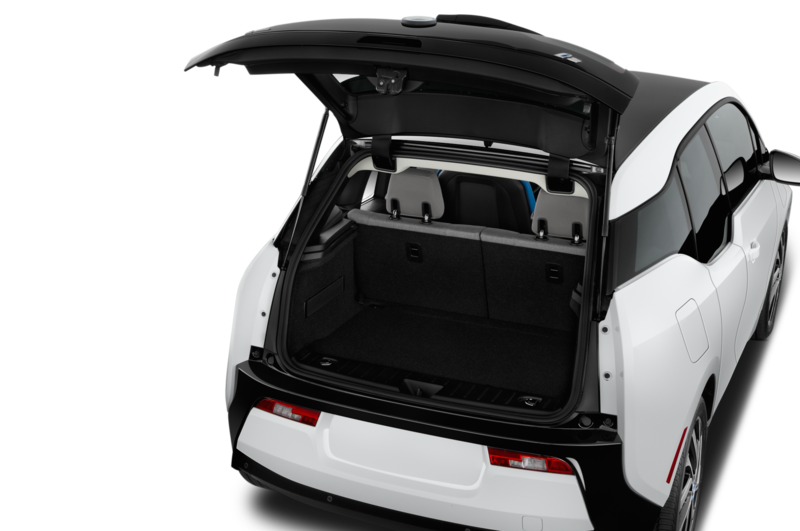 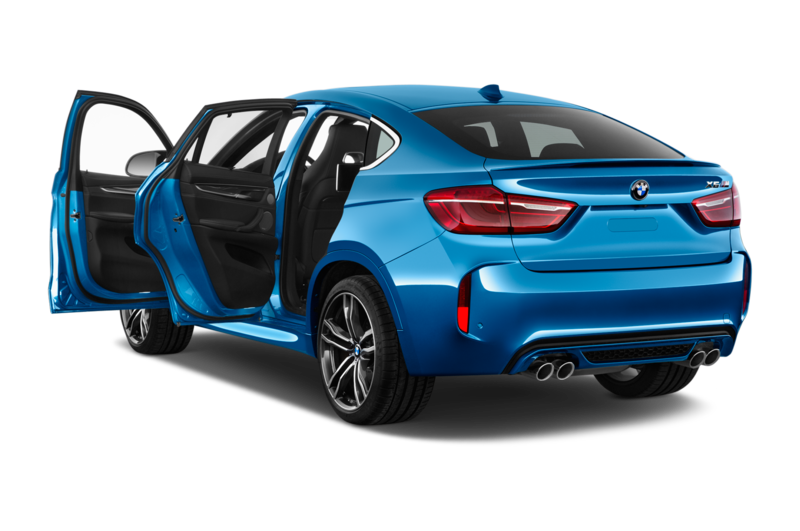 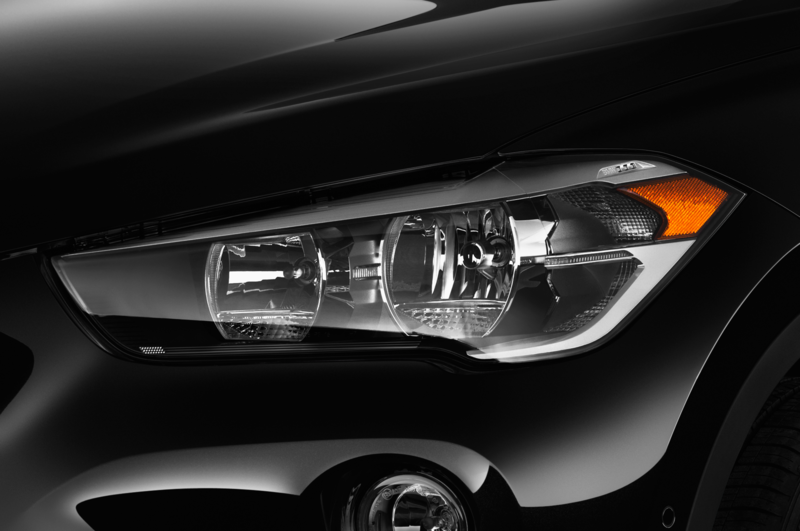 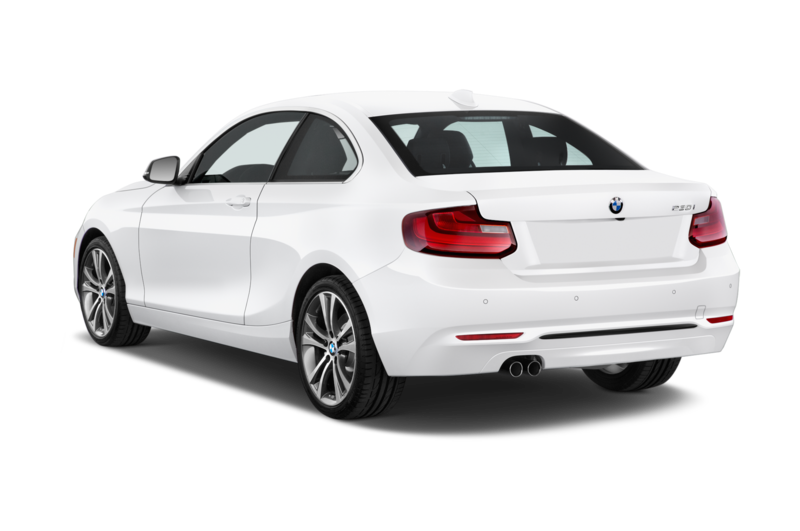 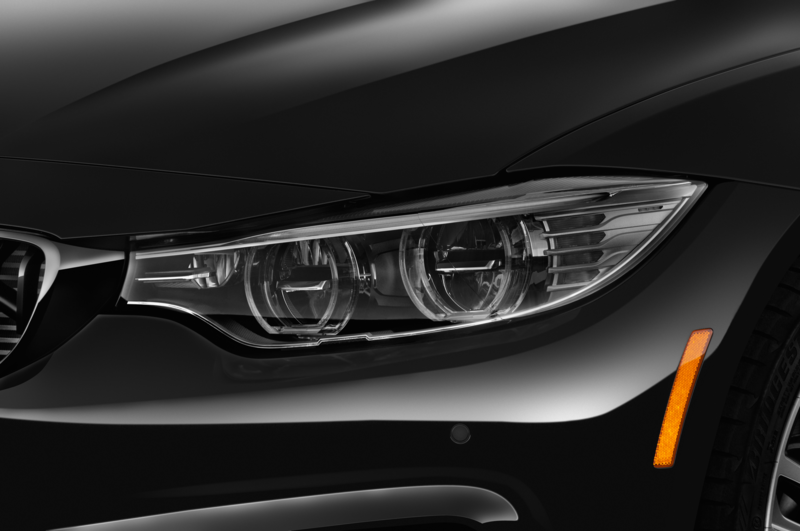 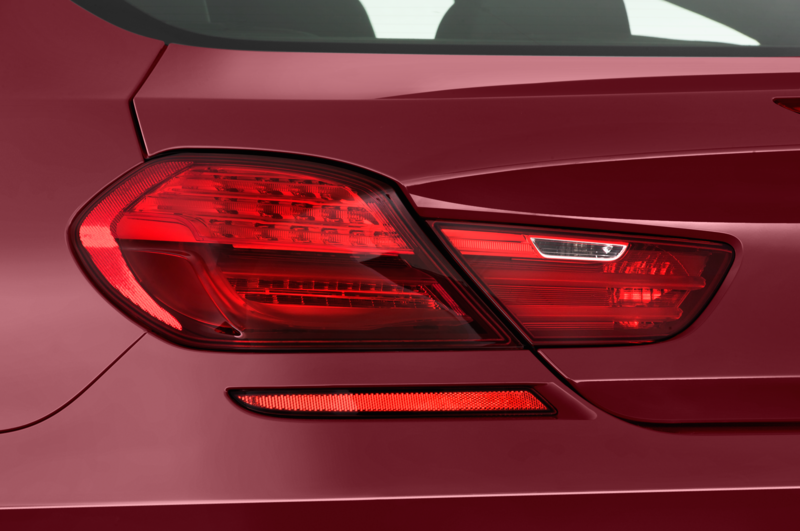 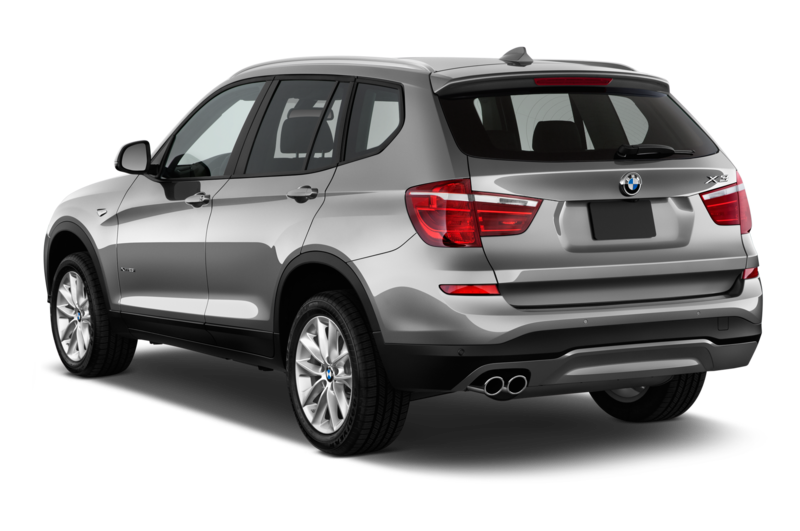 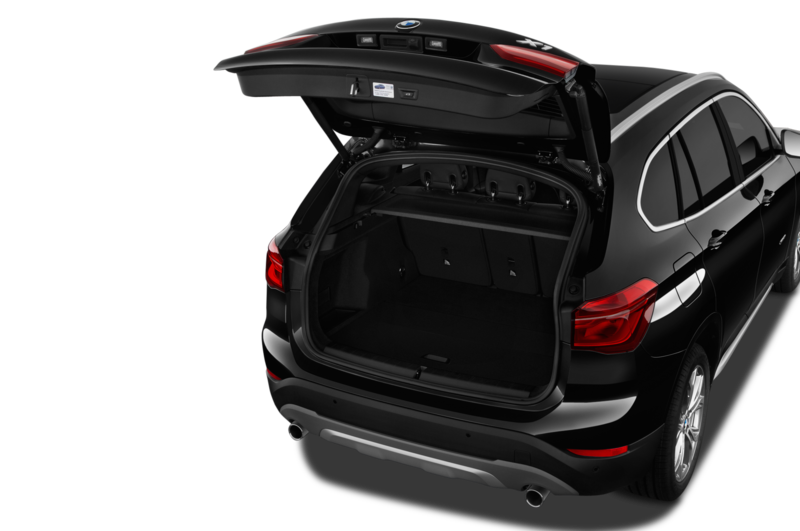 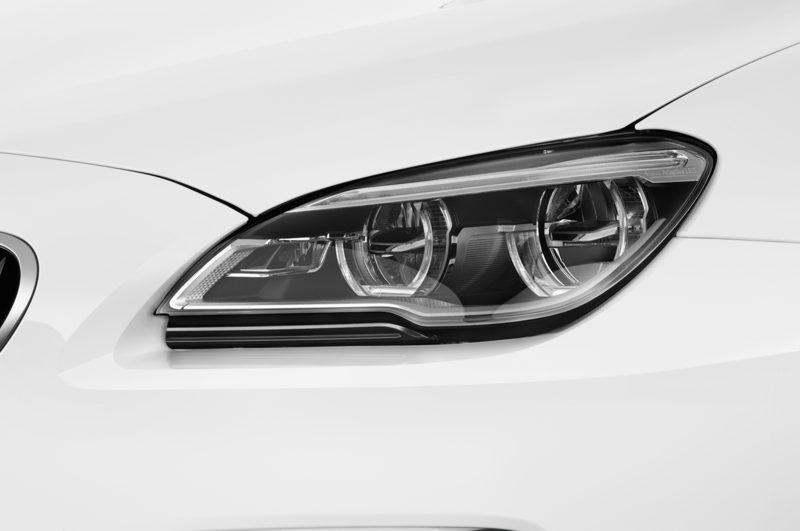 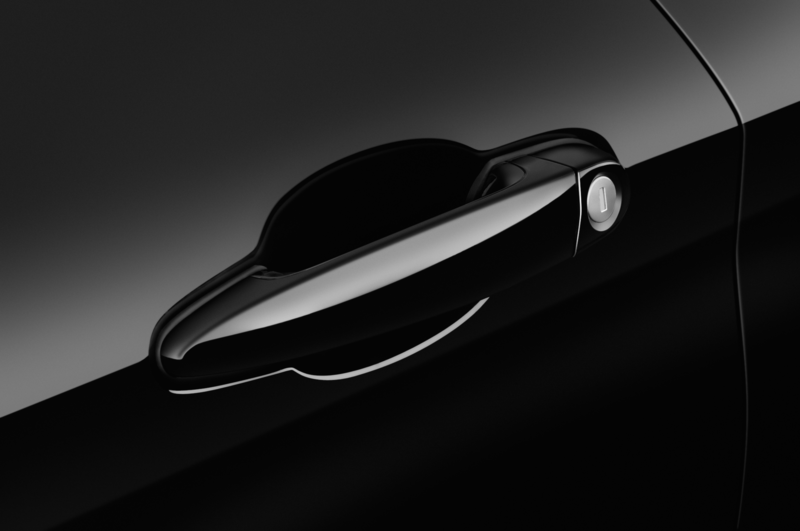 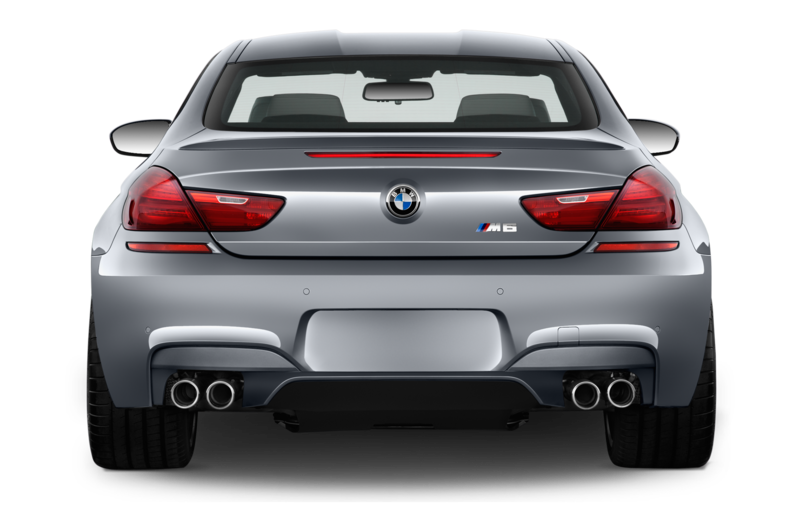 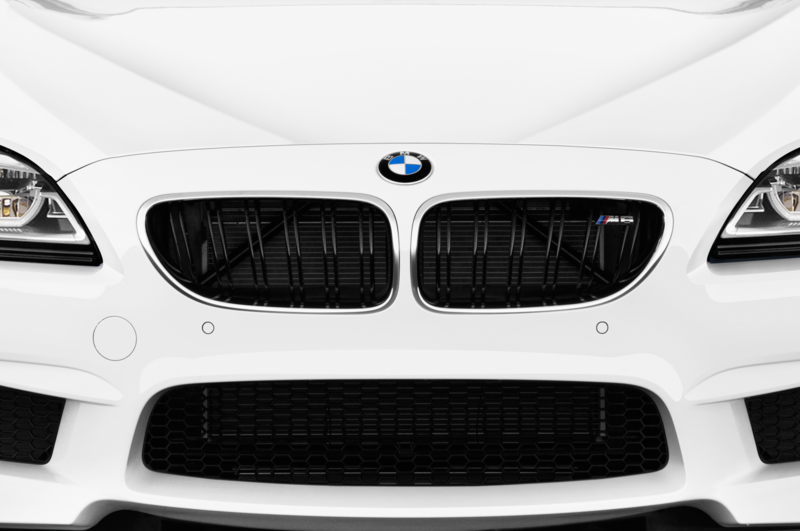 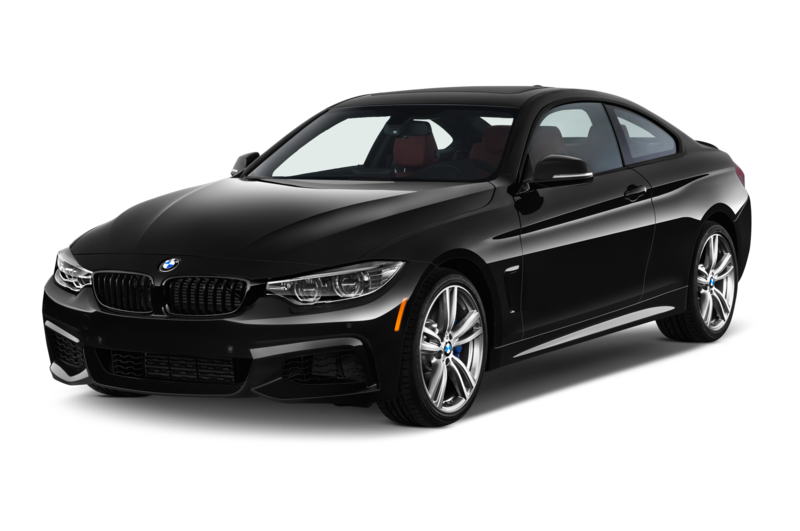 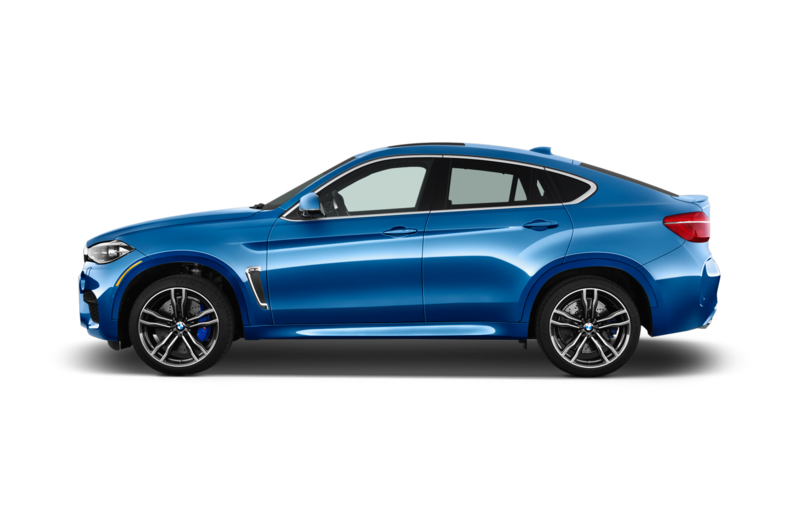 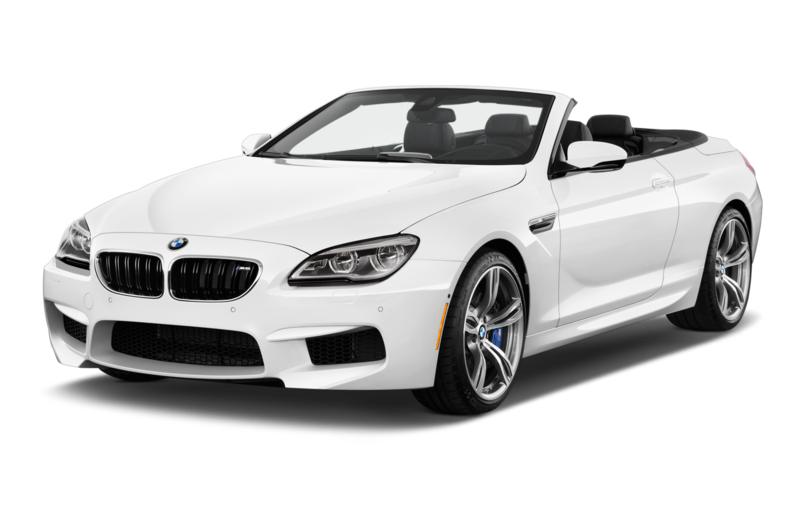 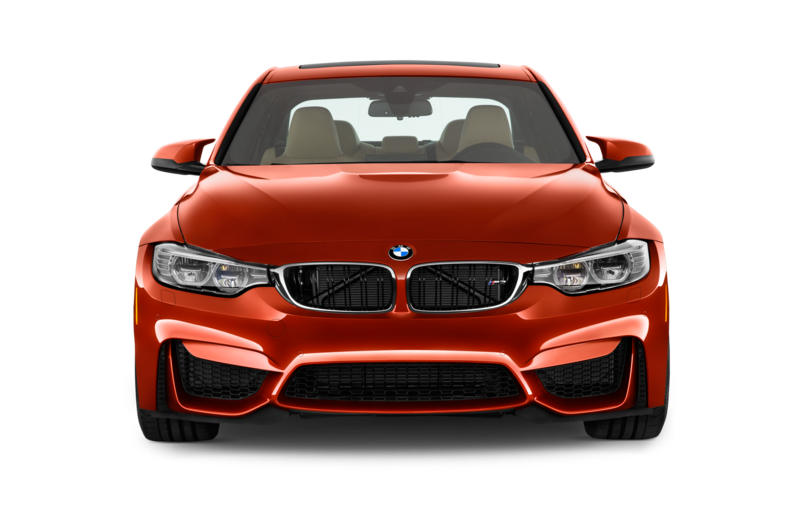 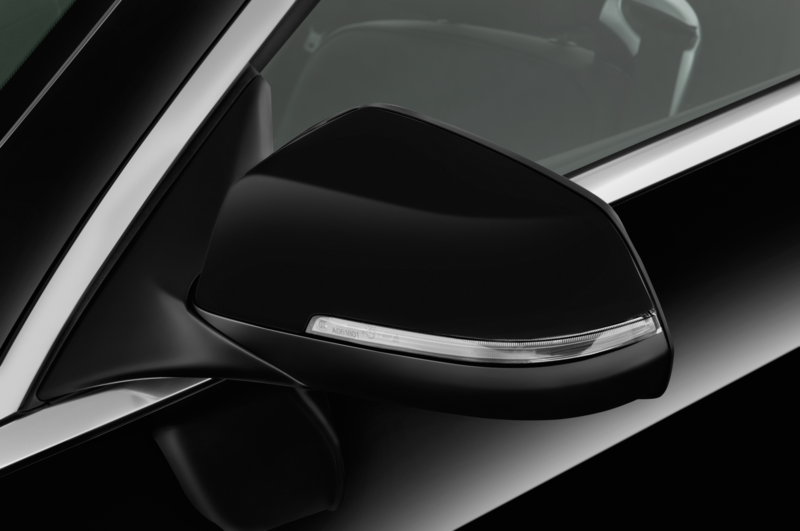 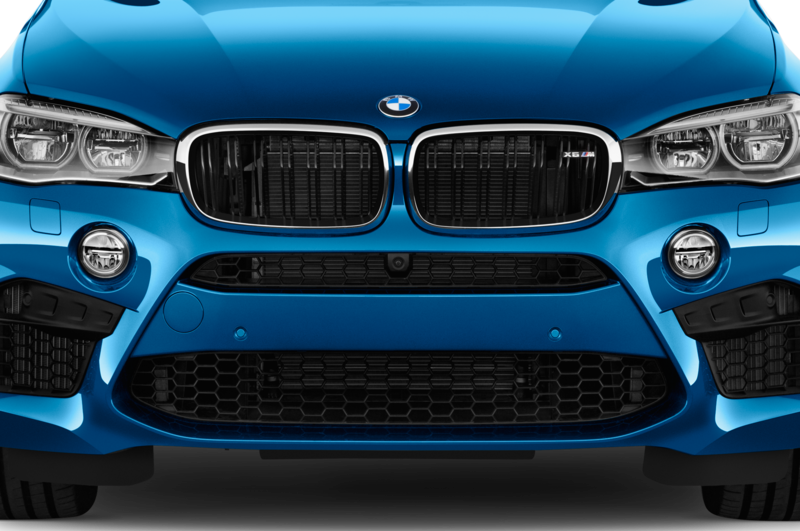 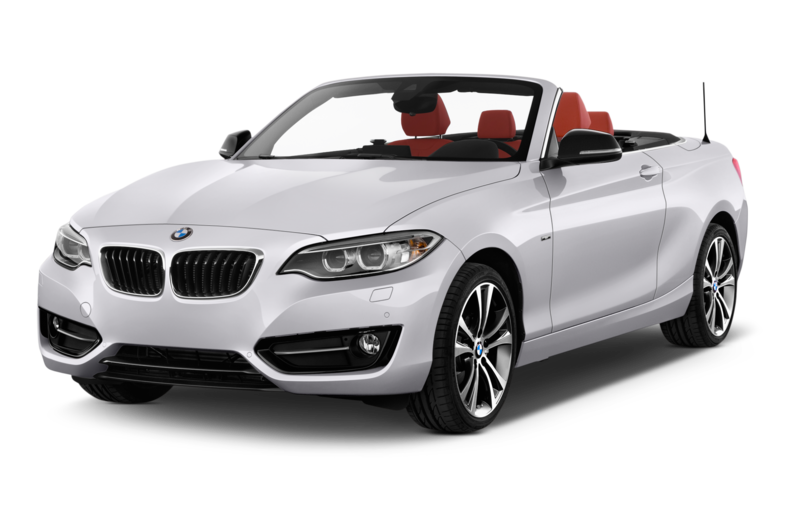 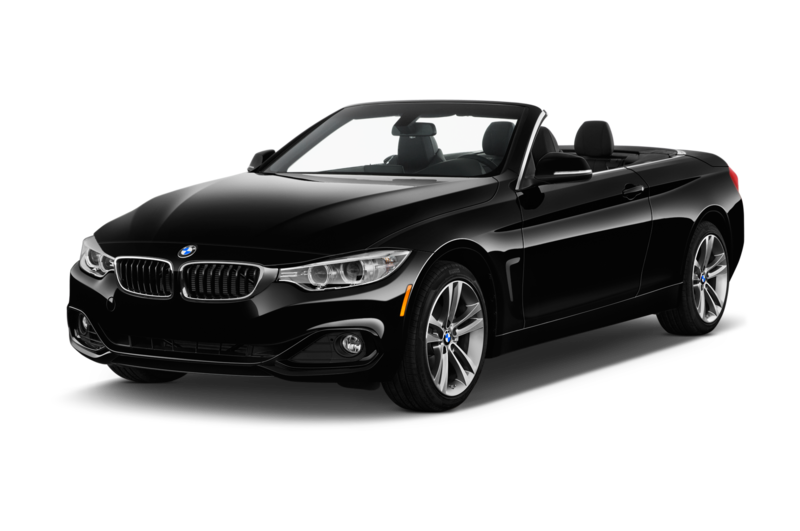 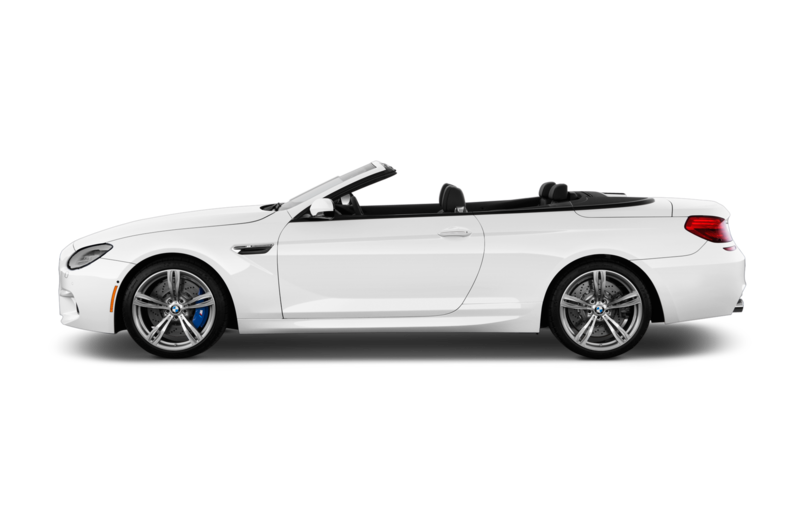 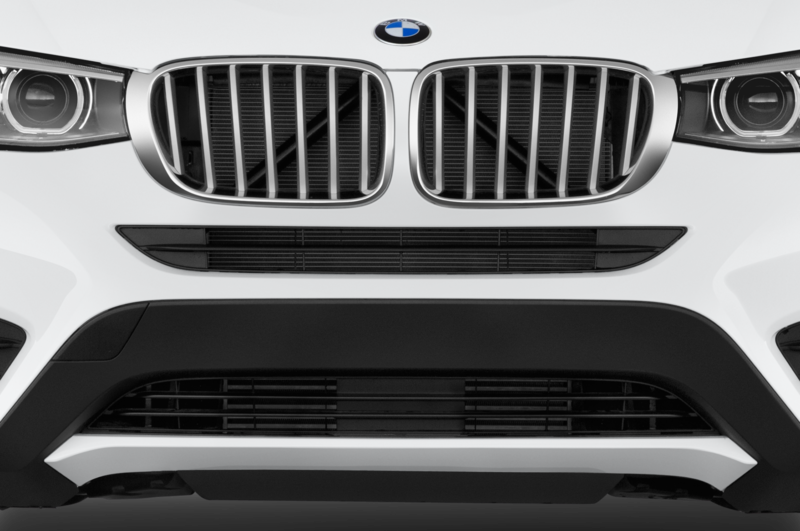 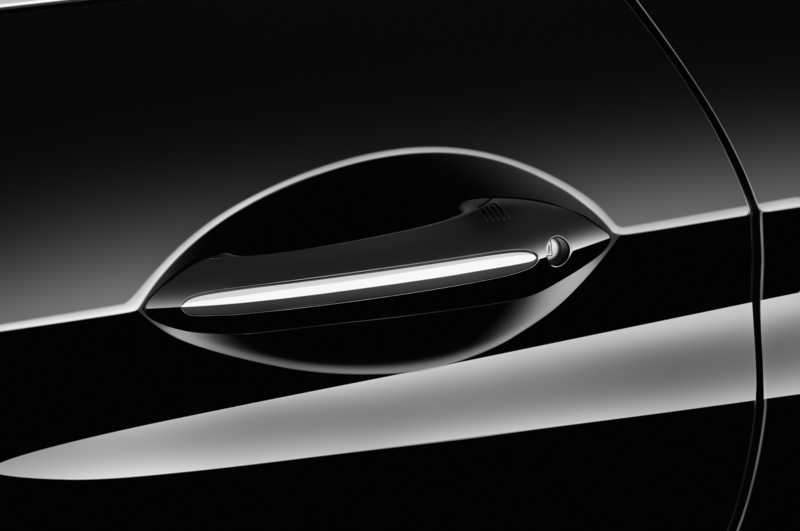 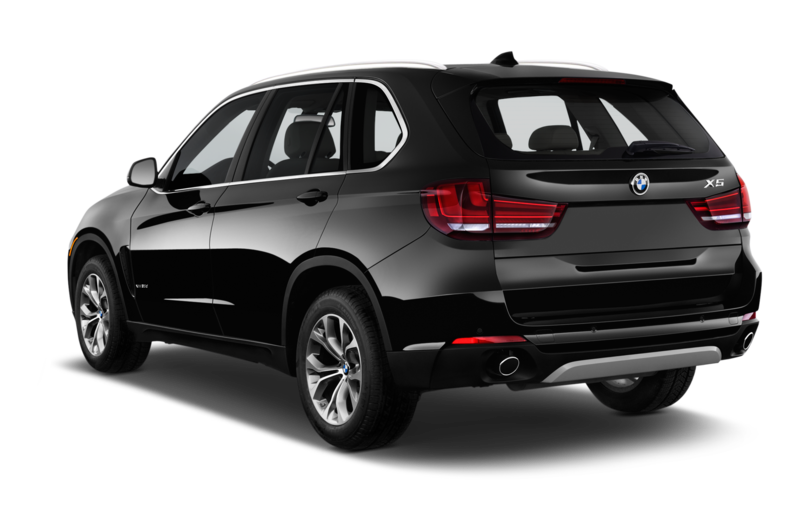 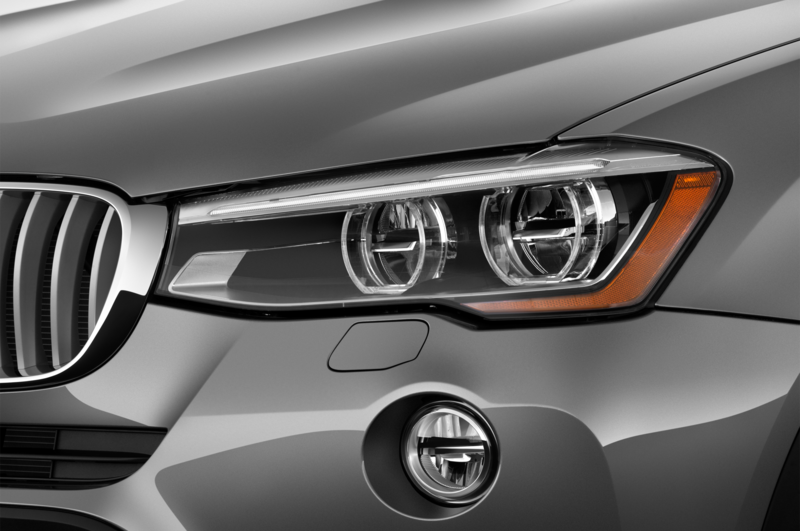 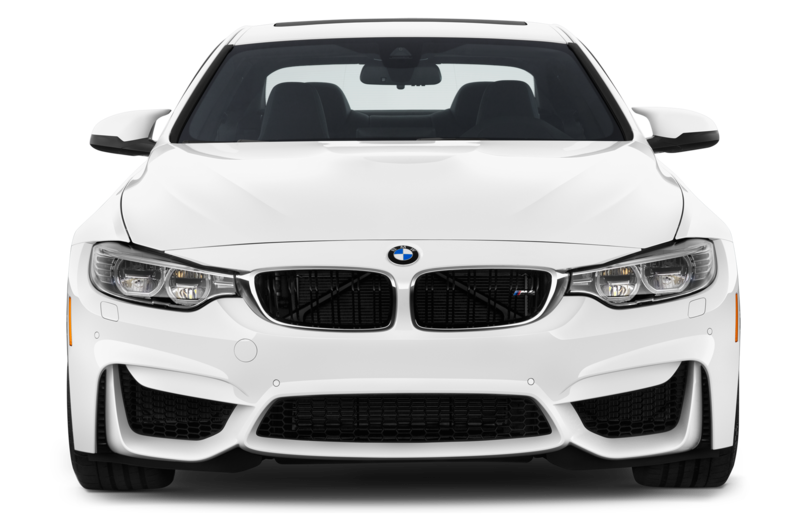 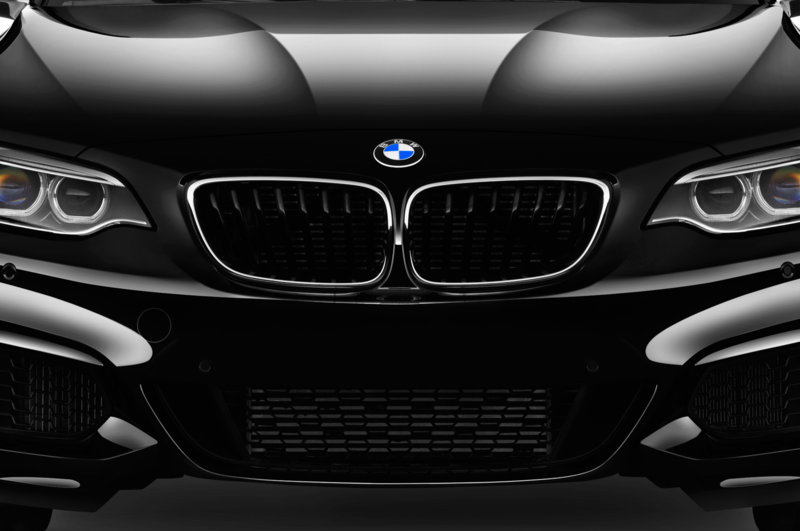 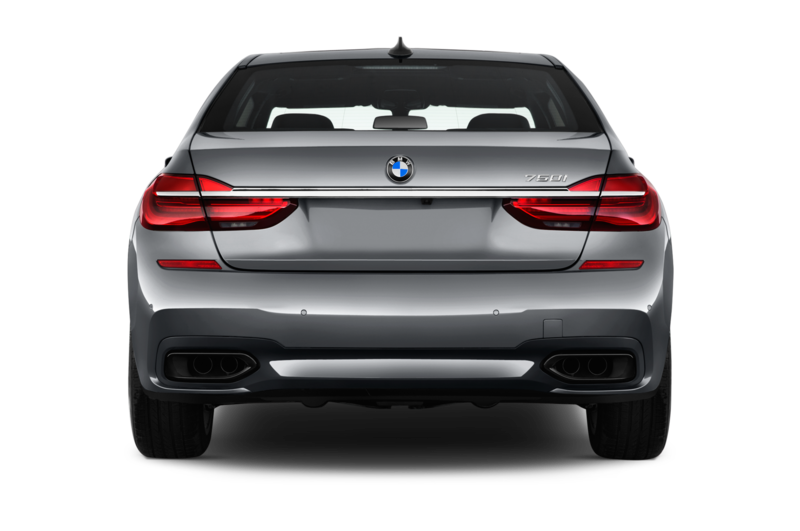 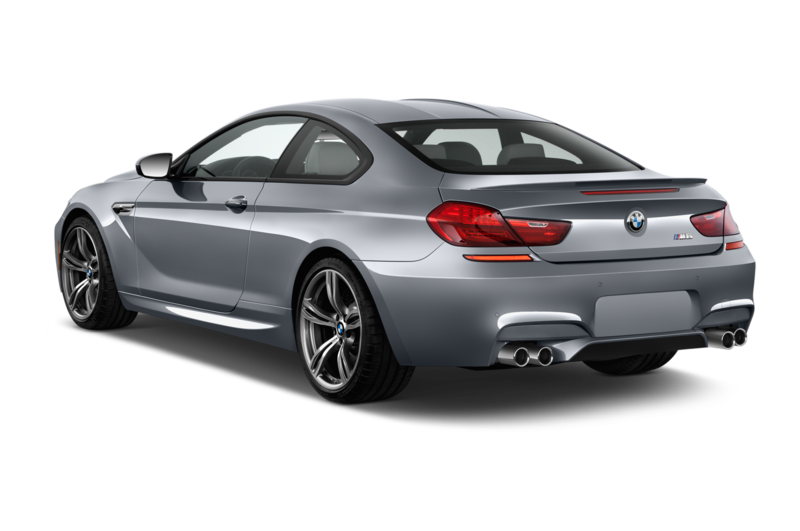 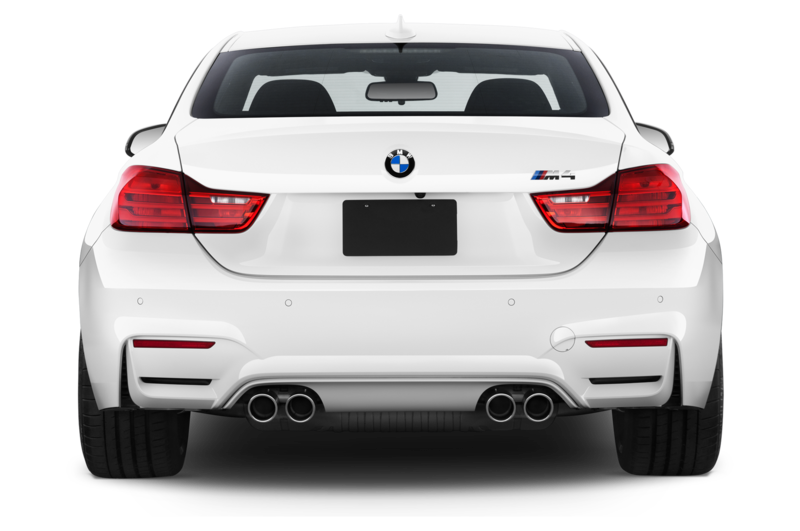 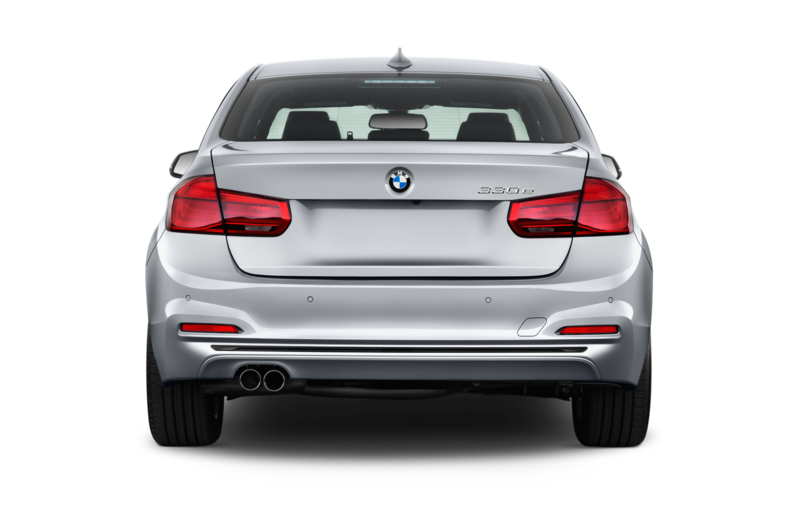 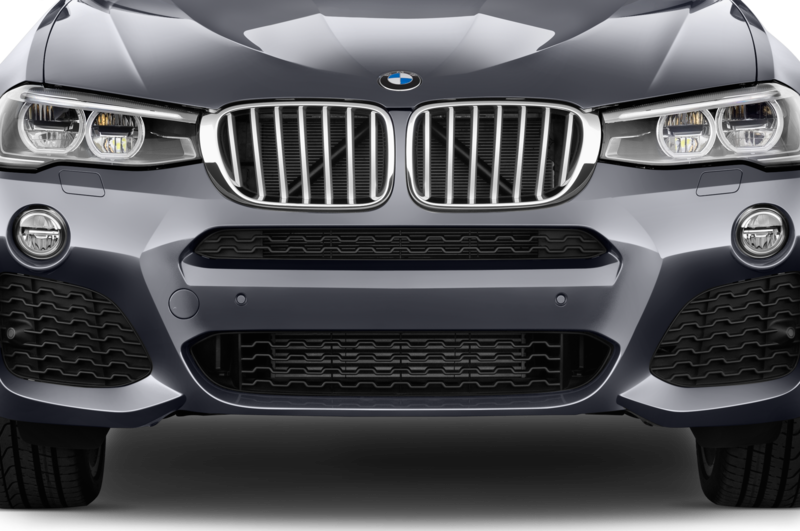 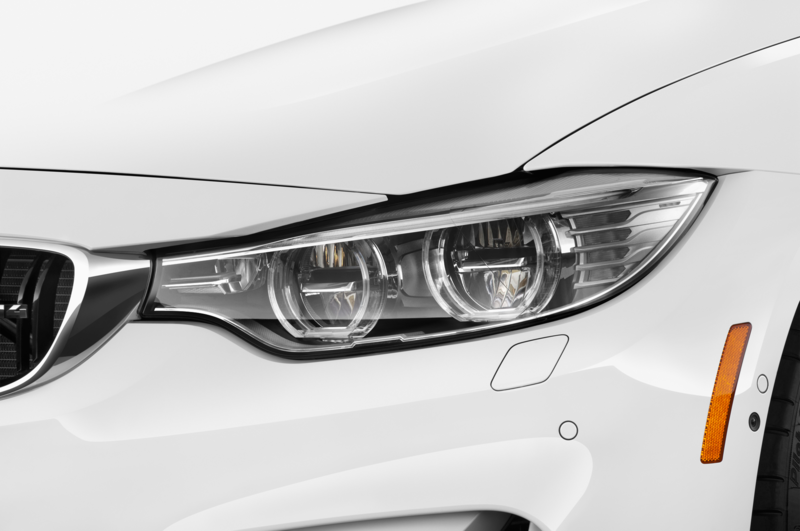 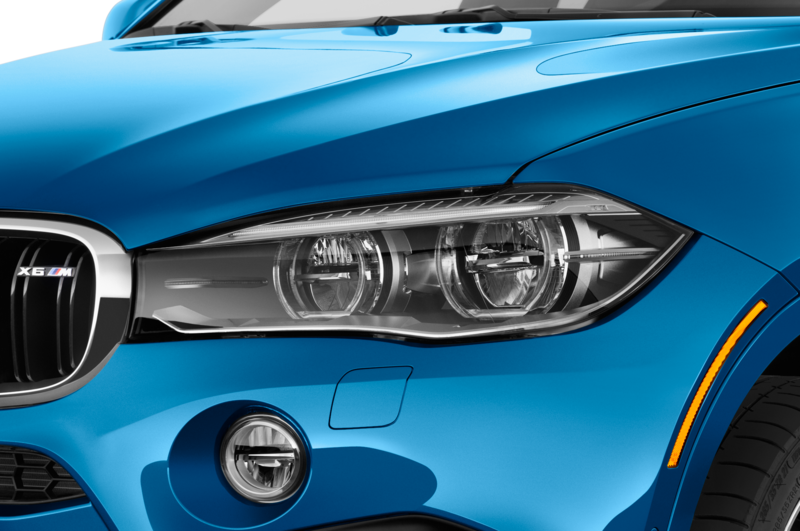 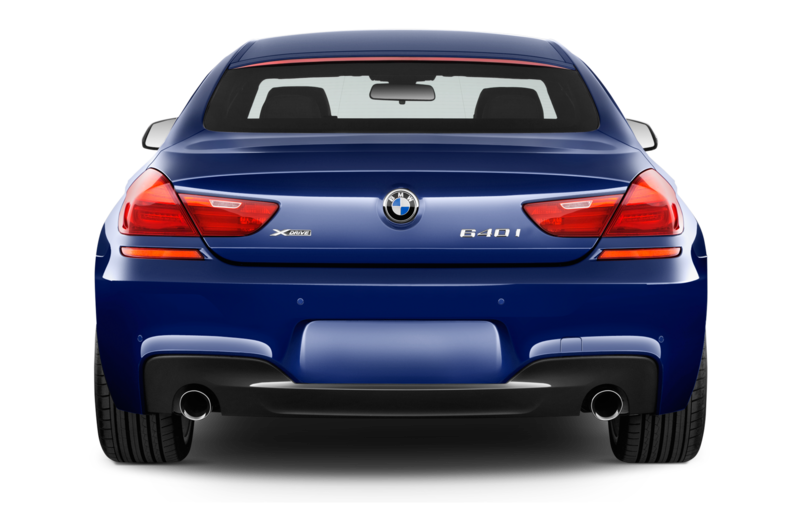 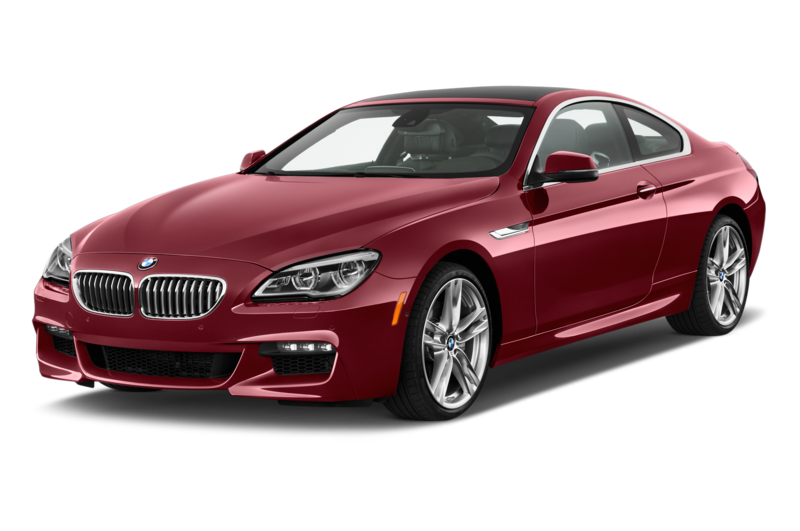 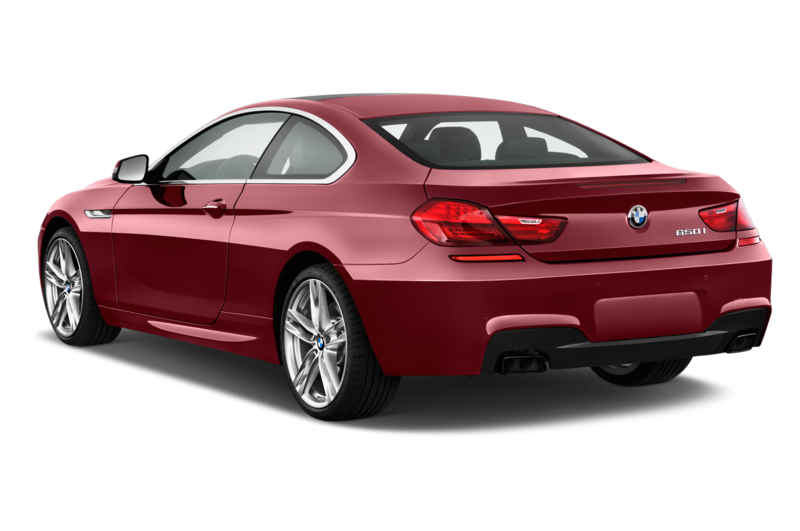 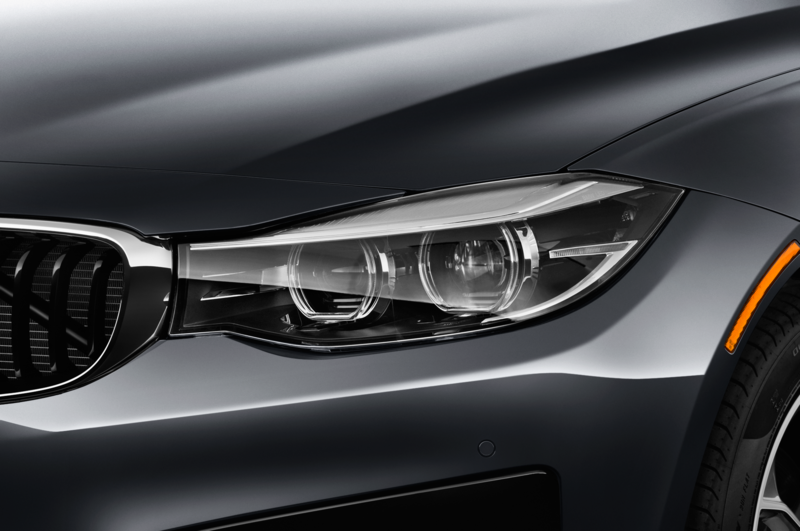 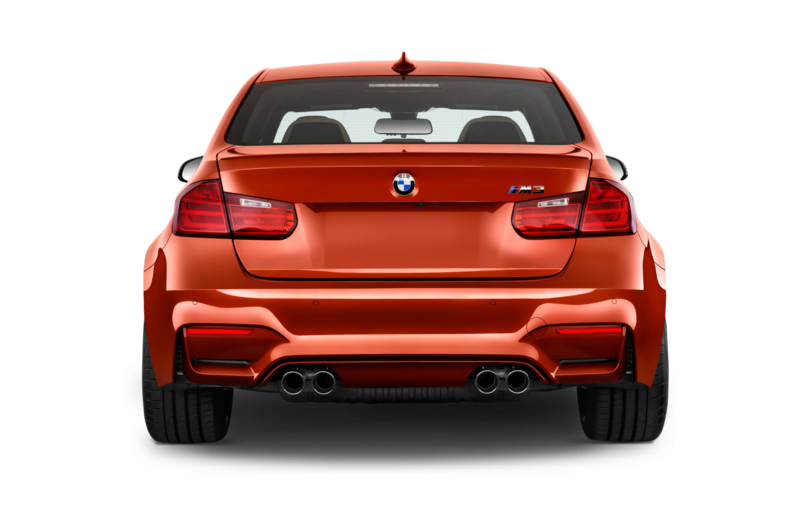 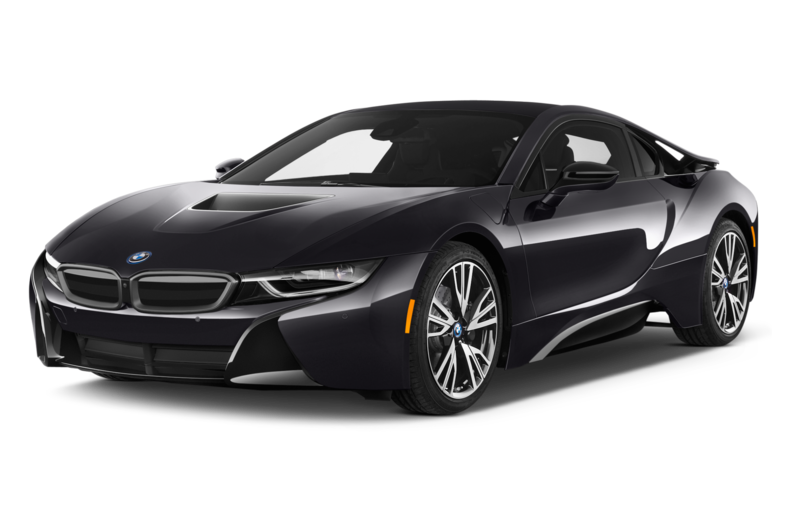 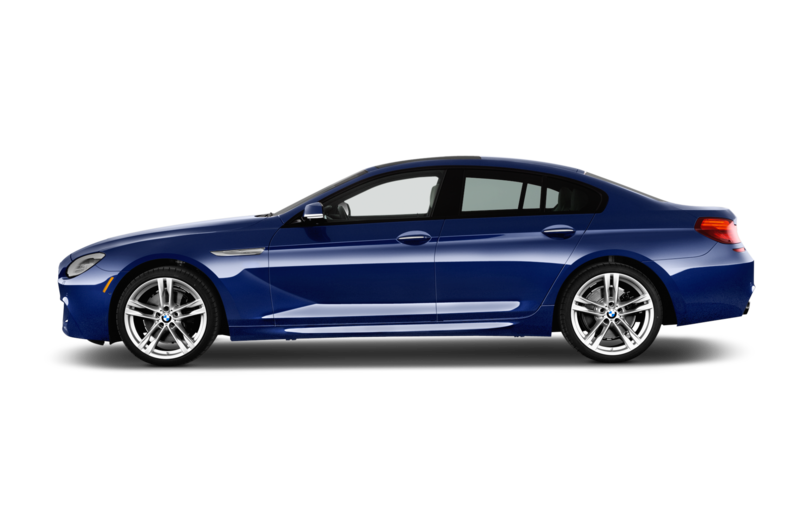 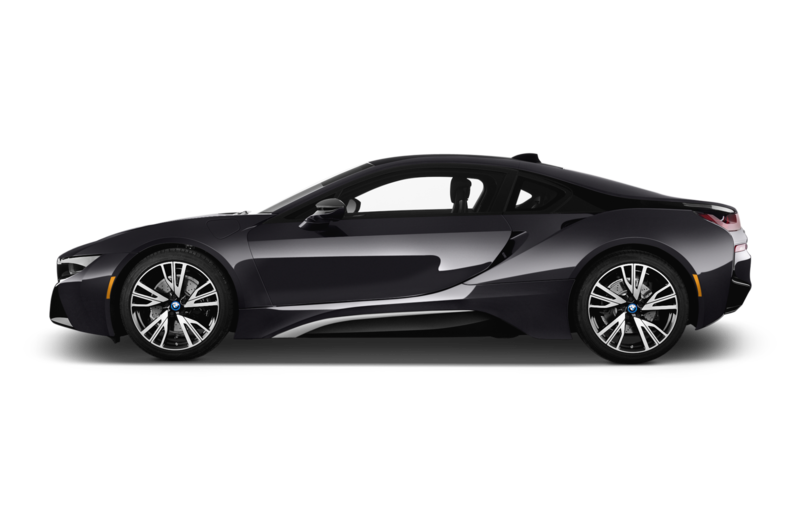 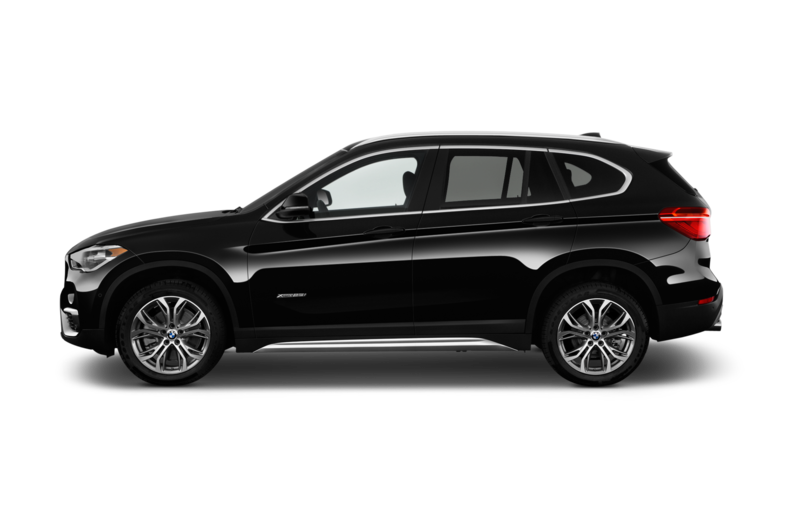 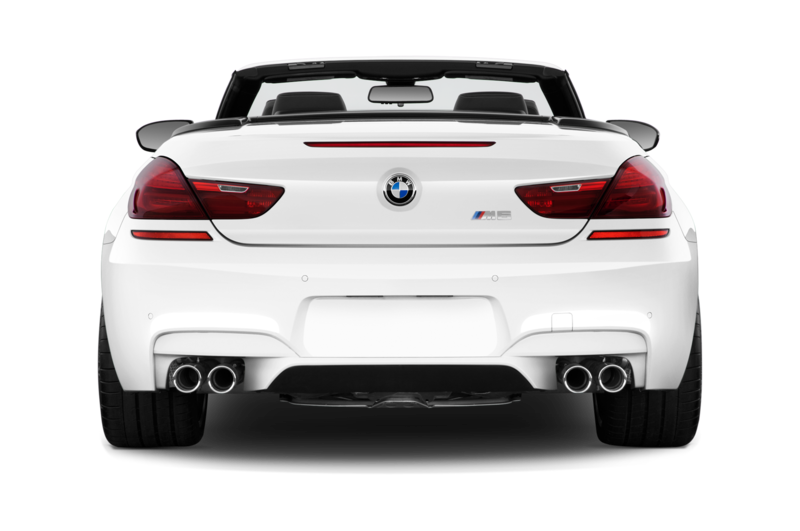 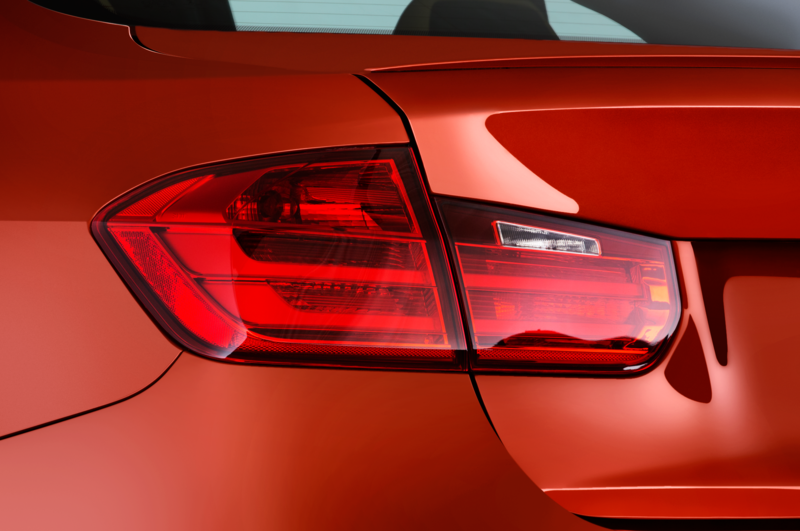 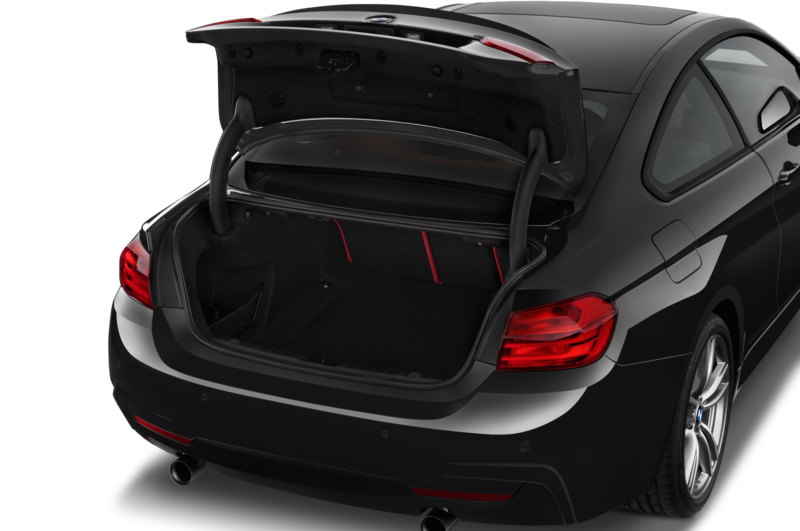 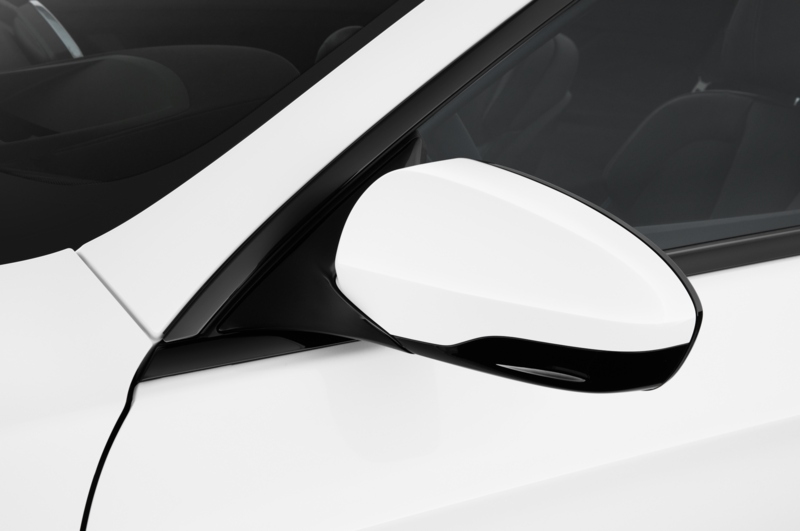 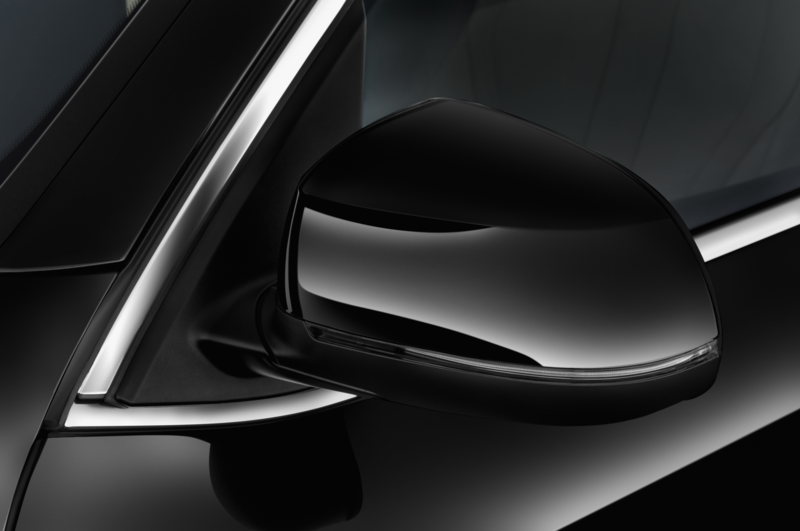 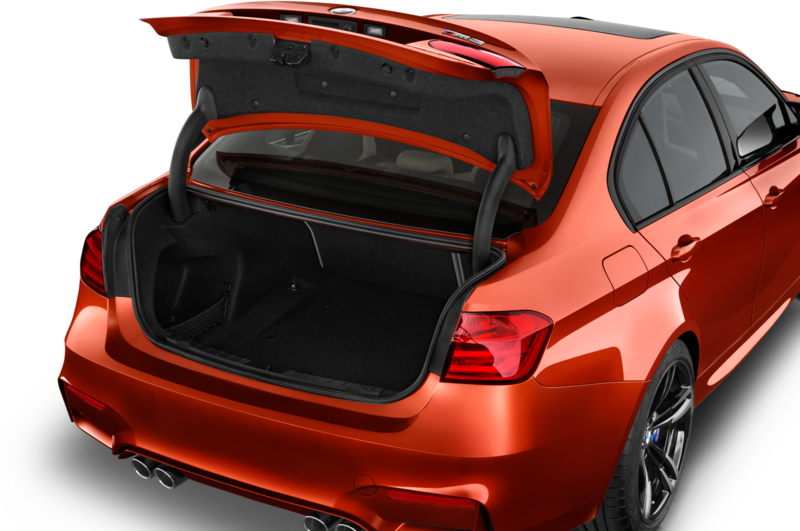 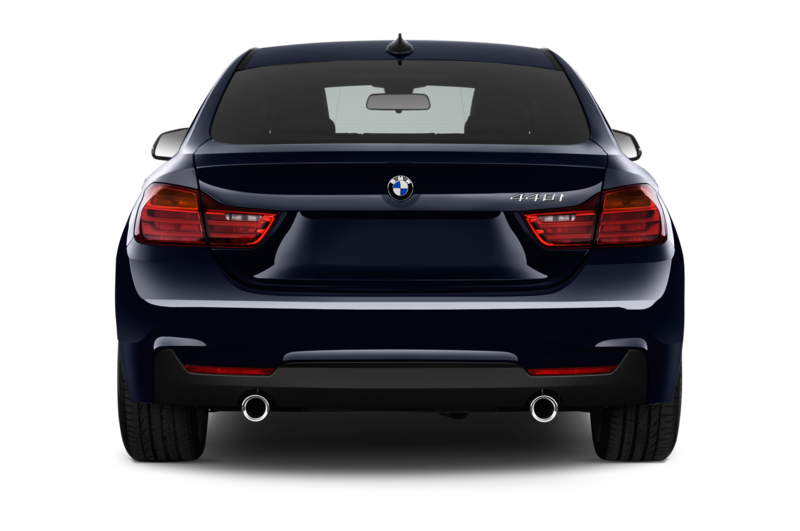 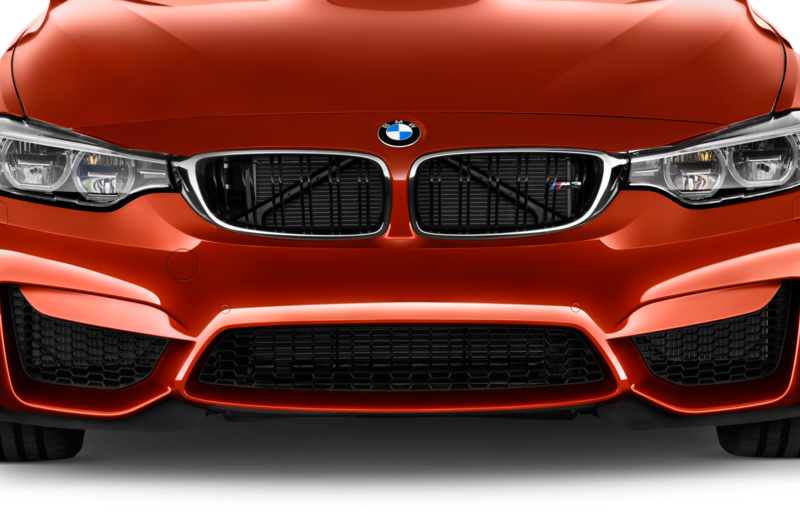 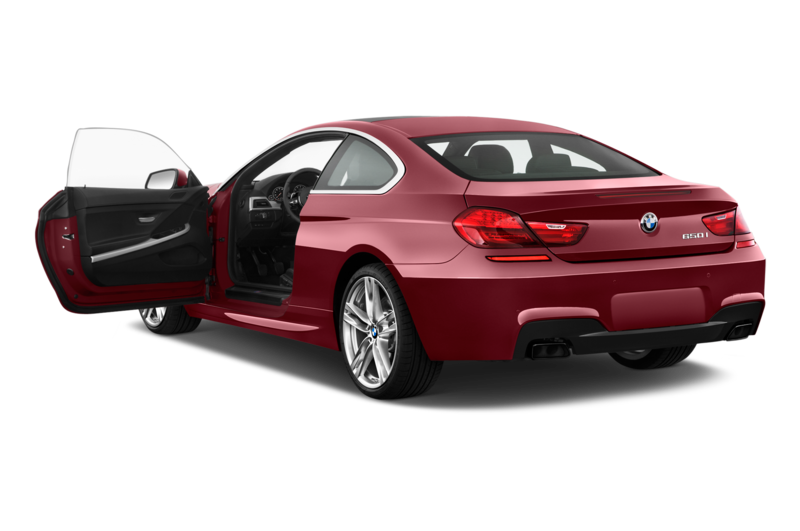 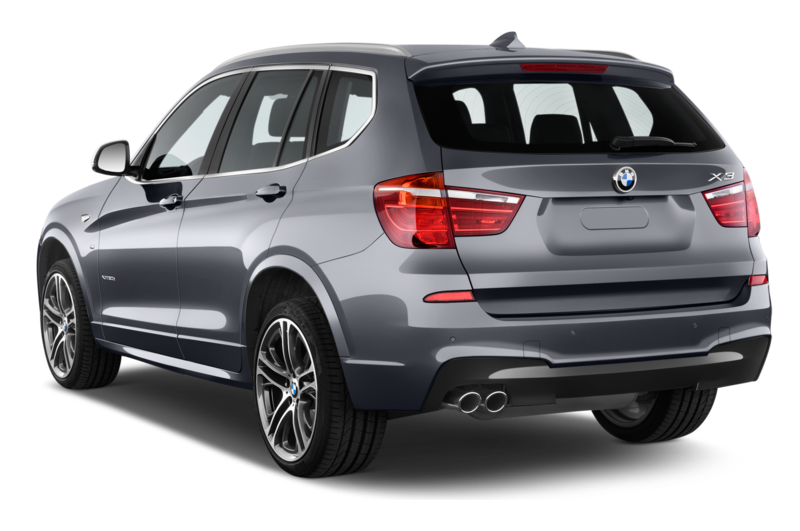 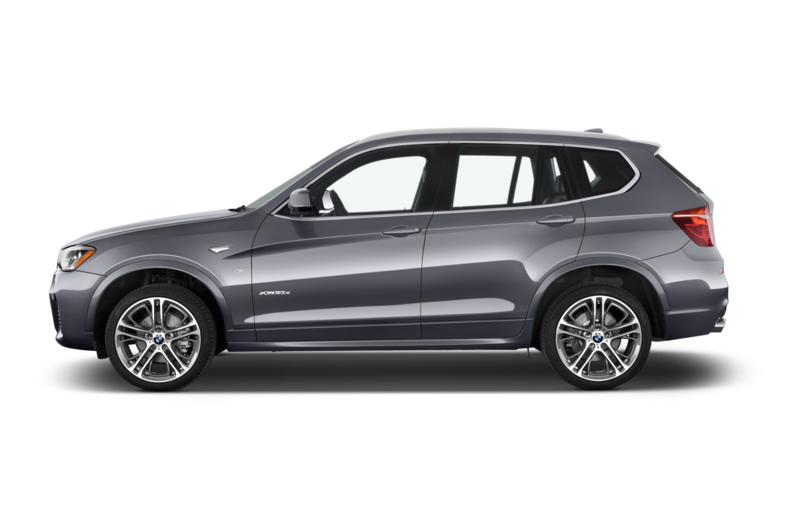 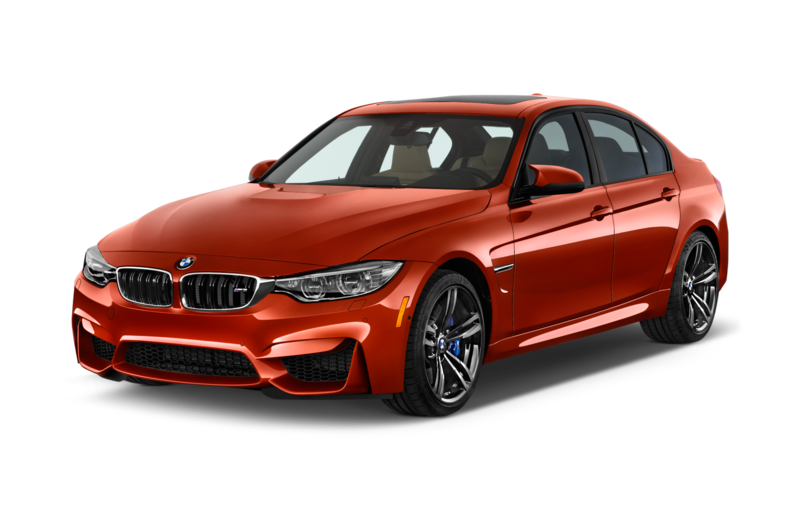 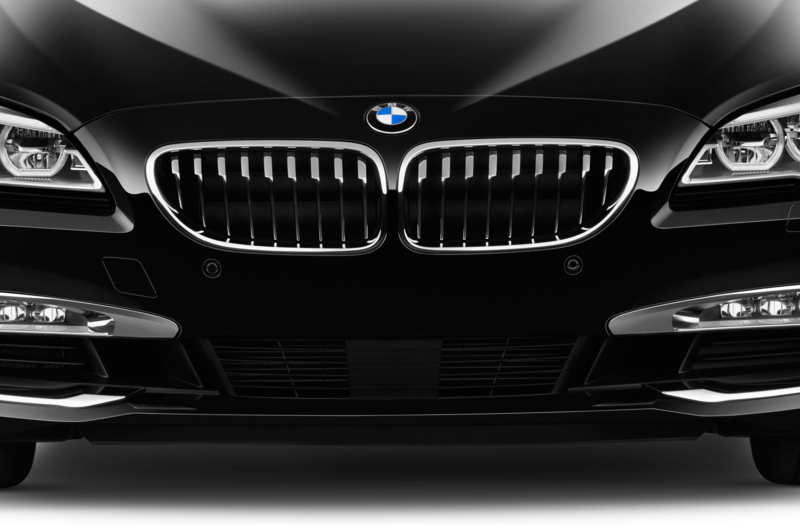 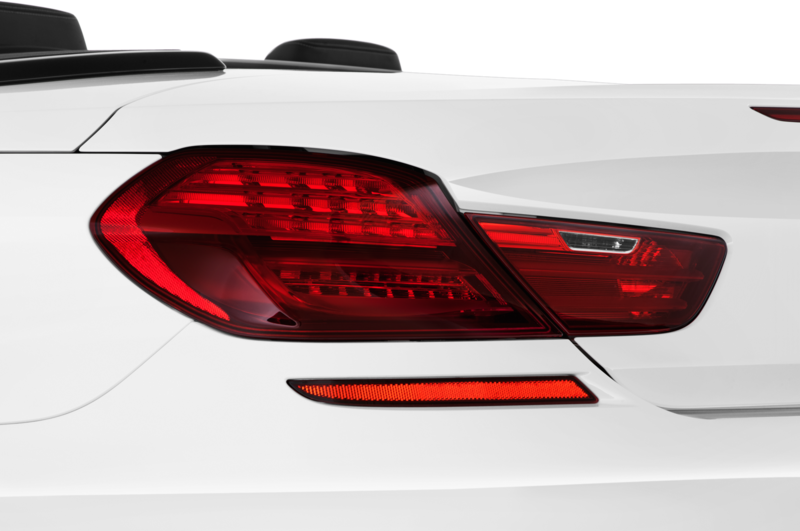 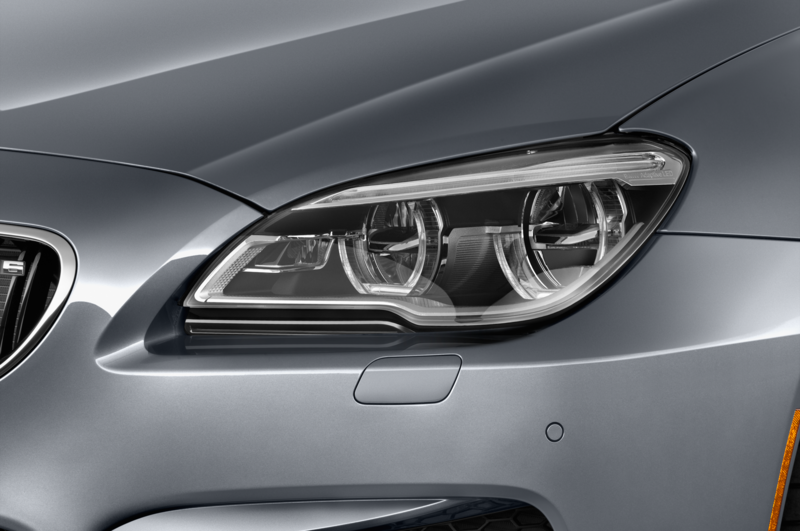 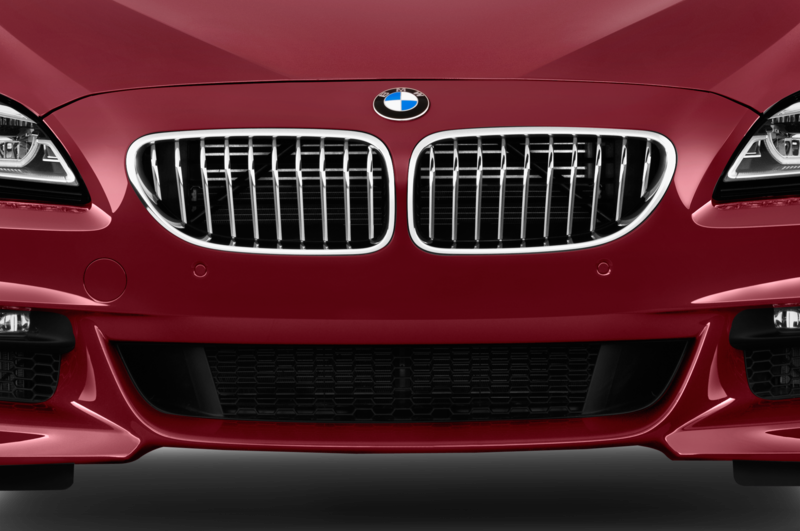 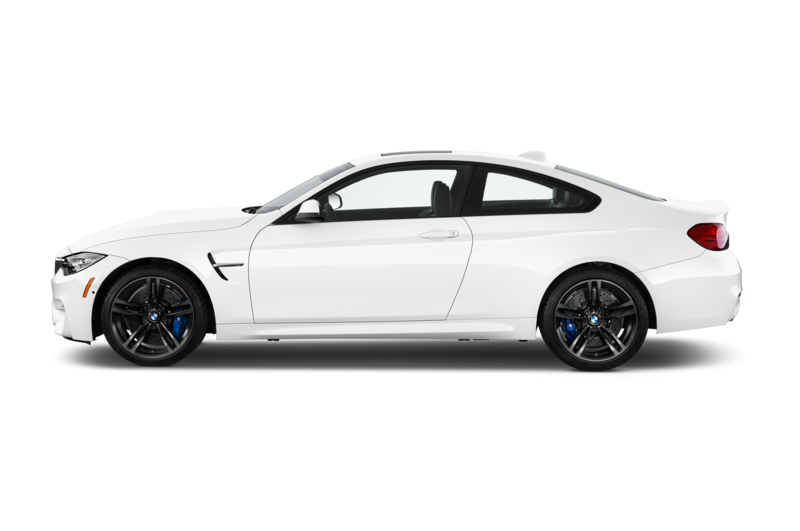 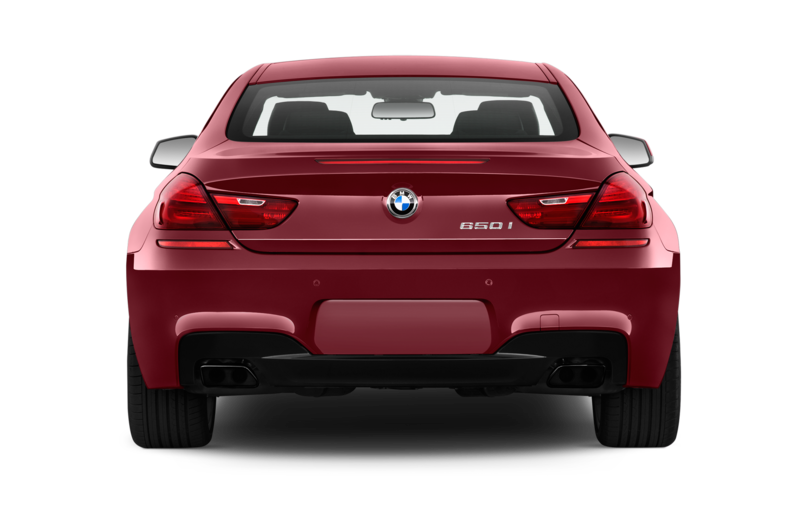 An M Aerodynamic package comprises a new front fascia with enlarged air intakes, Cerium Gray trim pieces, a trunklid spoiler, and a new rear fascia with outlets for the larger exhaust tips. 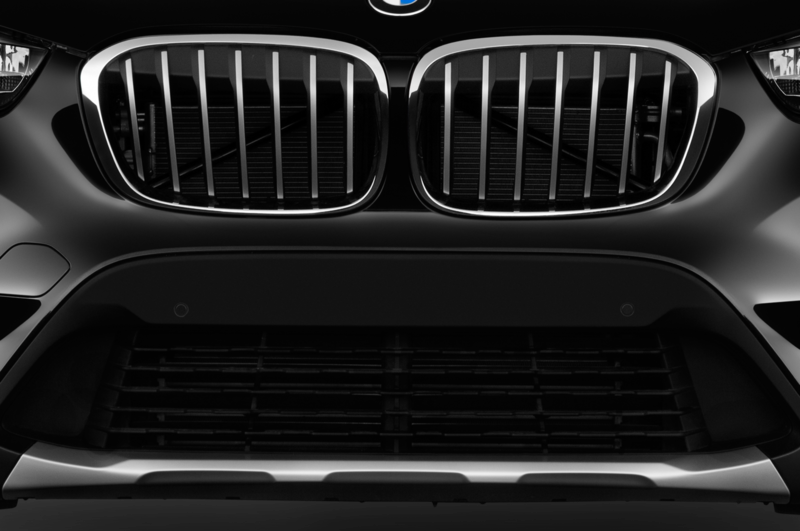 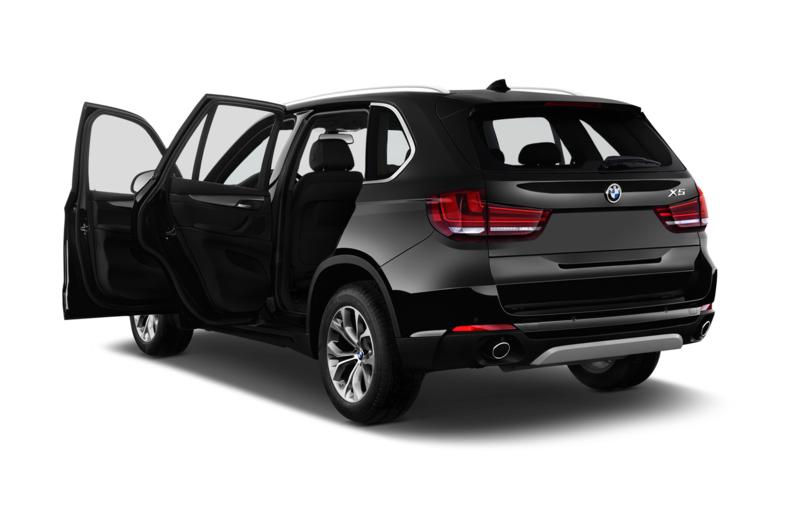 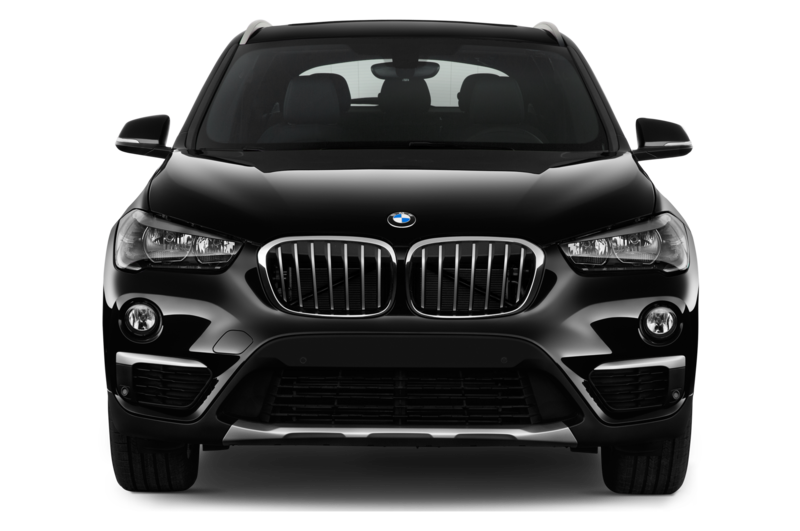 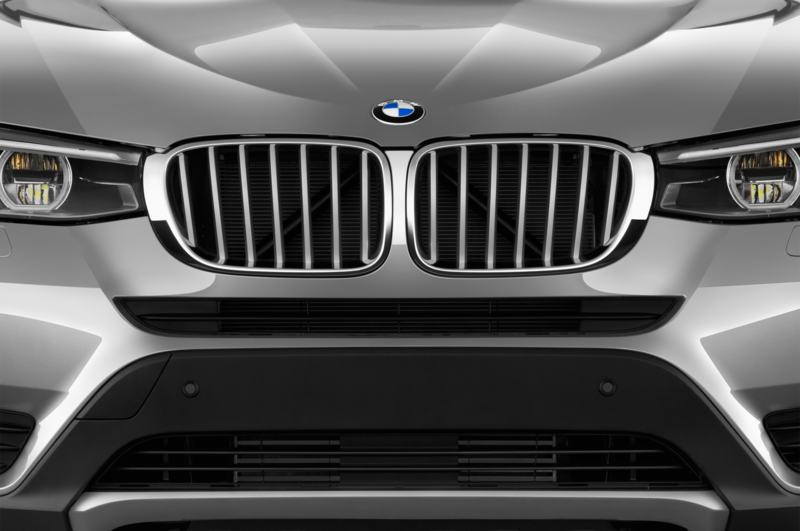 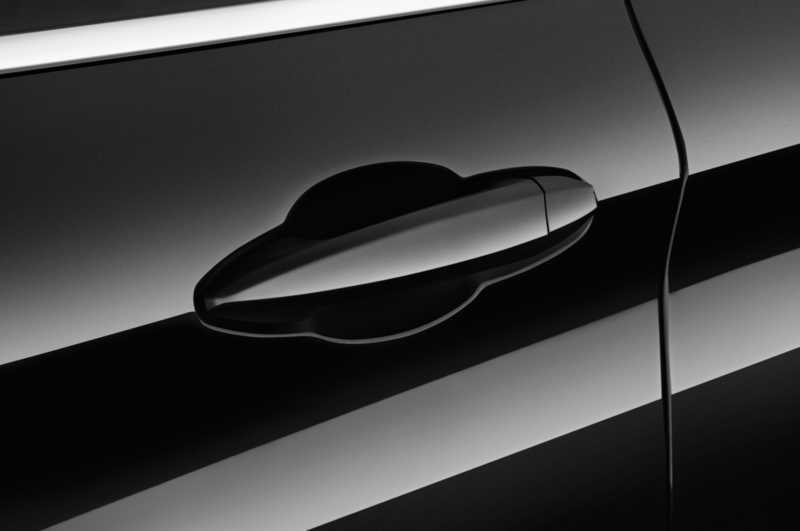 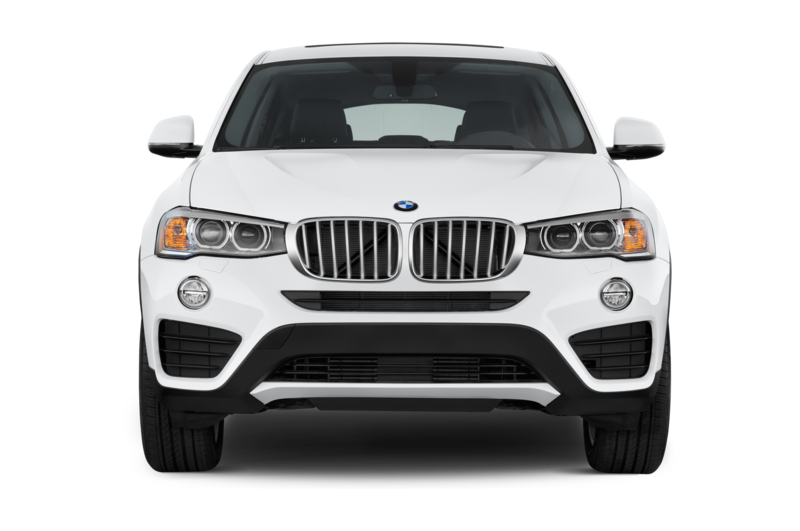 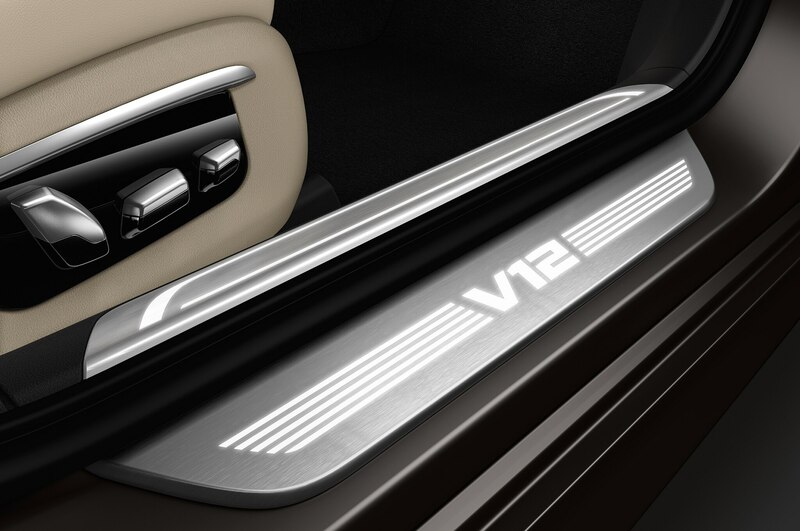 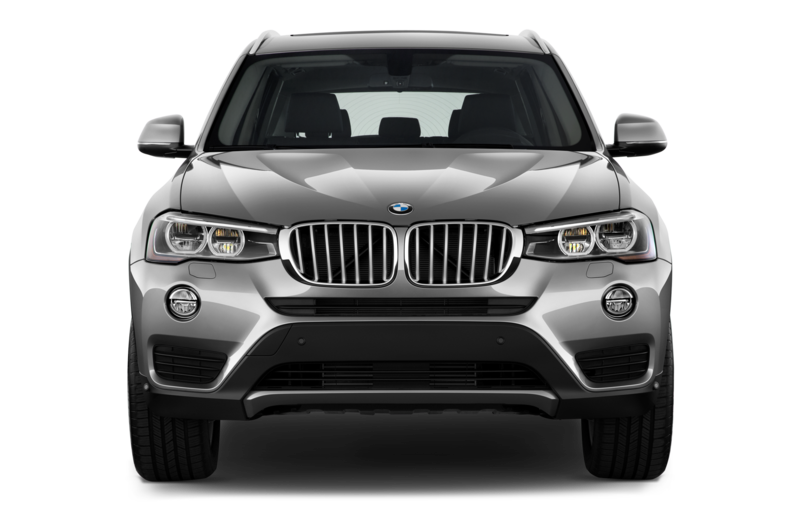 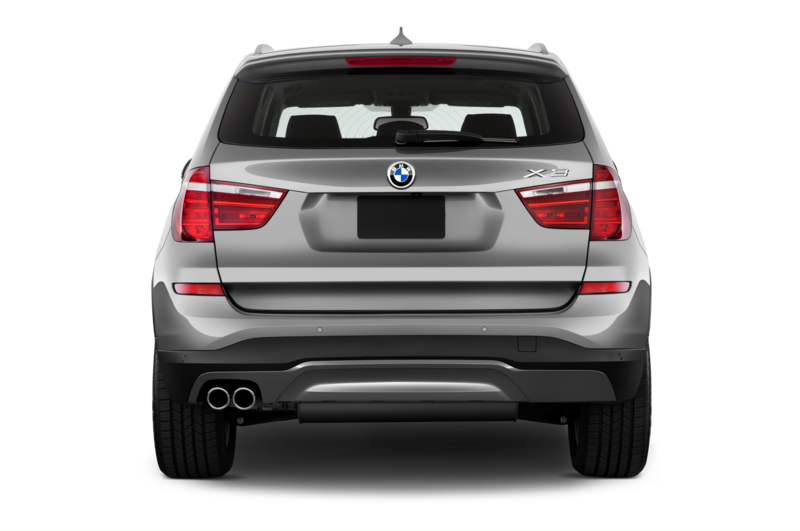 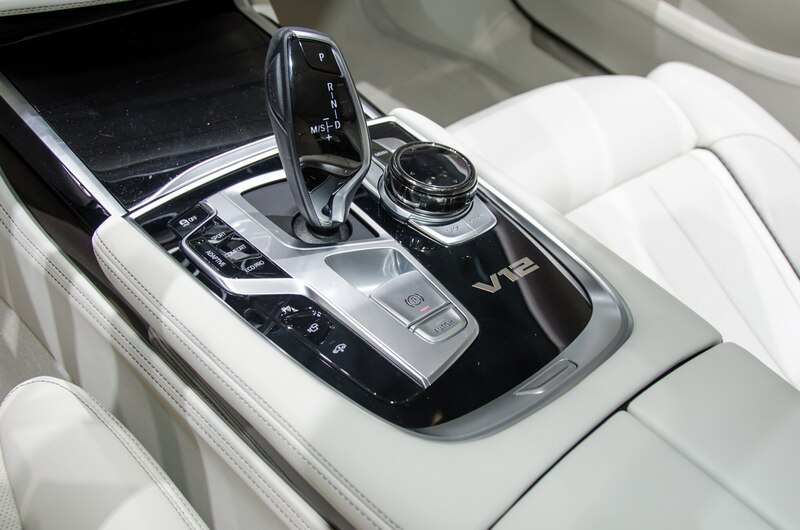 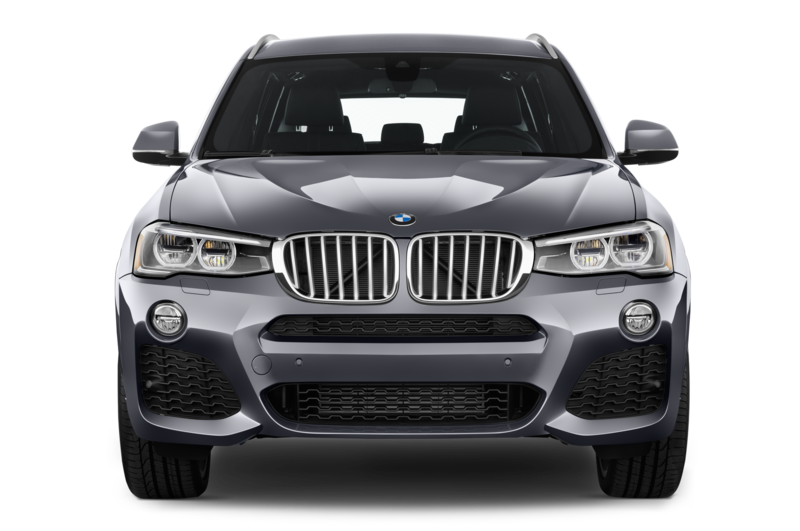 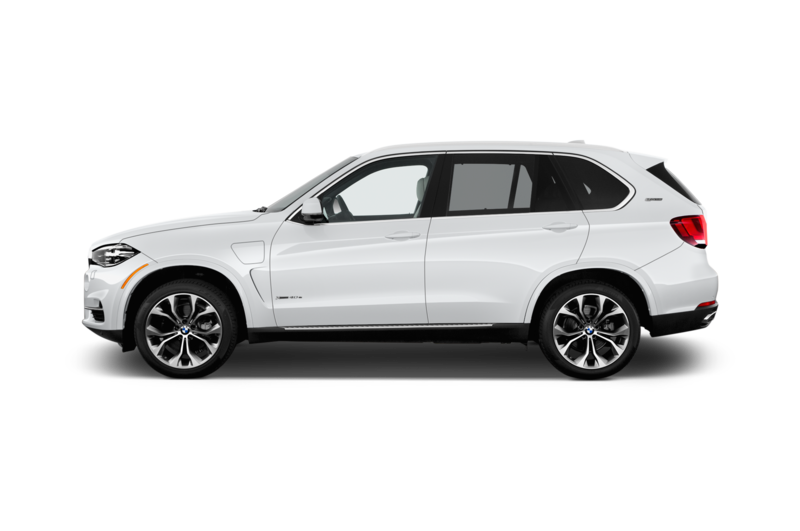 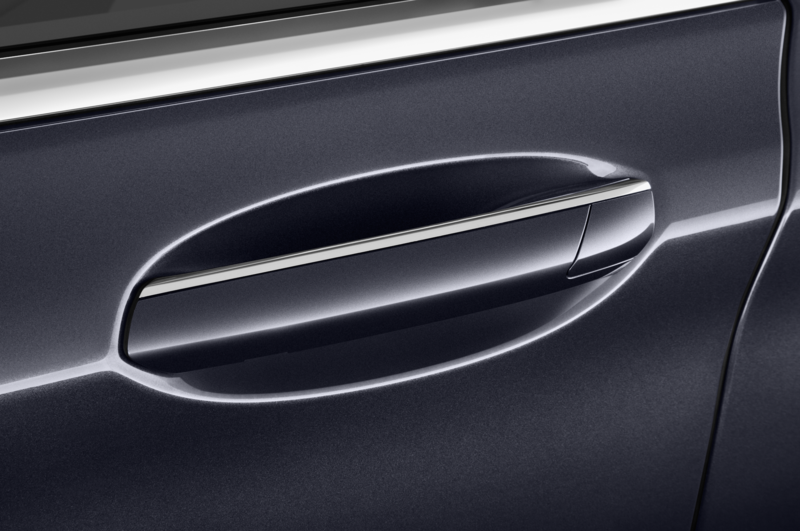 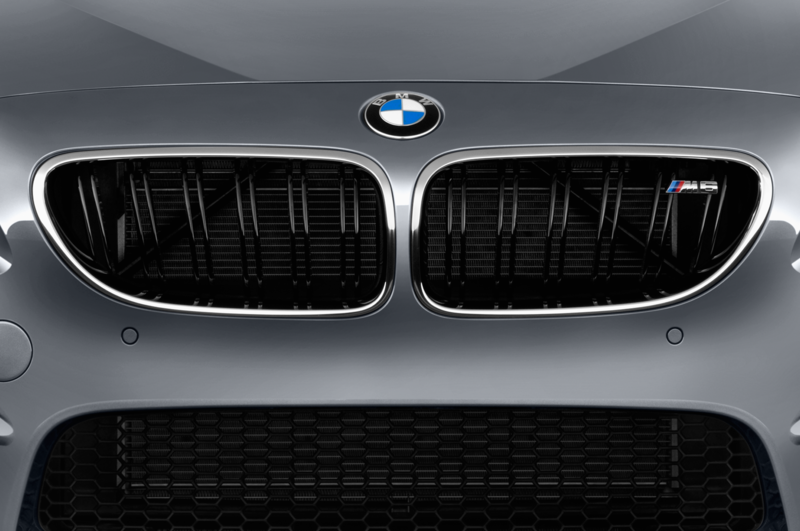 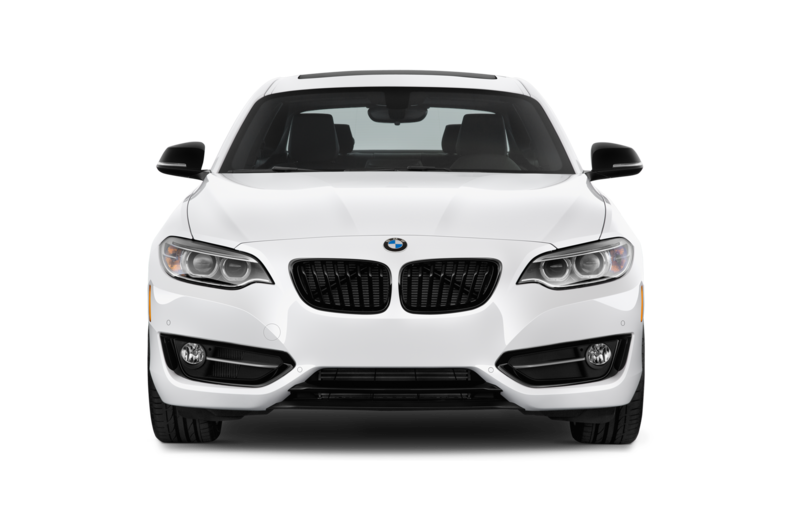 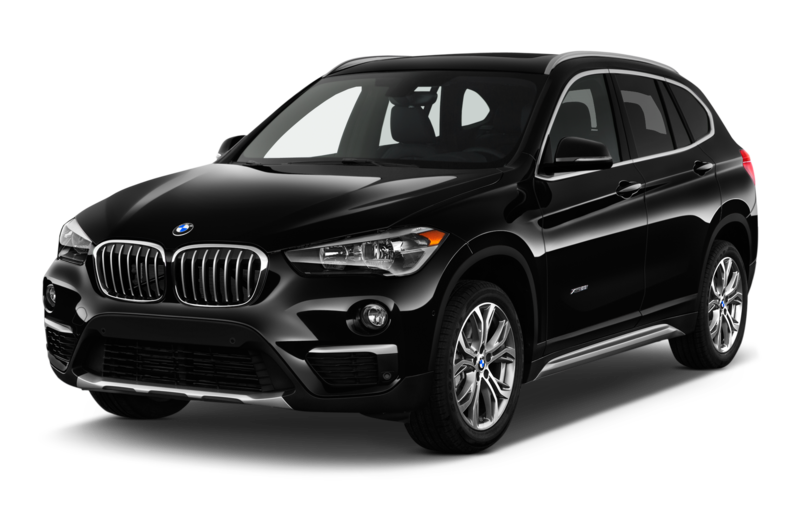 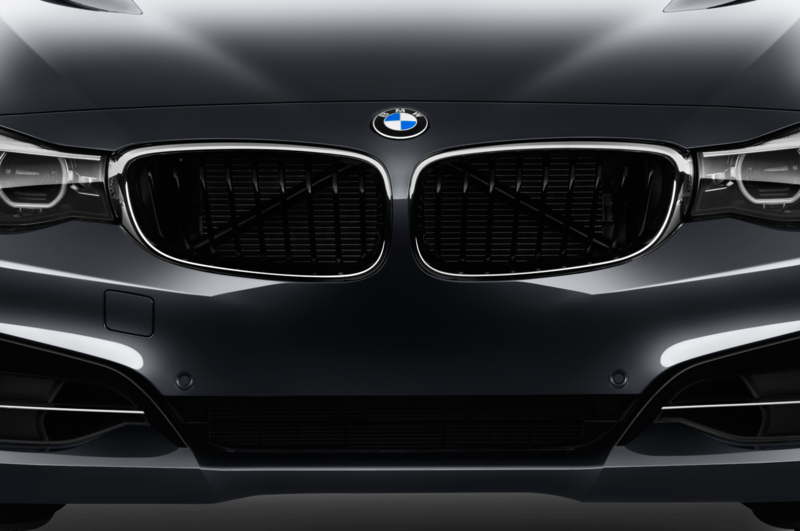 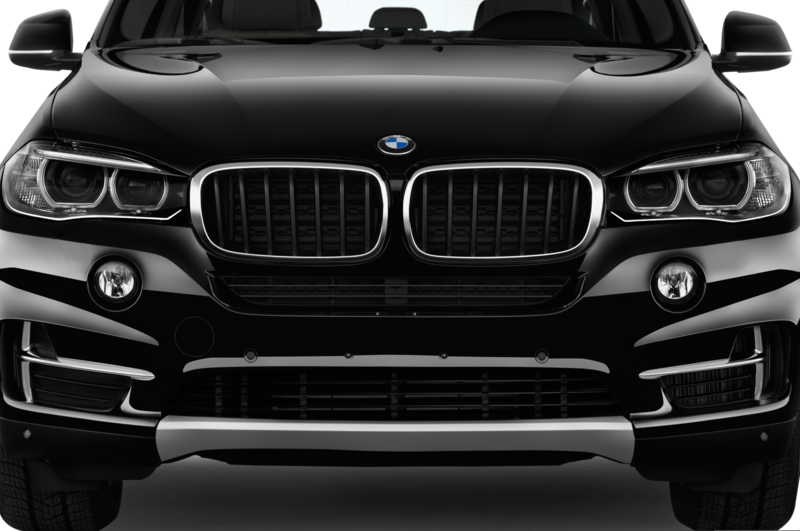 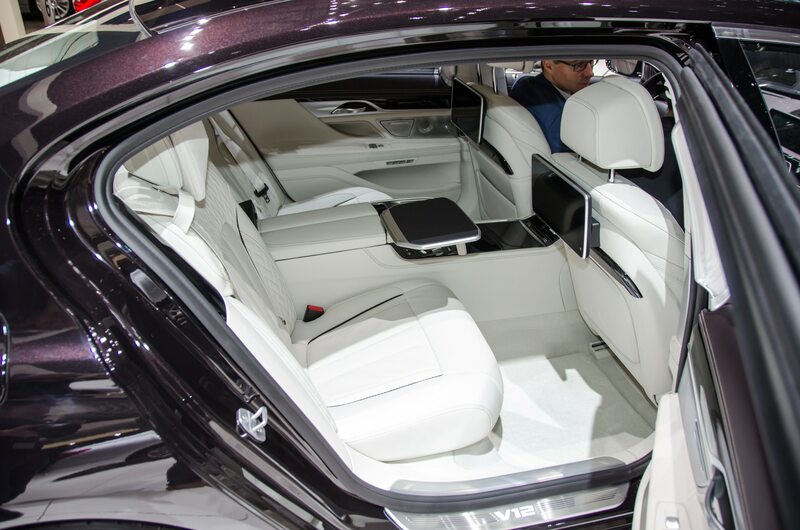 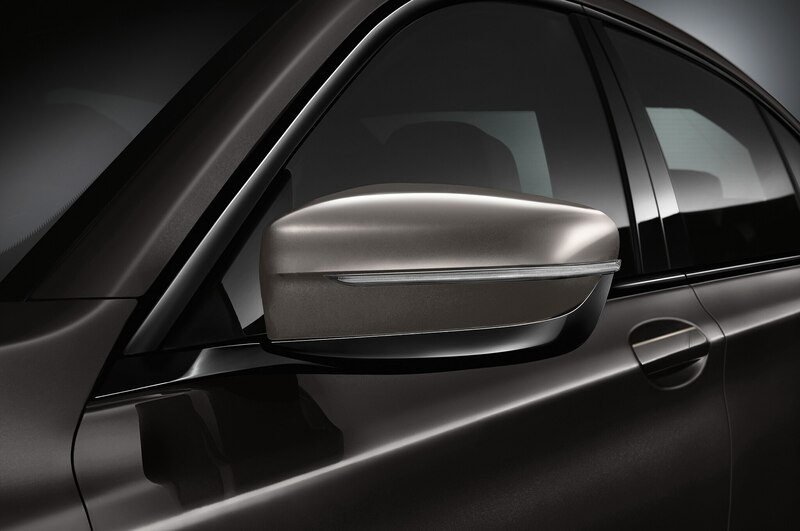 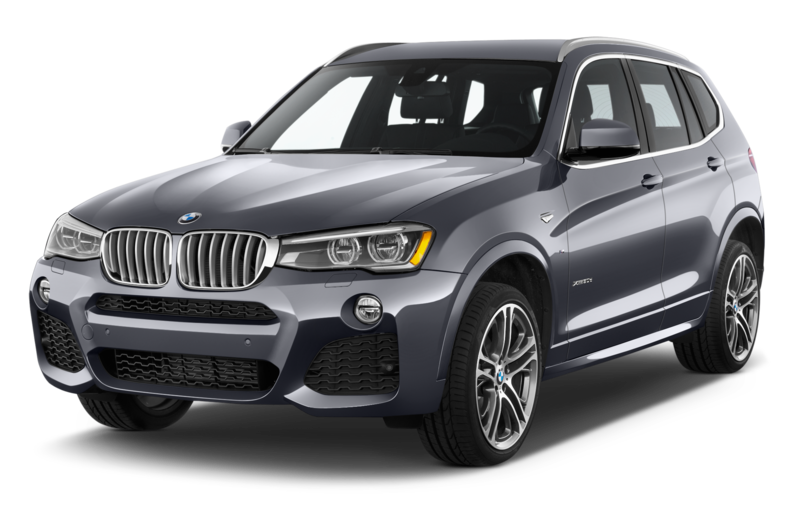 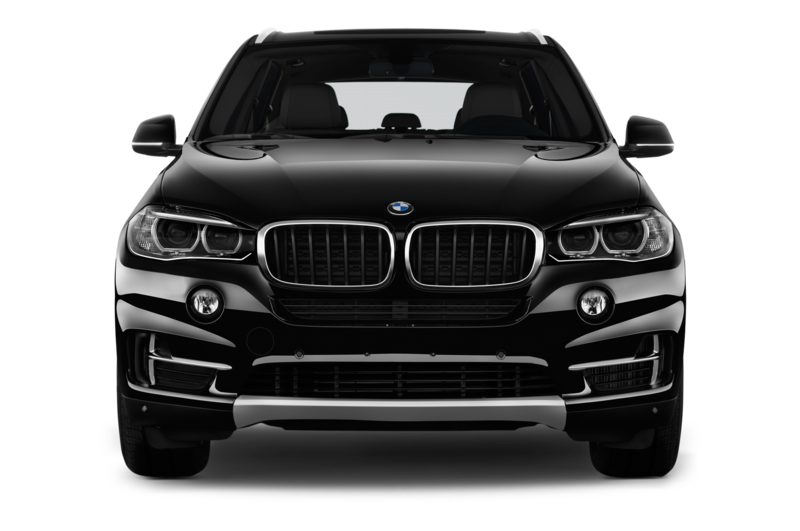 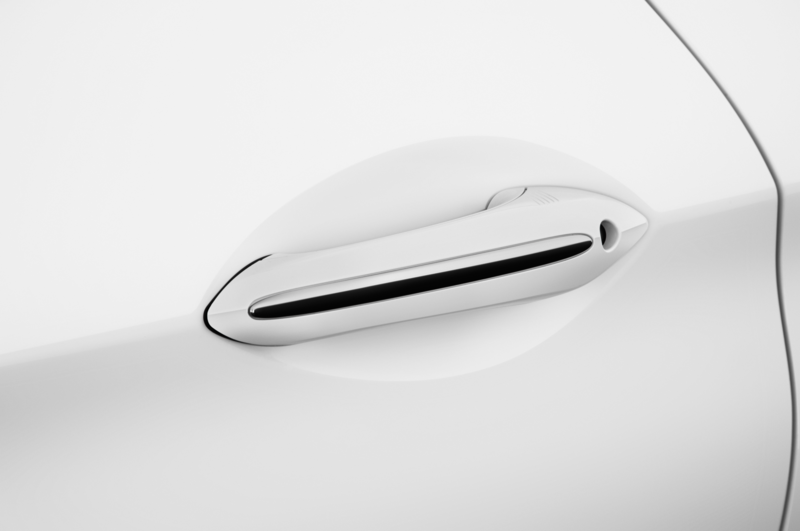 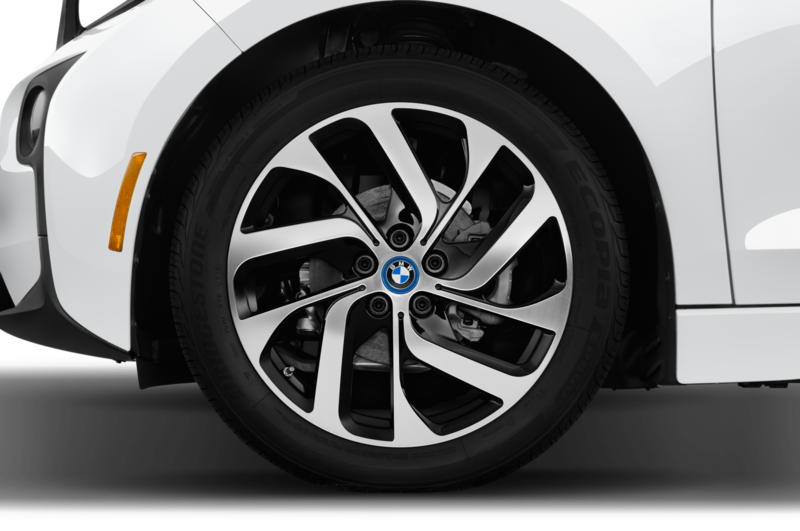 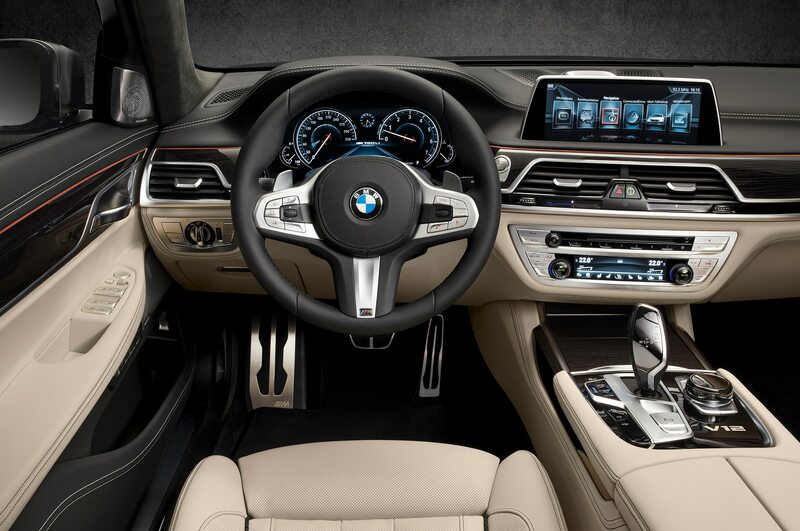 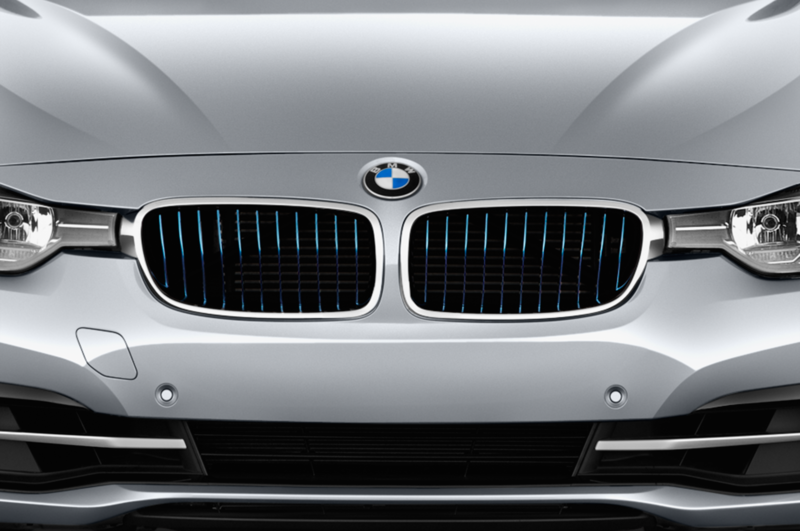 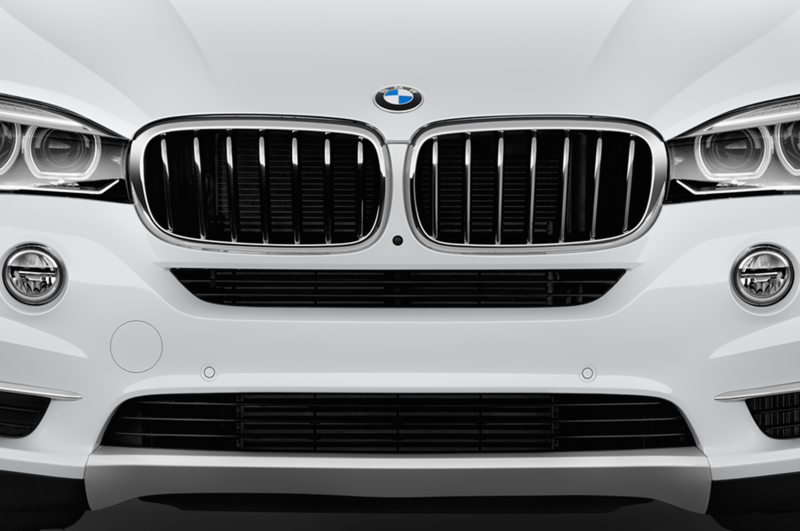 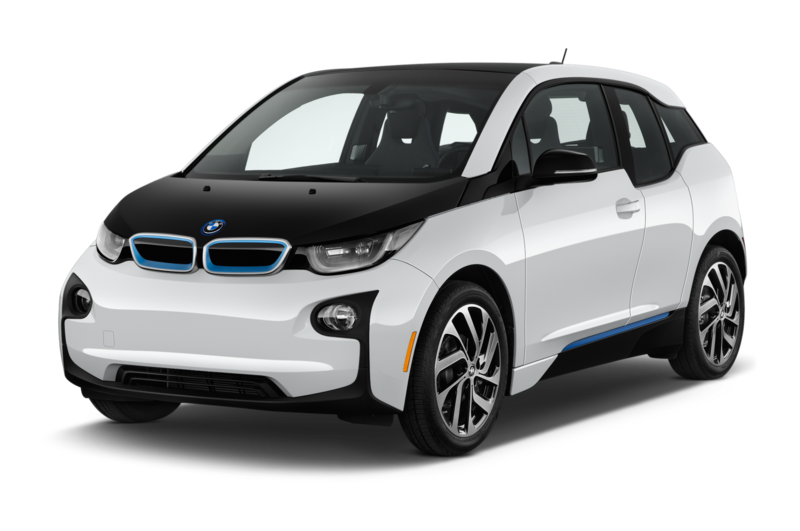 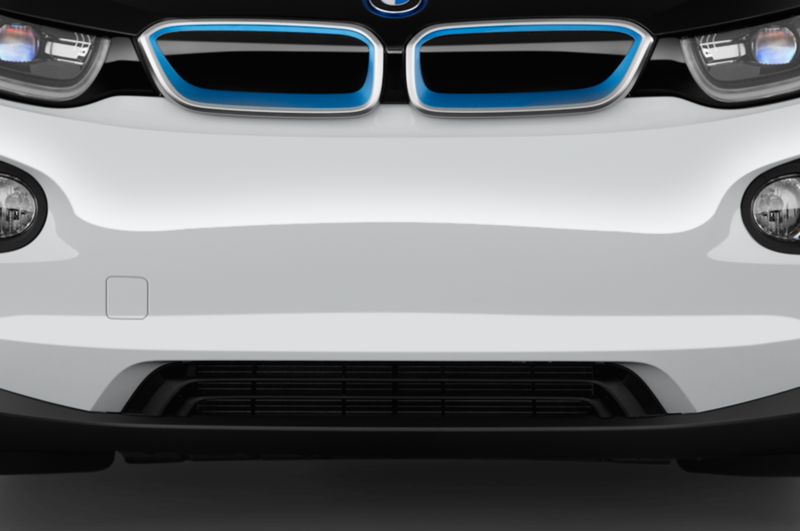 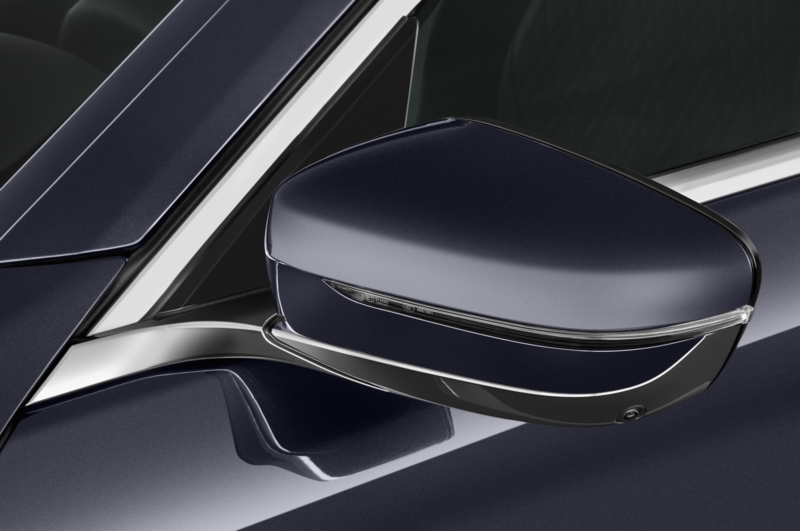 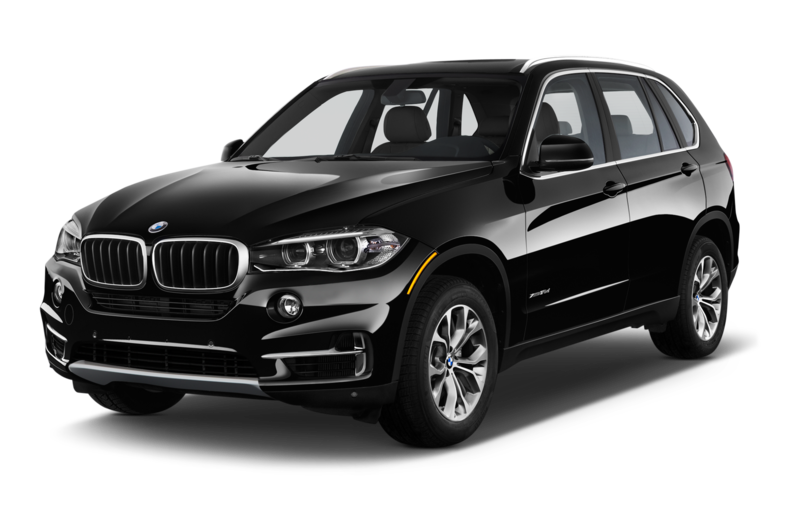 M parts like brushed-aluminum door sills, stainless-steel pedals, and piano-black trim adorn the cabin, along with an M760i xDrive logo in the instrument cluster. 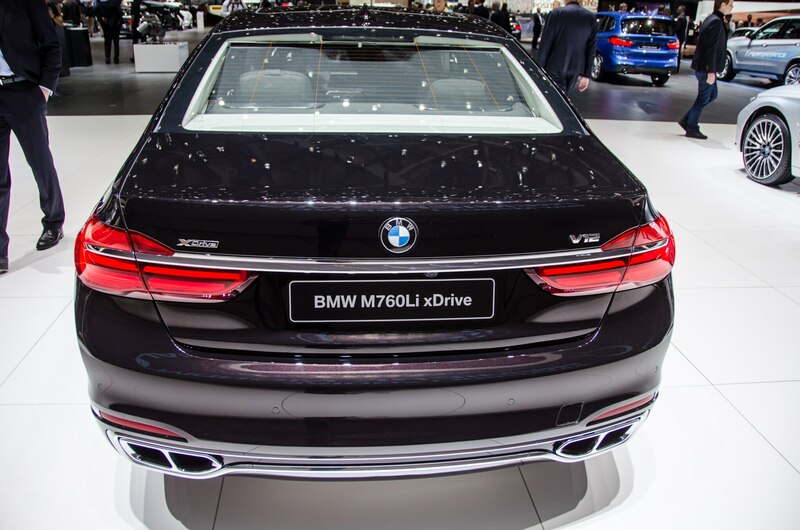 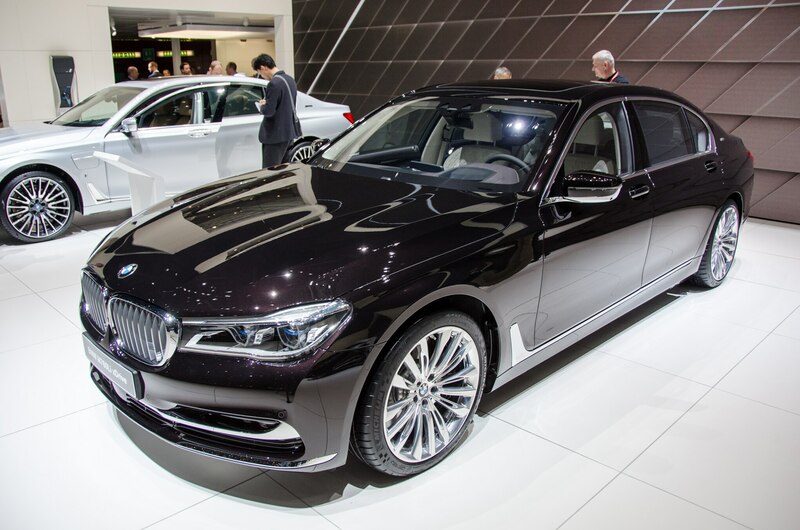 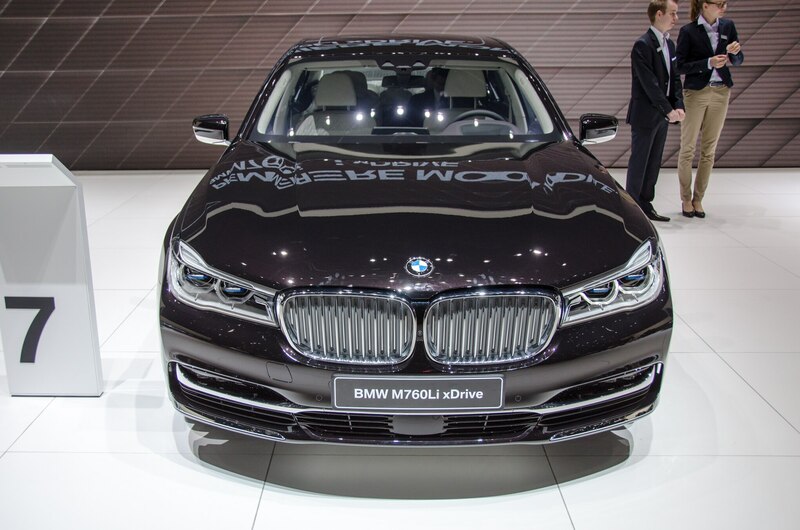 The 2017 BMW M760i xDrive is set to storm into dealerships early next year for a price that has yet to be announced. 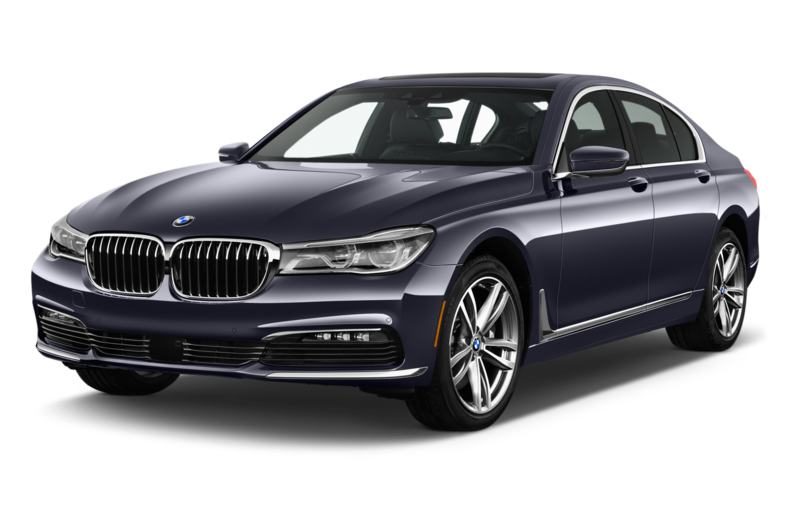 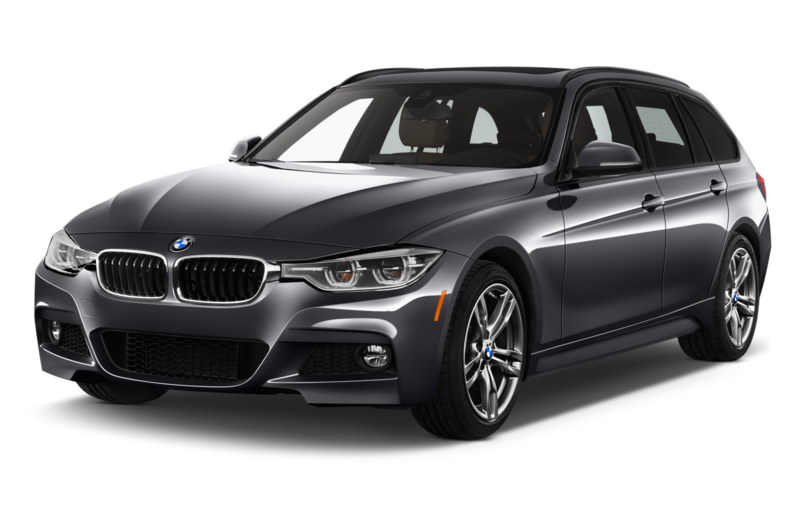 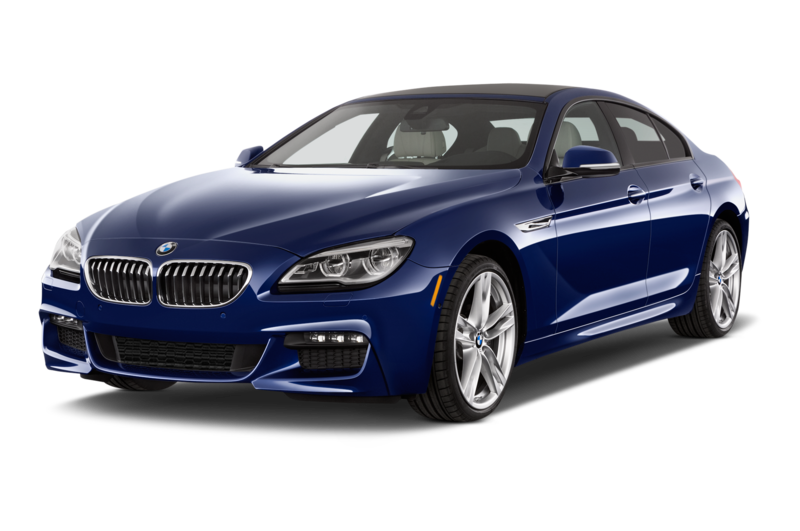 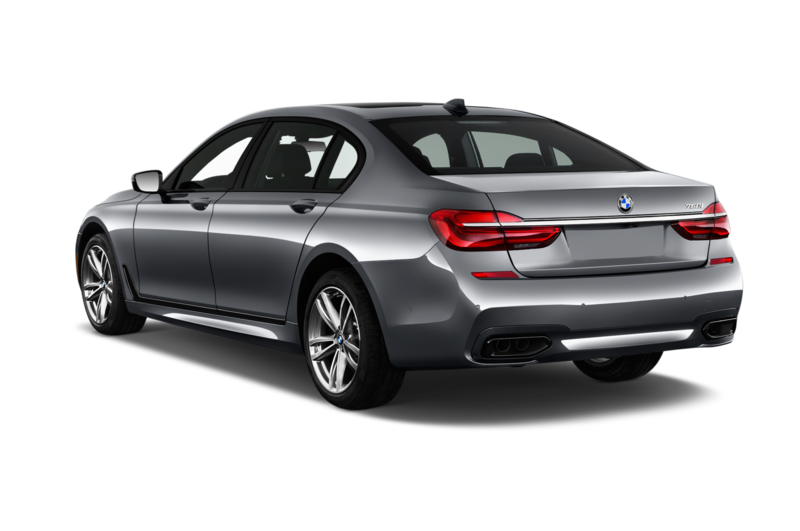 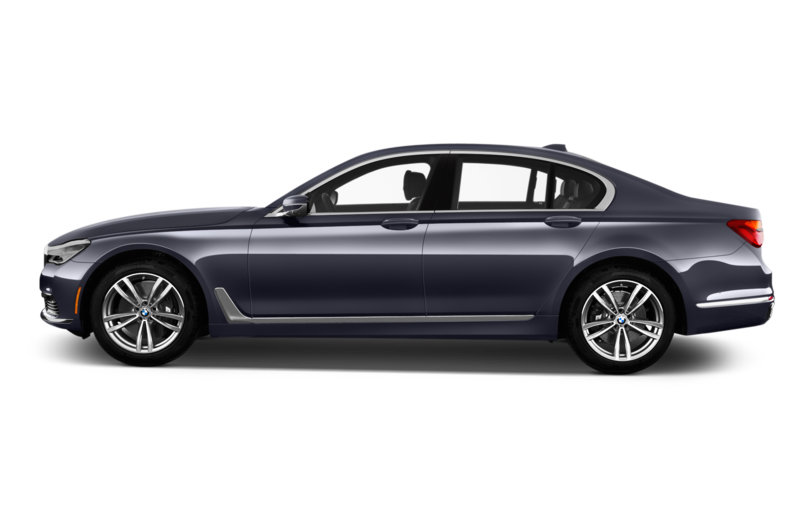 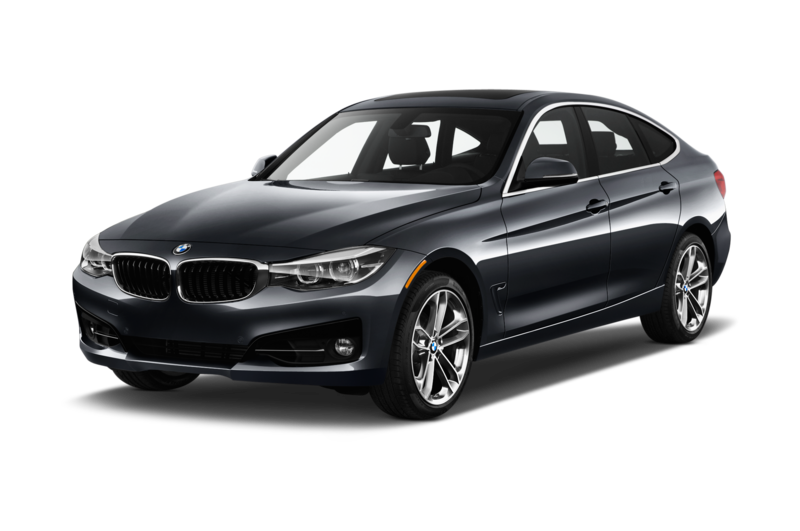 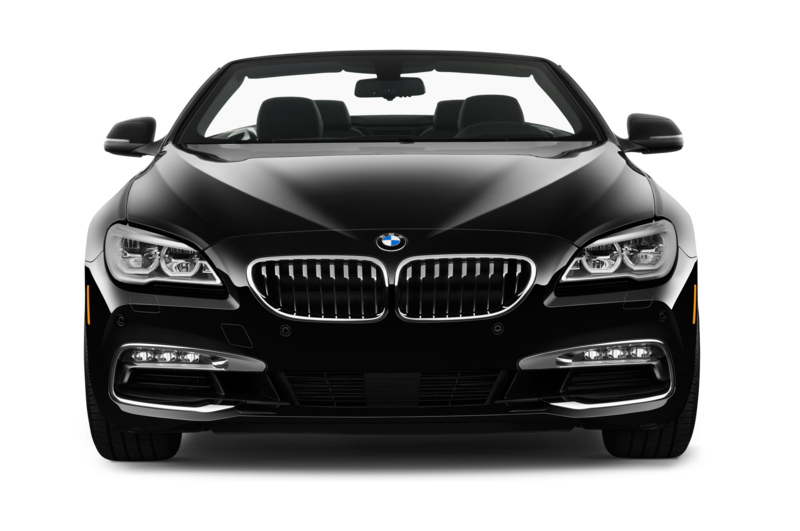 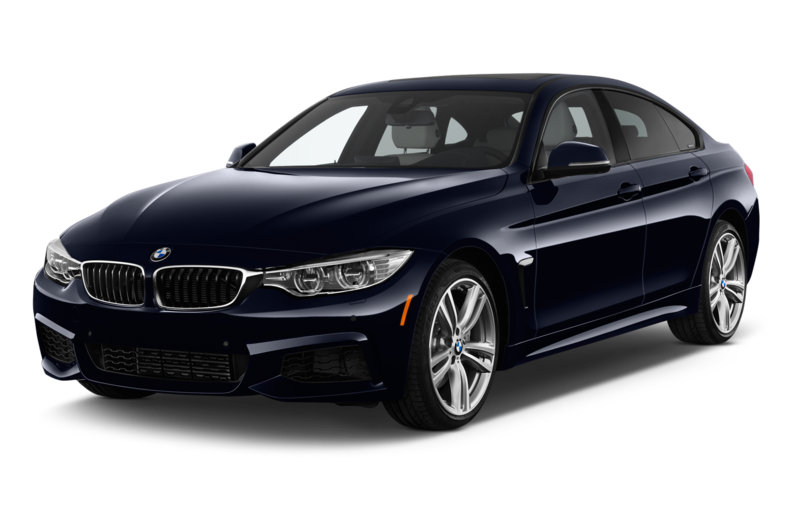 Given that the most expensive 7 Series on sale in the U.S. today, the 2016 750i xDrive, lists for $98,395, expect the M760i to easily command a six-figure sum.